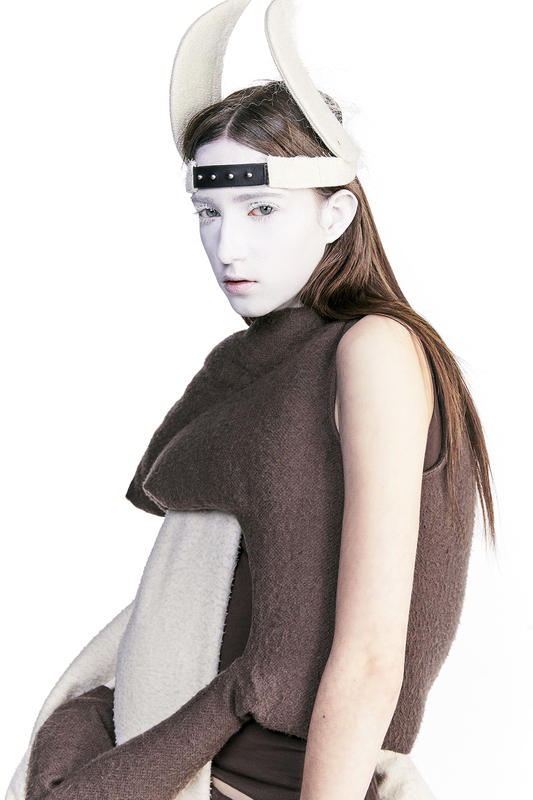 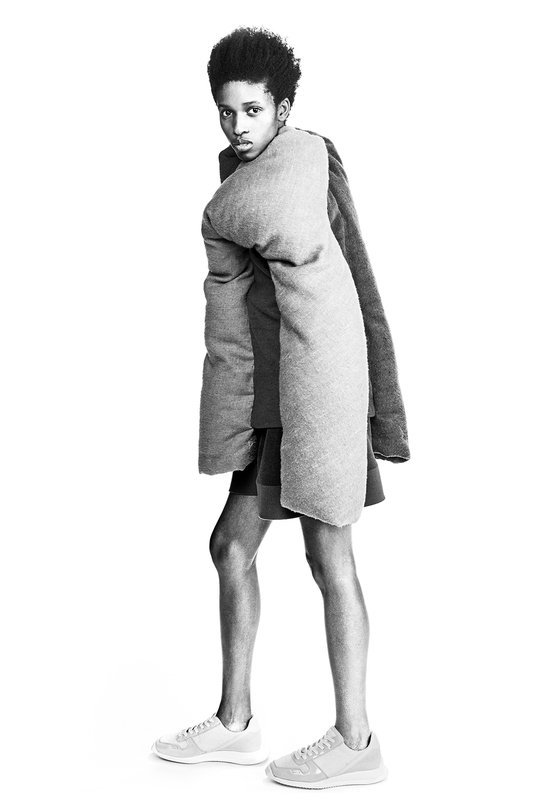 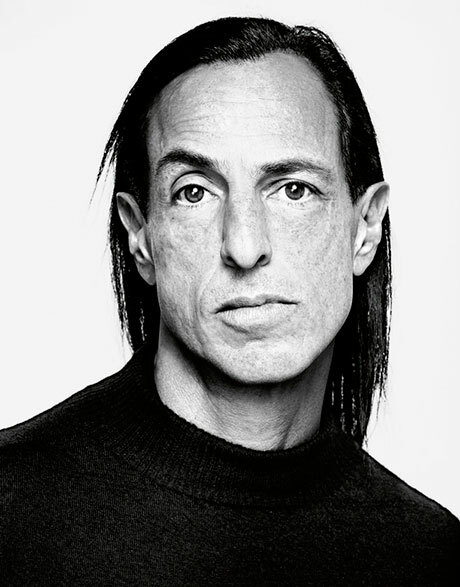 It is in 1993 that the Californian Rick Owens launched a brand under his name. 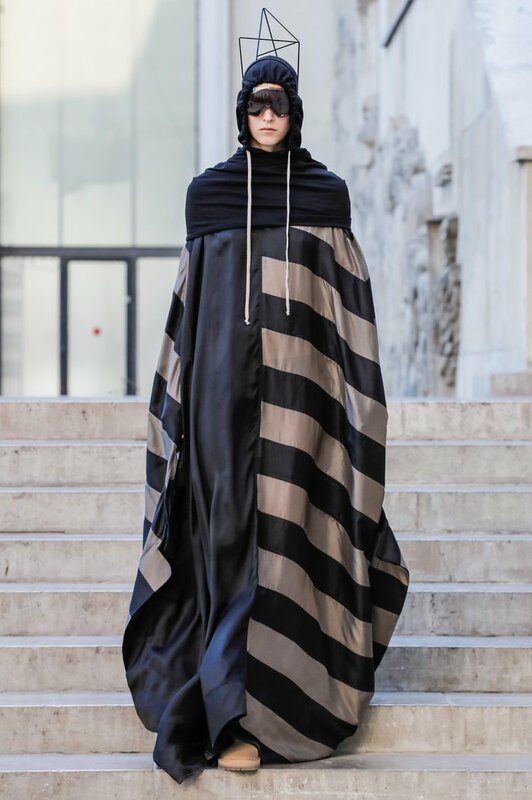 A graduate of the Otis College of Art and Design in Los Angeles, he sold his first creations in the most vanguard shop of the City of Angels, “Charles Gallay”. 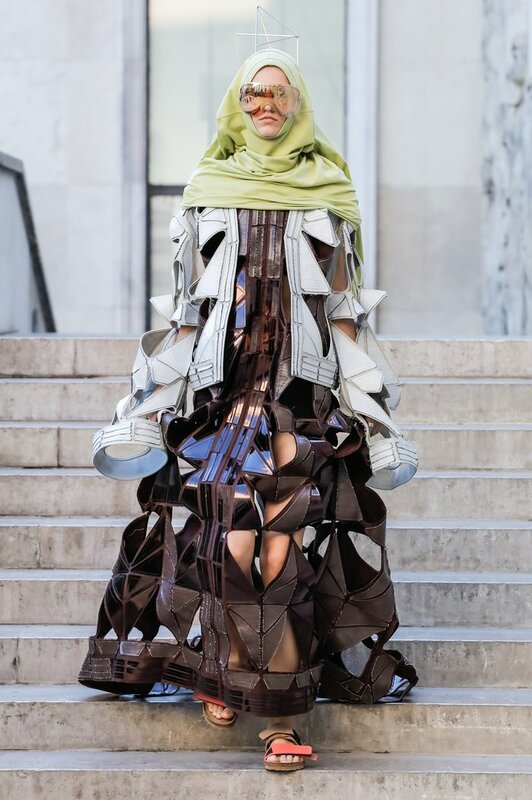 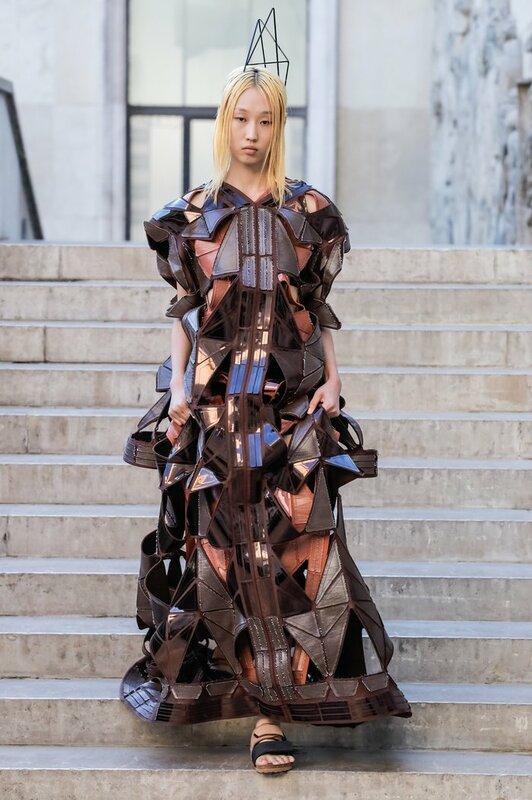 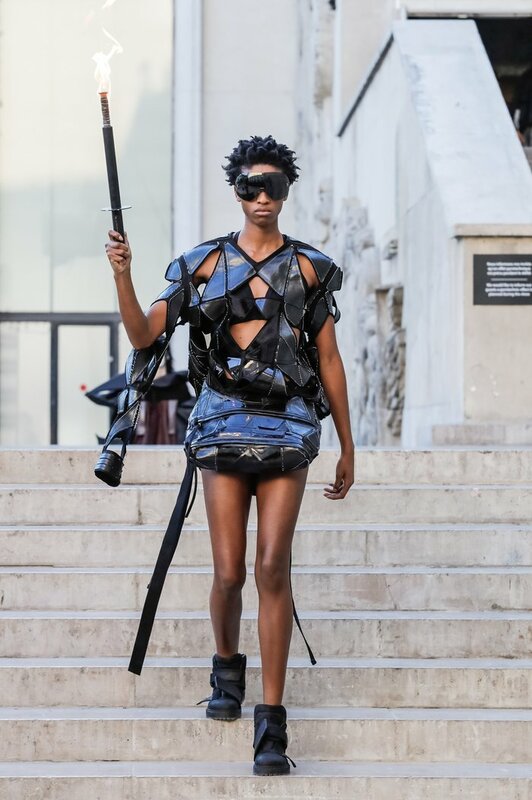 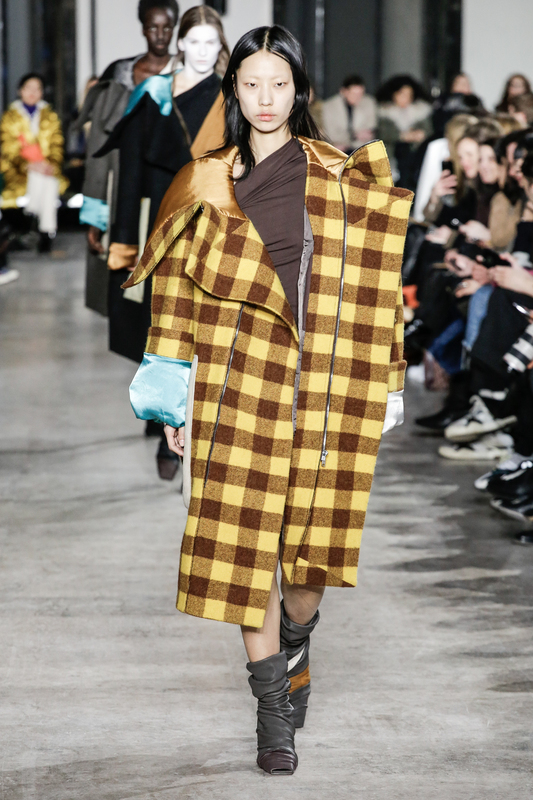 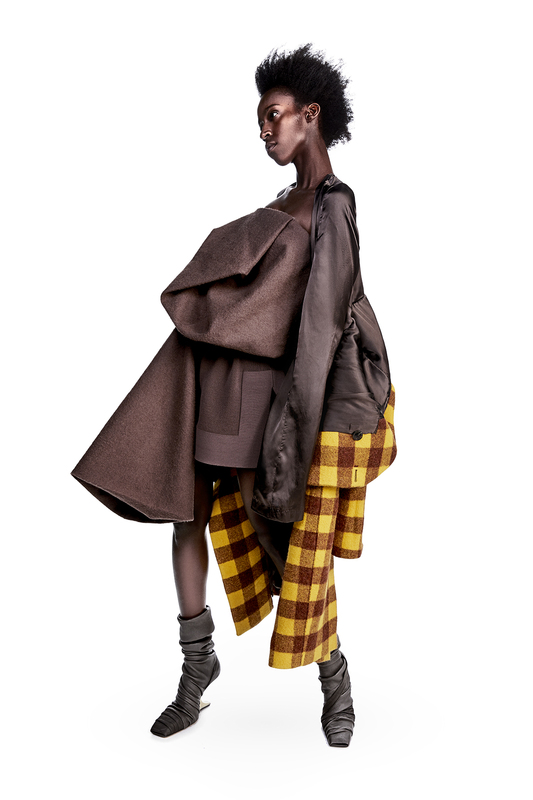 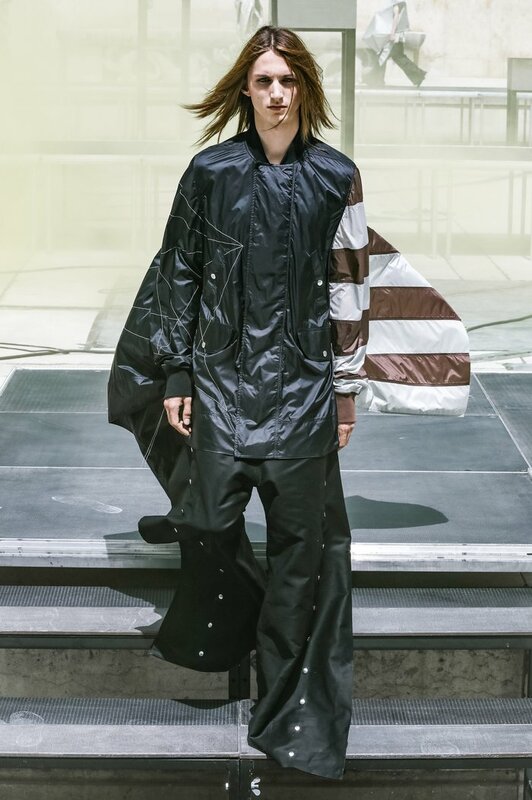 In 2001, he transferred his production in Italy, and a year later, with the support of Vogue USA, the young designer was able to realise his first show. 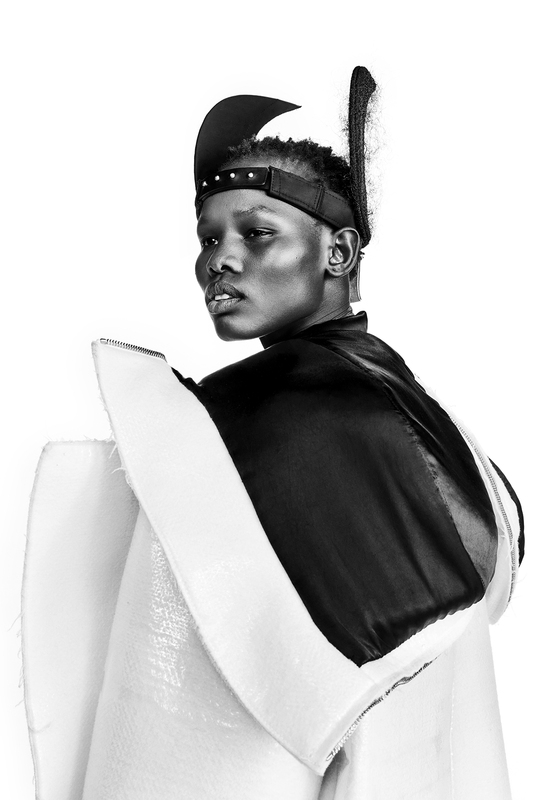 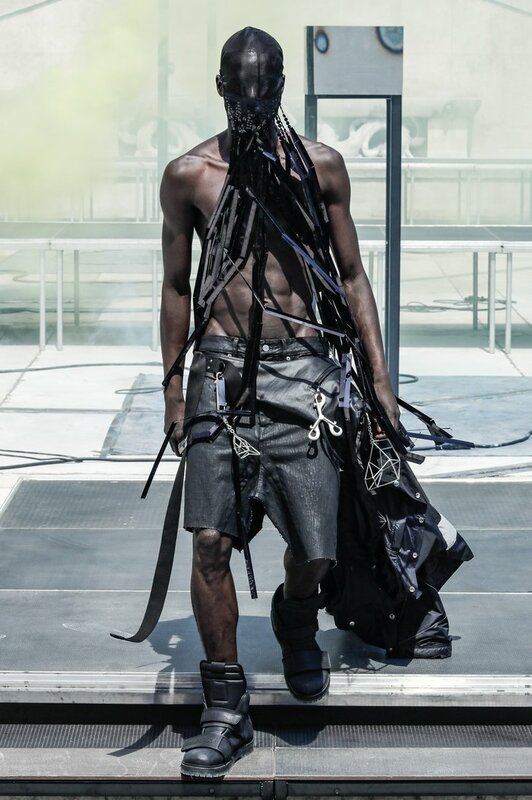 Since then, the brand Rick Owens began a meteoric rise, to the point of establishing itself as one of the biggest names in the alternative fashion. 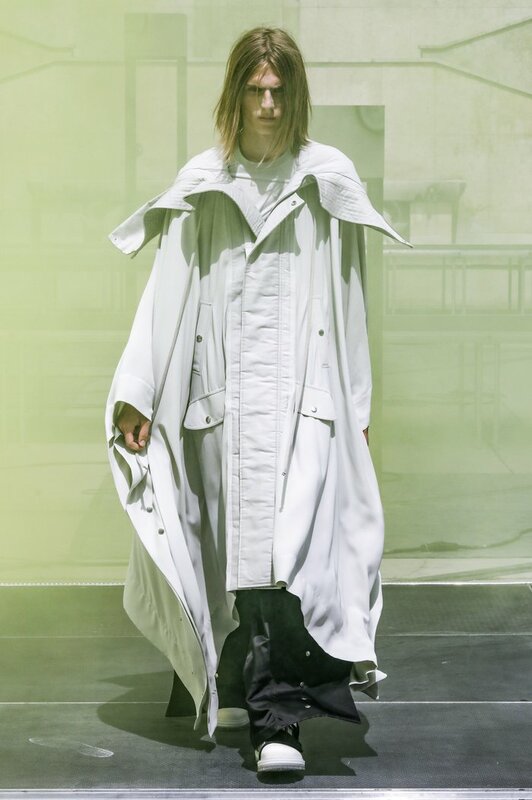 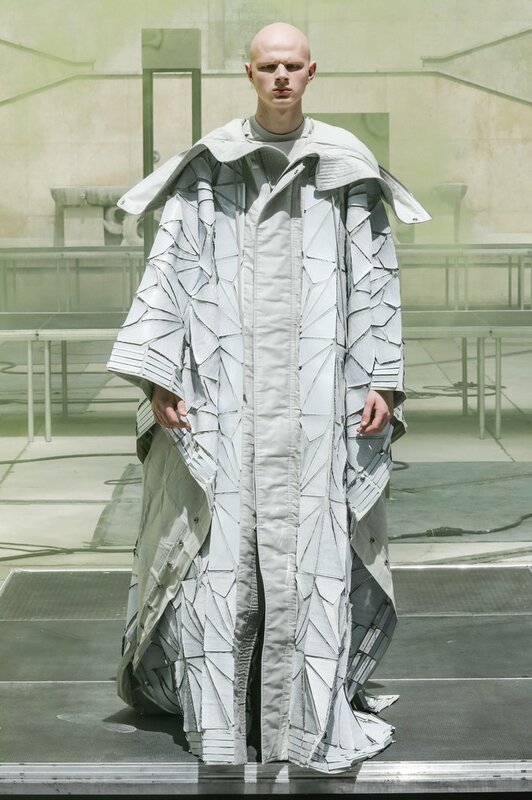 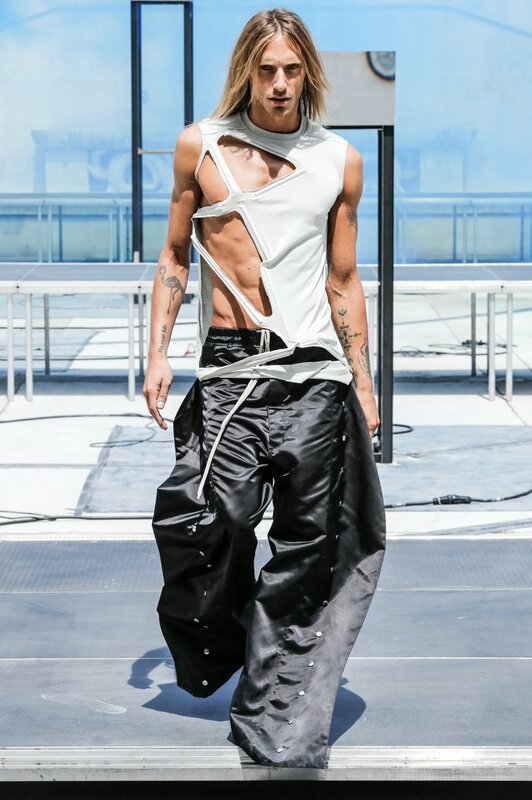 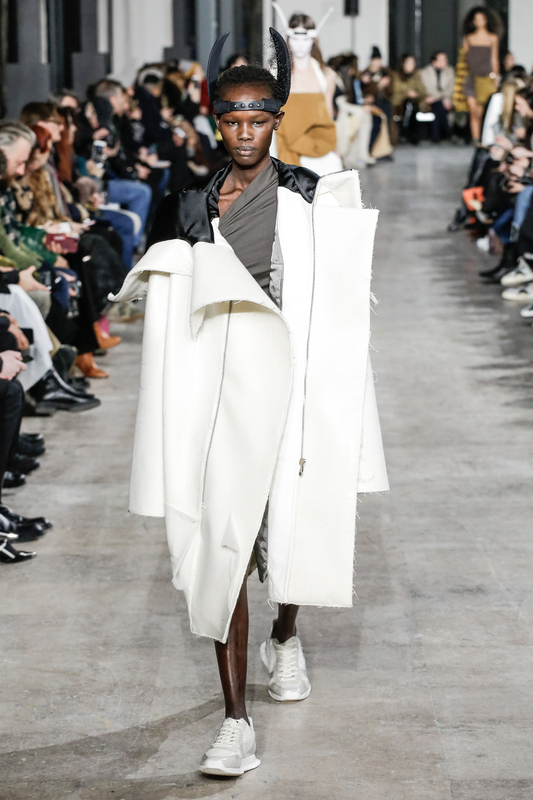 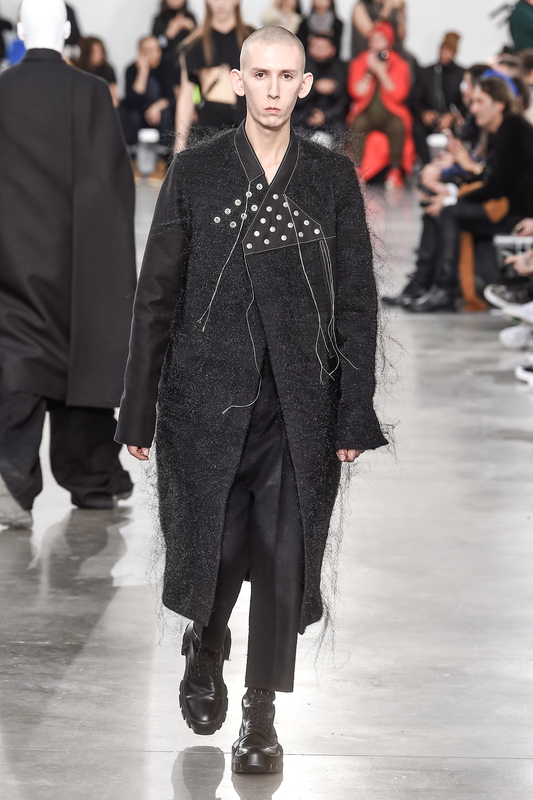 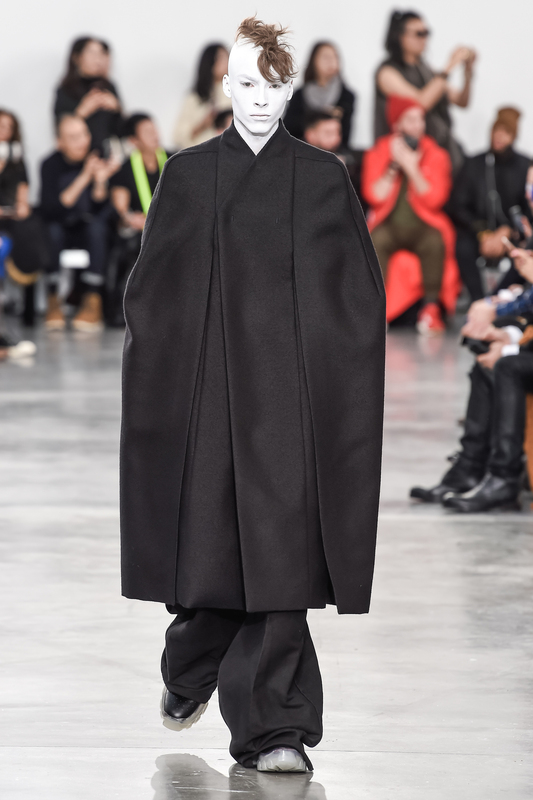 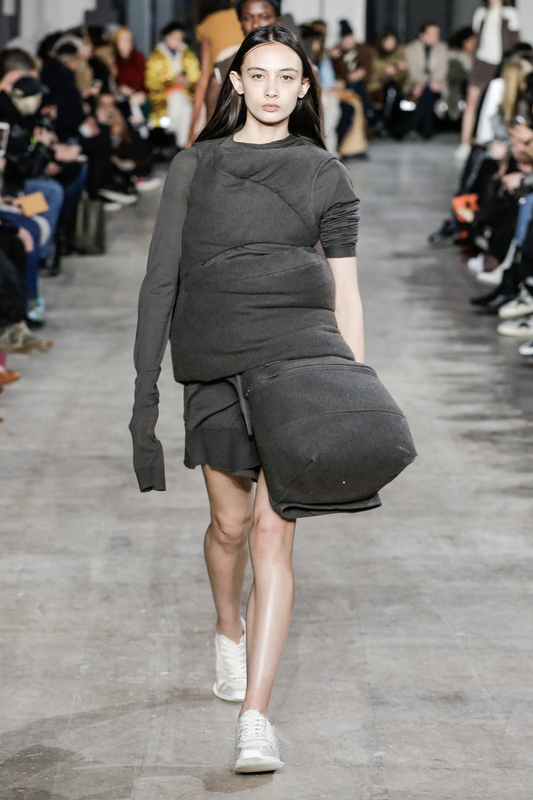 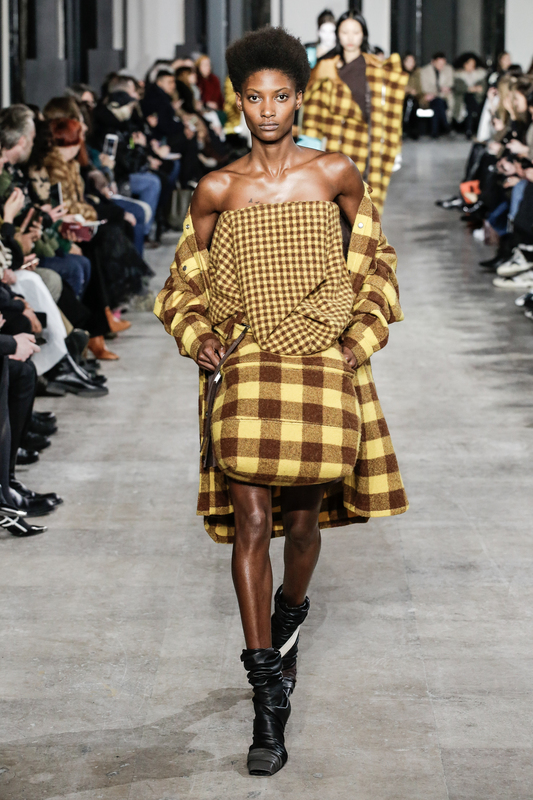 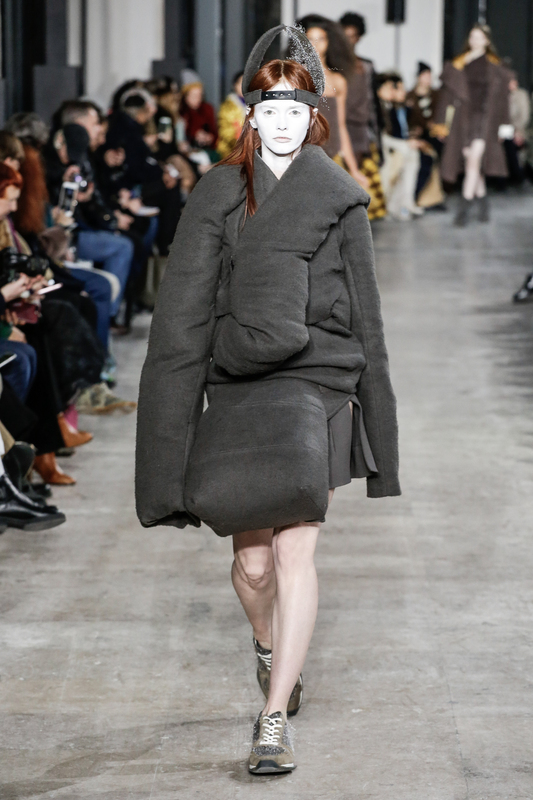 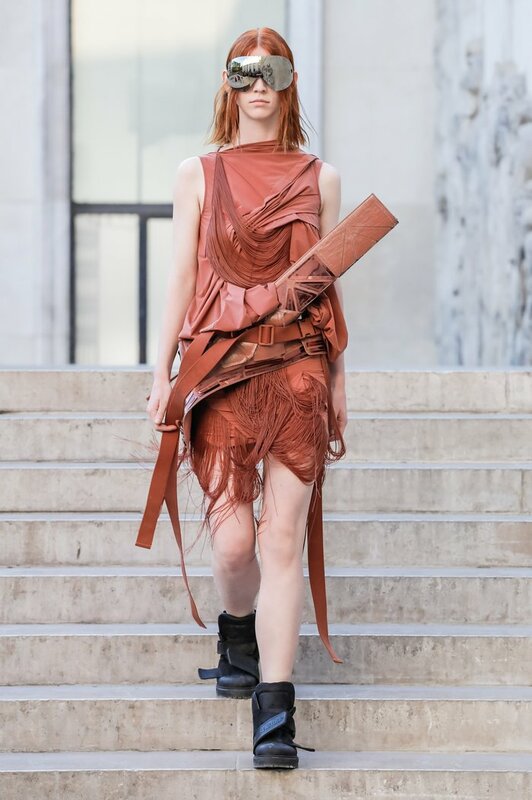 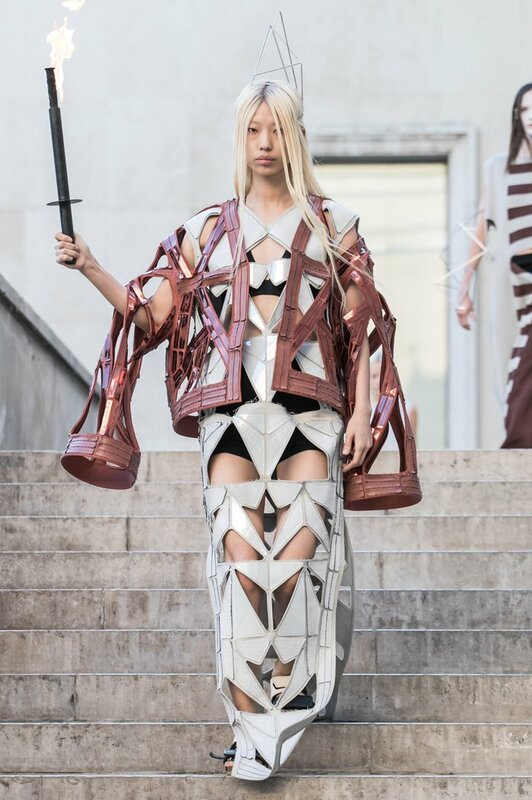 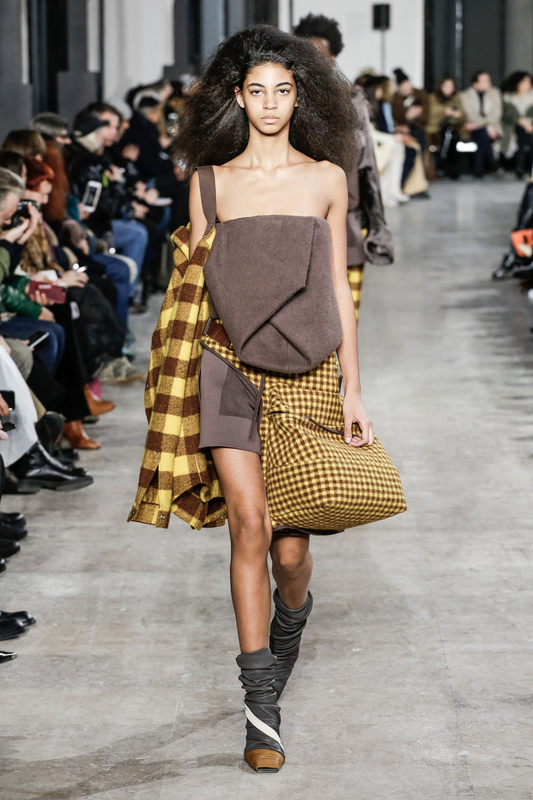 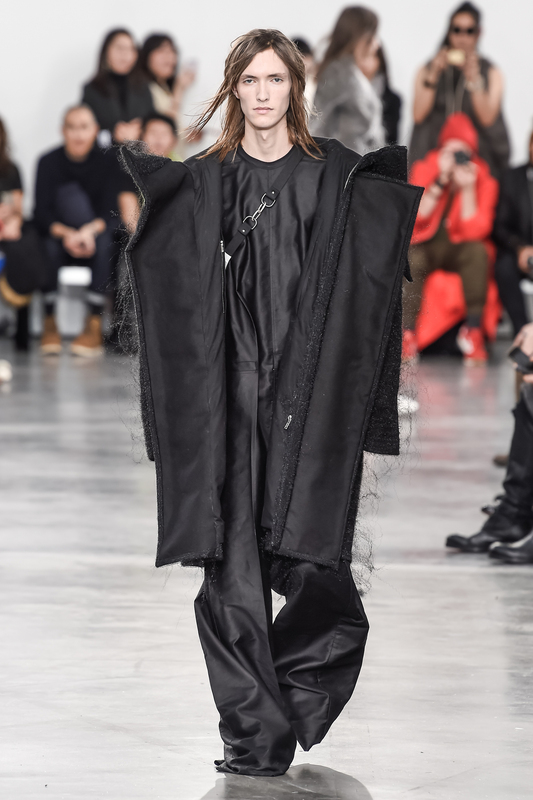 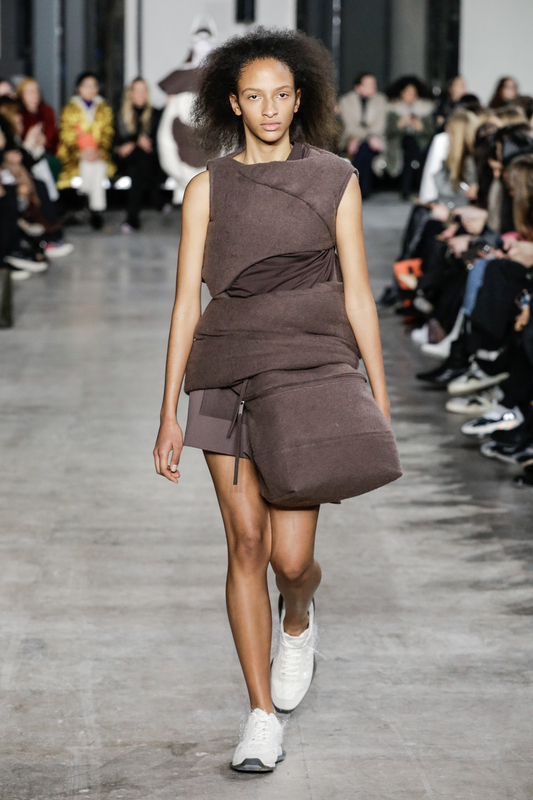 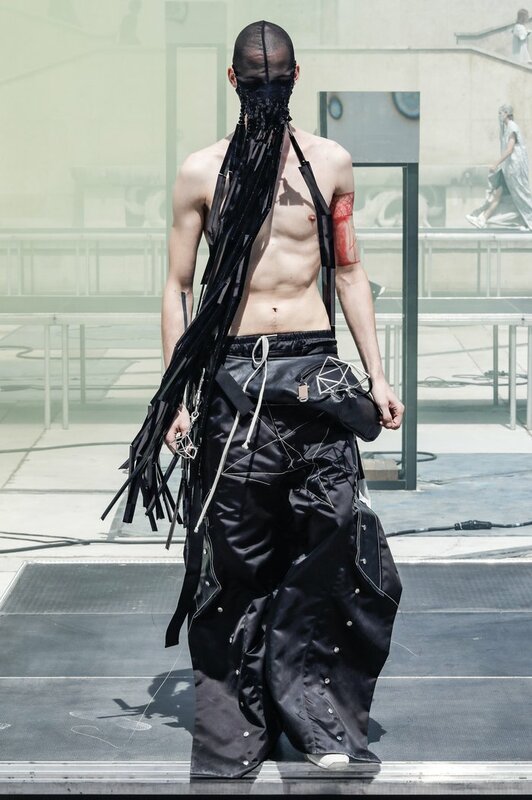 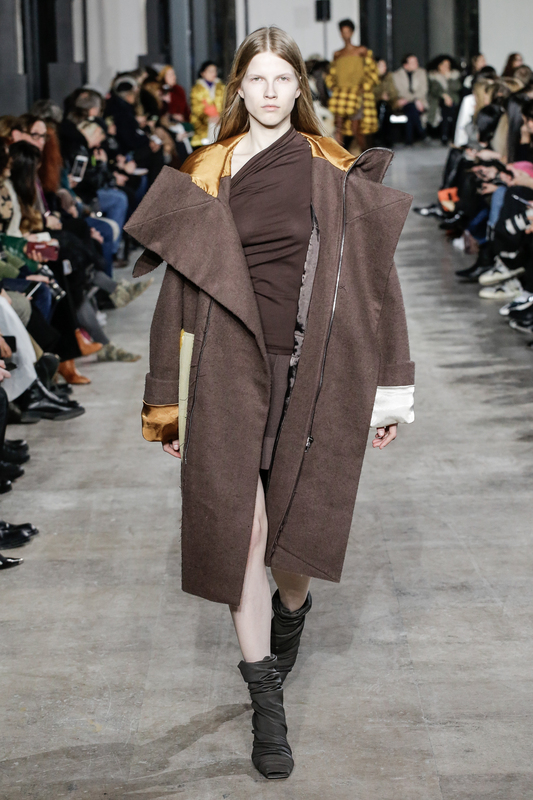 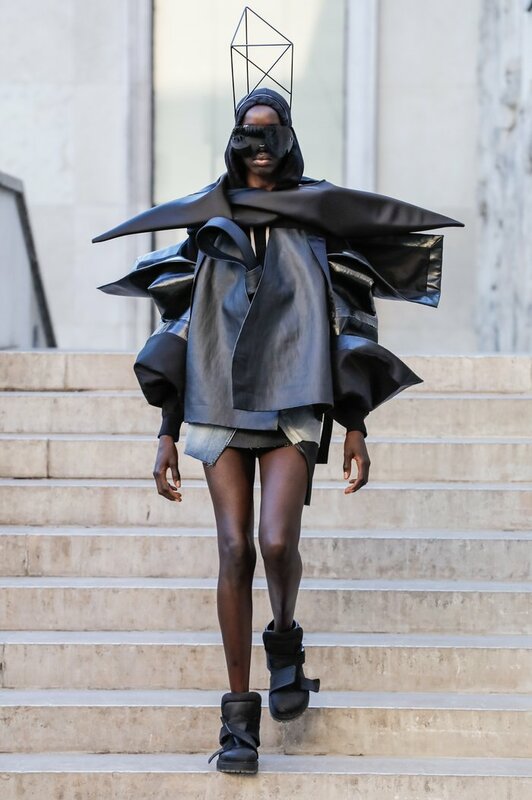 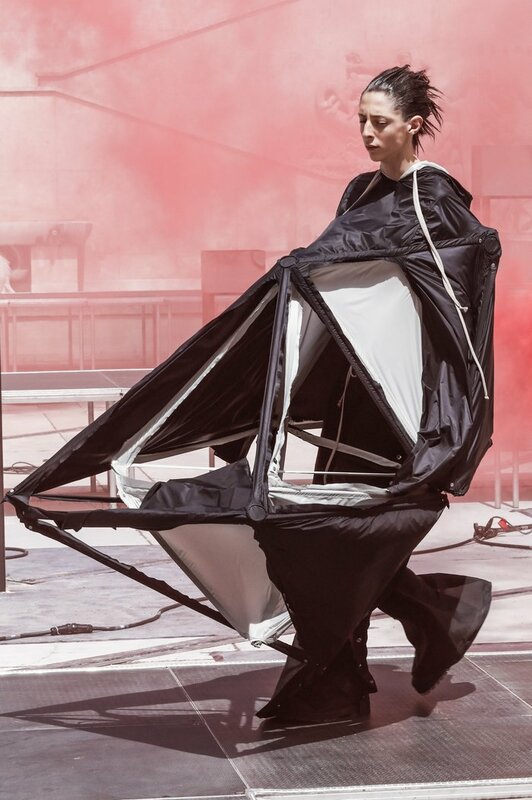 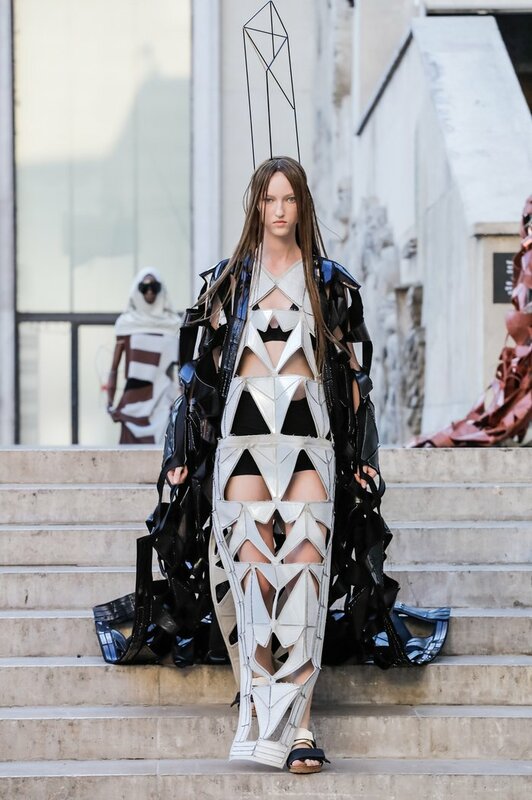 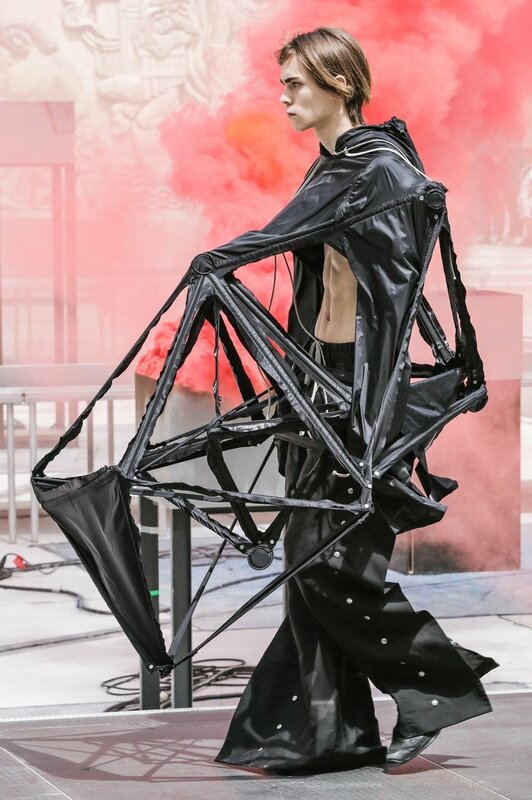 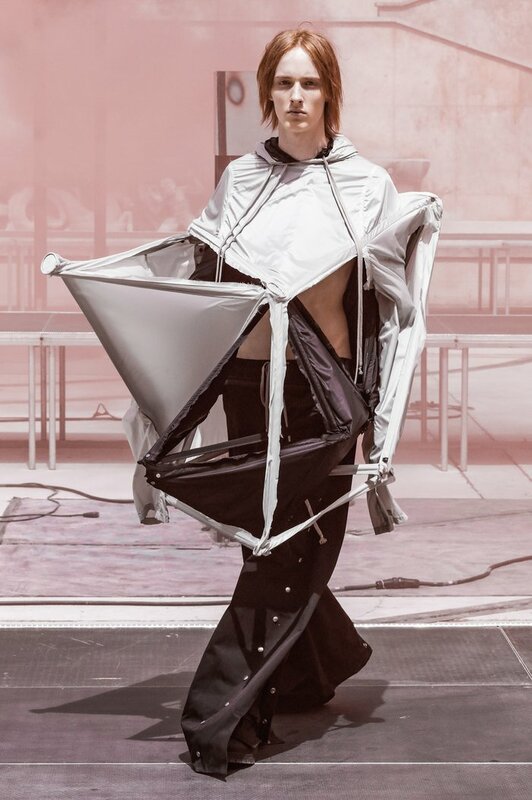 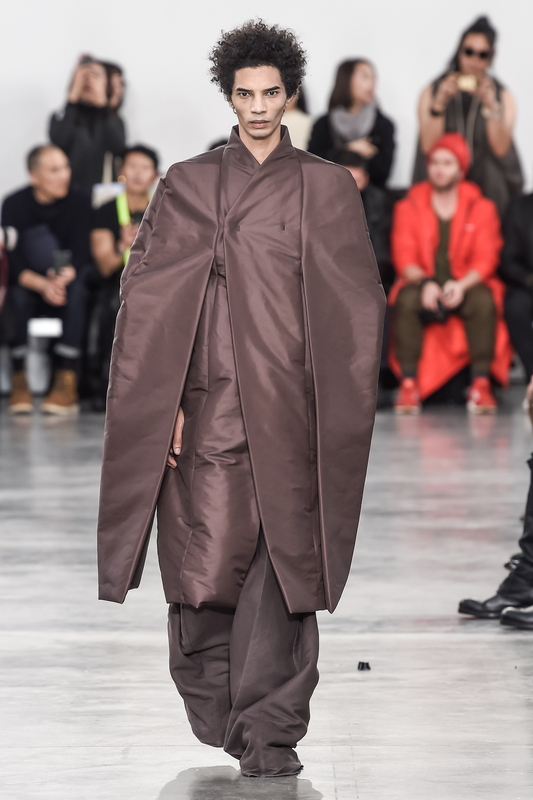 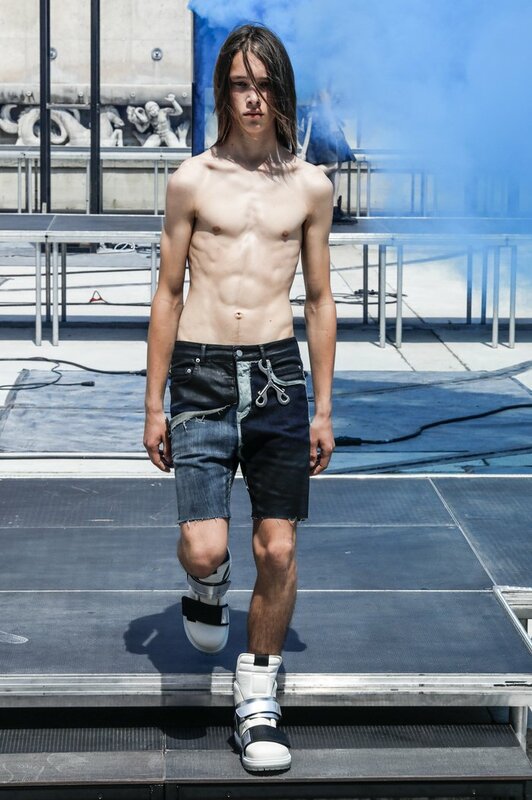 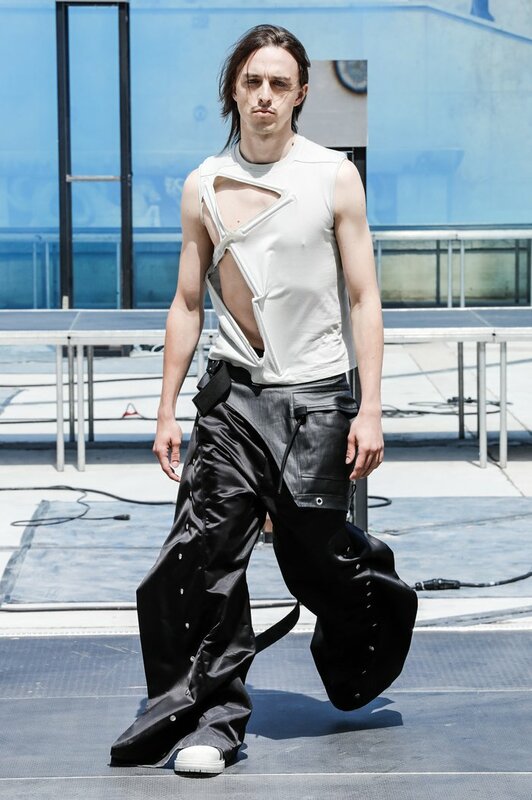 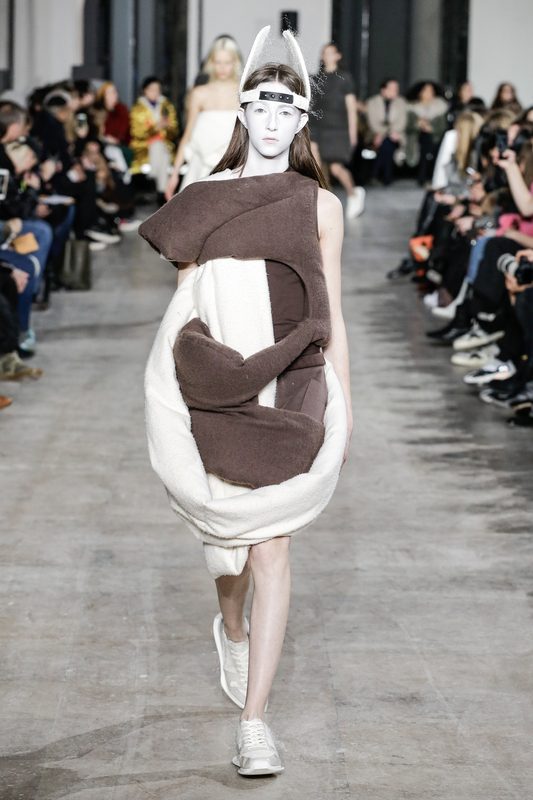 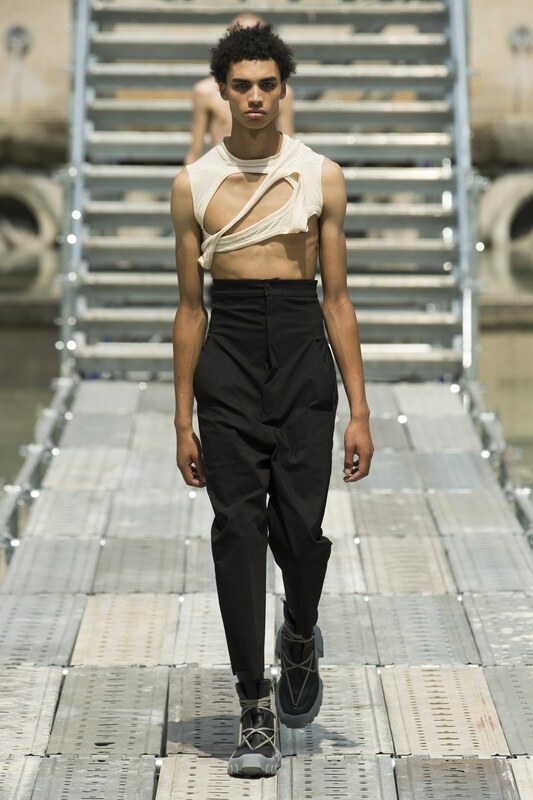 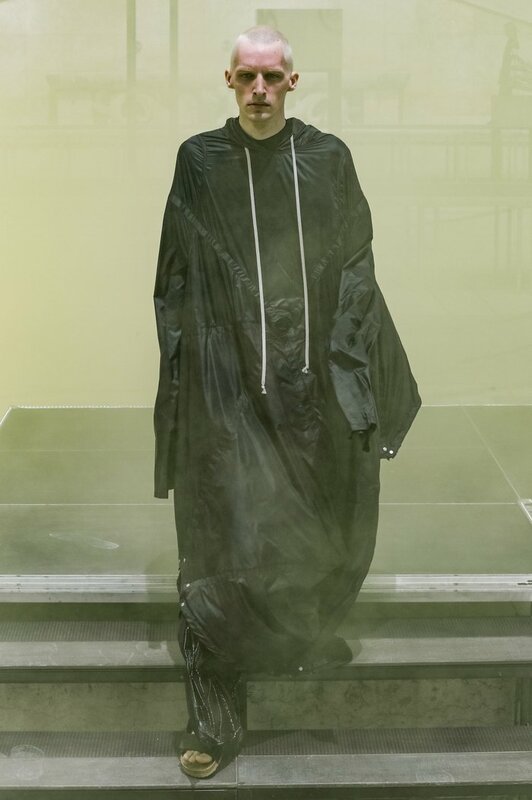 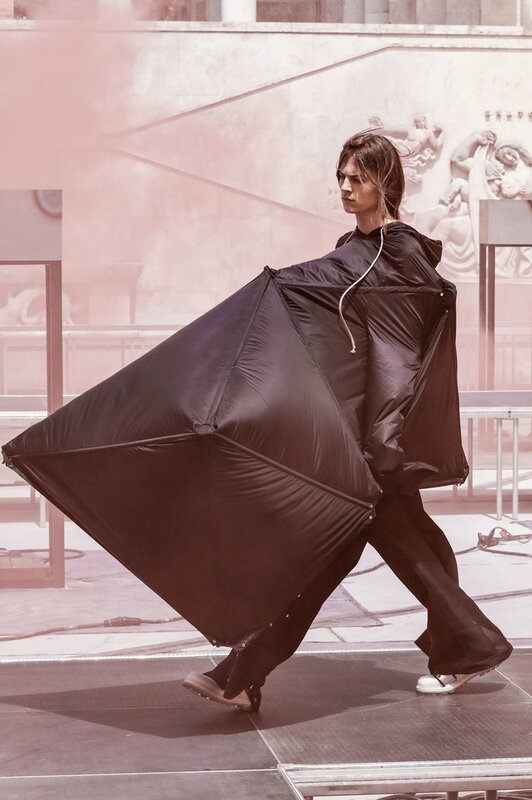 The Rick Owens’ aesthetics are formed on the grounds of the black-and-white Hollywood movies, the underground punk culture of the 1980s, the grunge and the glamour of the 1990s. 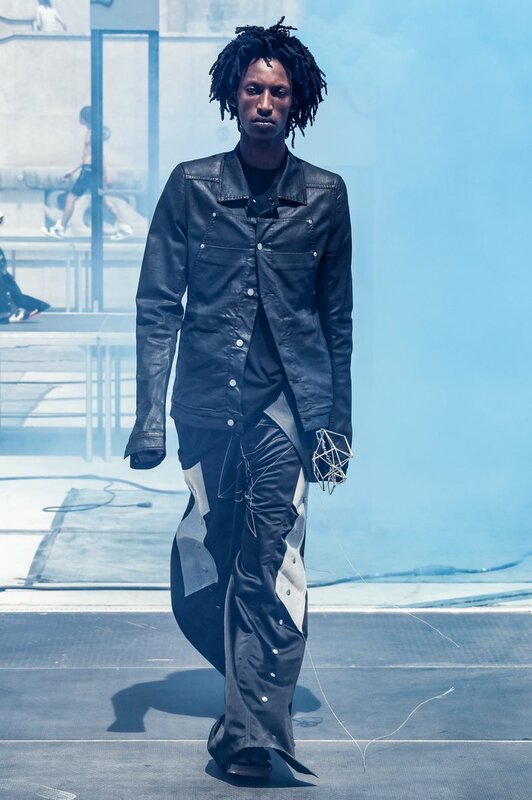 Master of revolutionary chic and representative of anti-fashion movement, Owens became famous by creating clothes in a spirit called “when glamour meets grunge”. 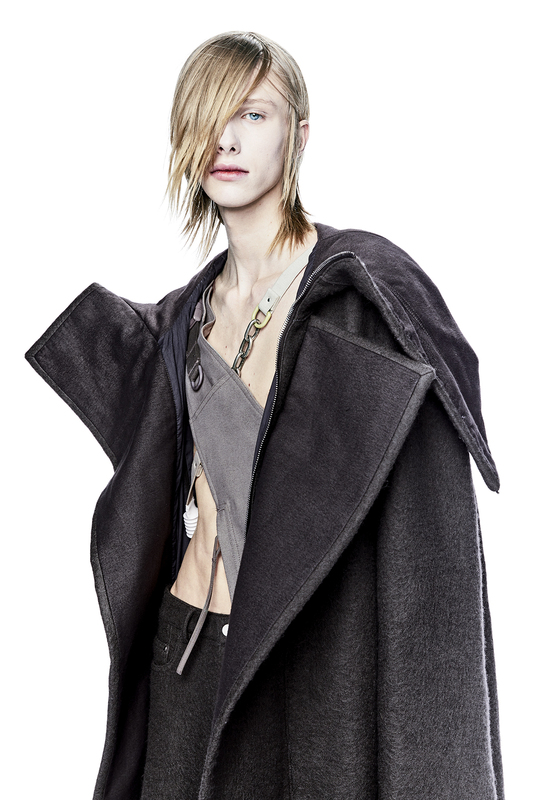 Luxurious fabrics, fur and leather seem distressed and worn, complex forms and drapes have a neglected appearance. 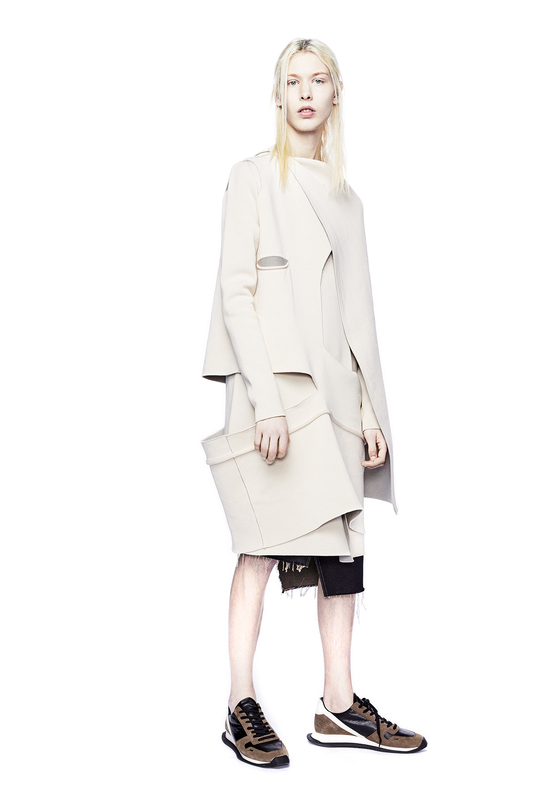 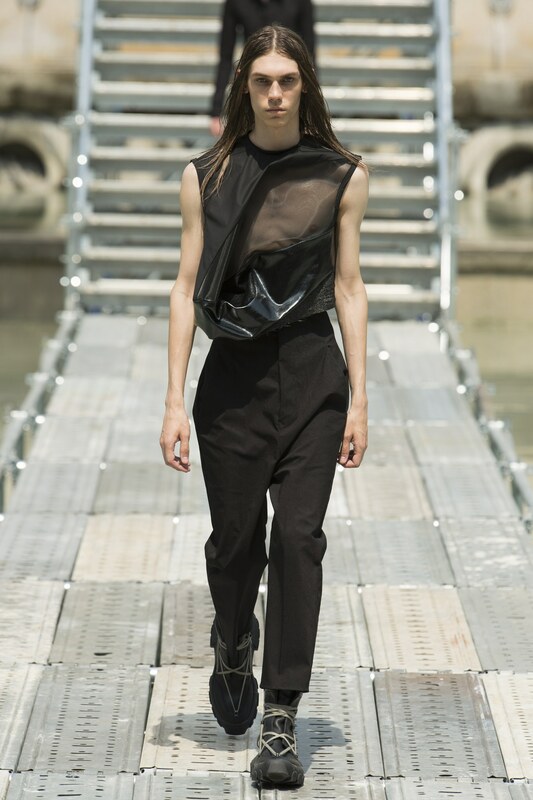 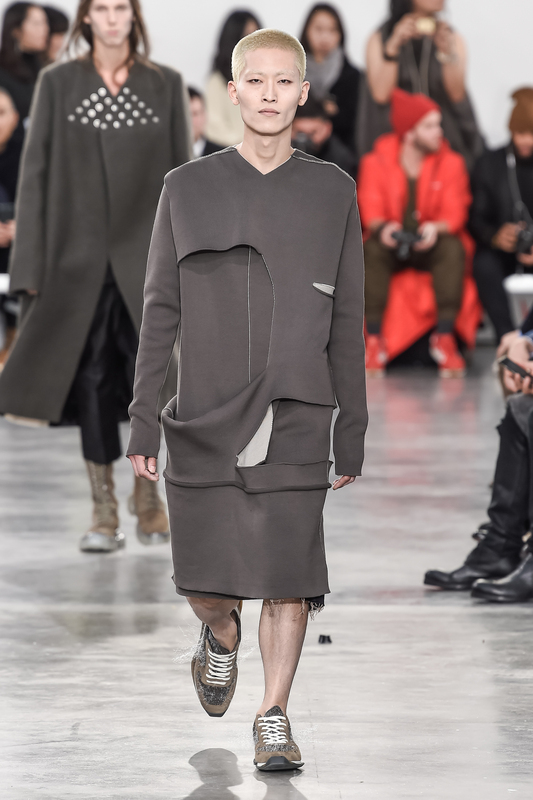 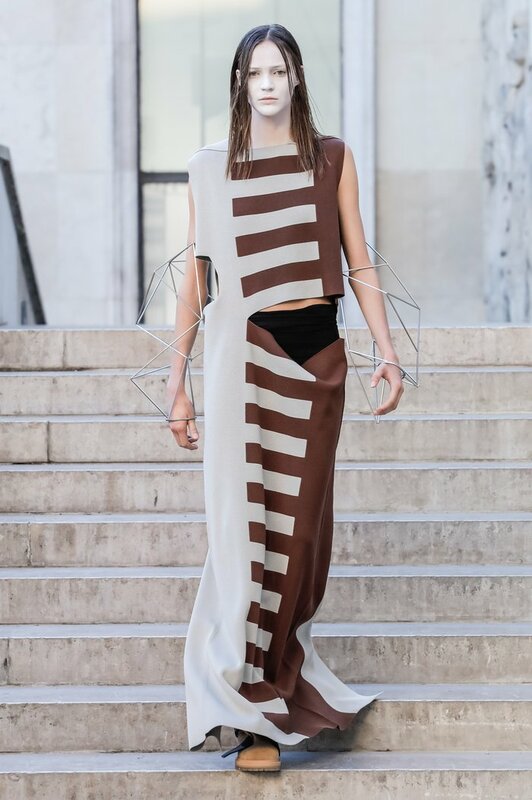 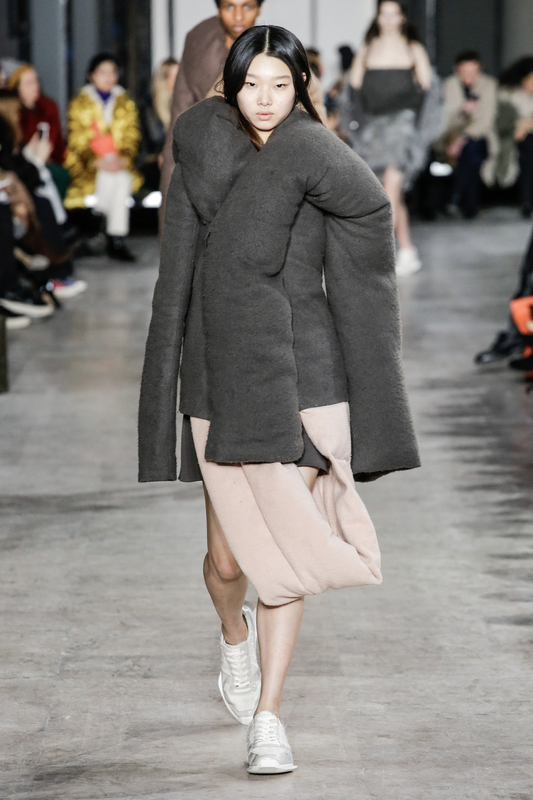 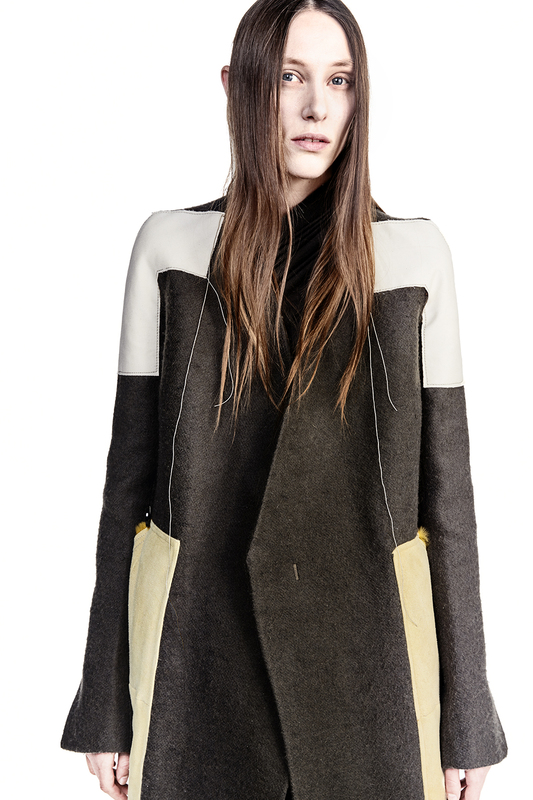 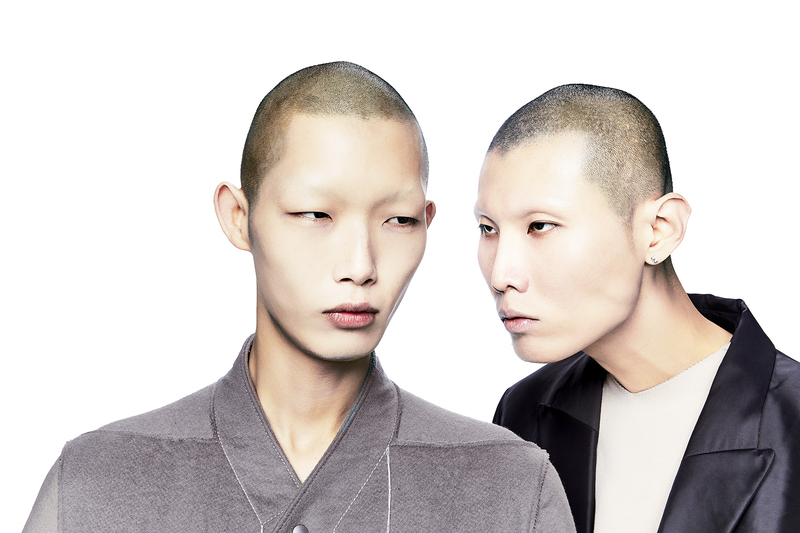 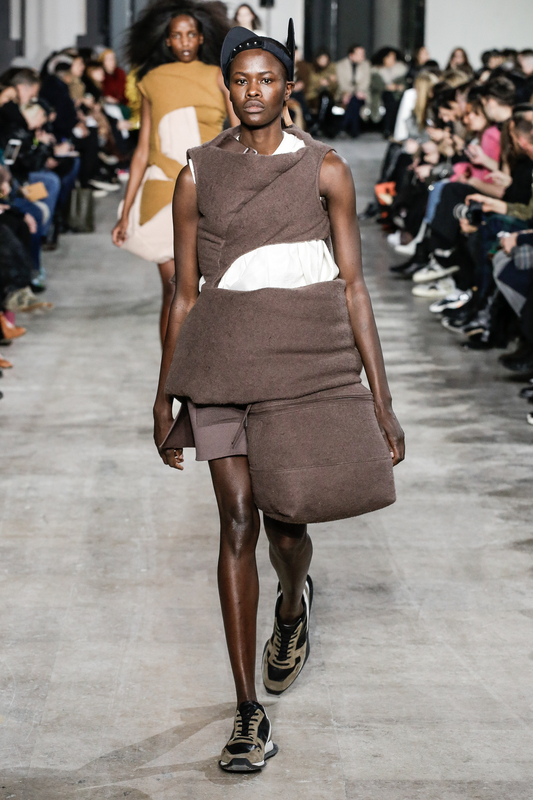 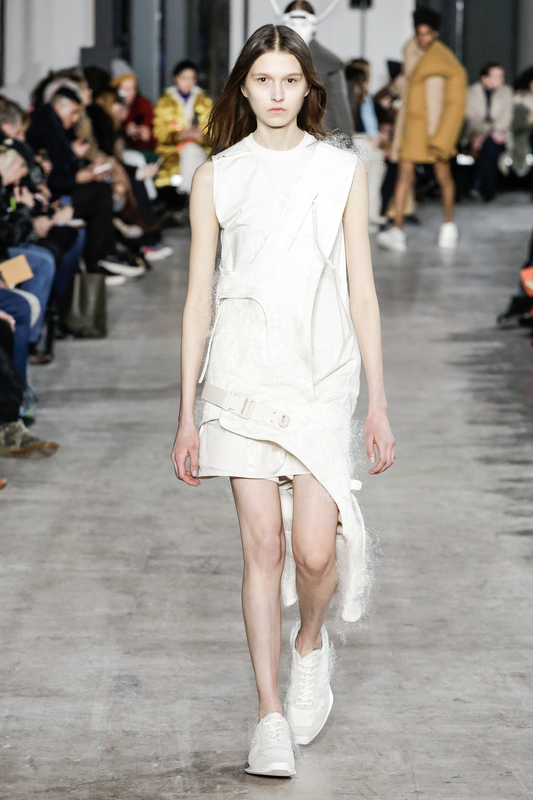 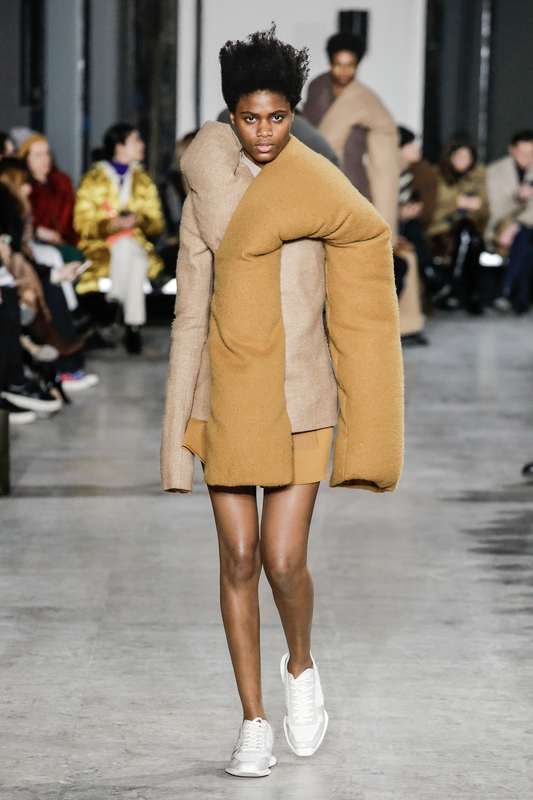 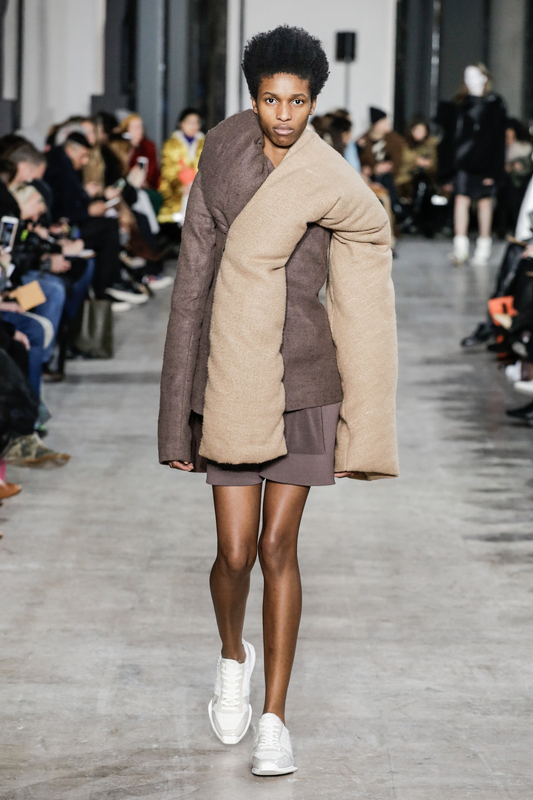 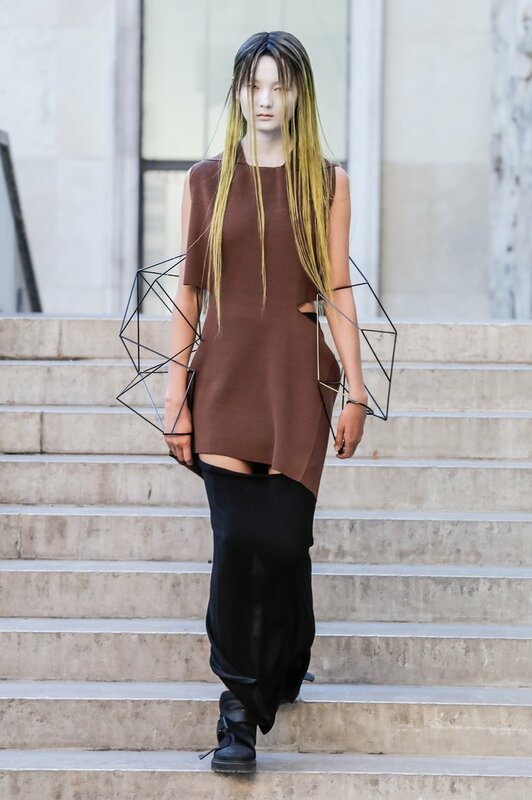 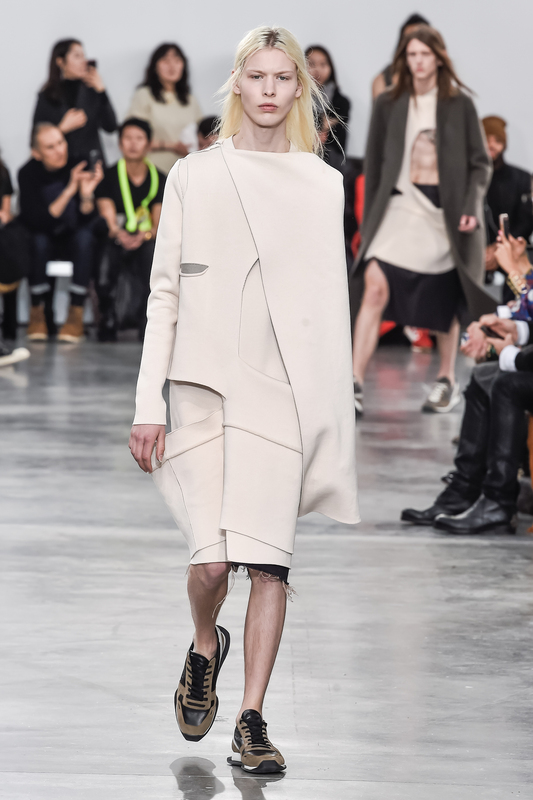 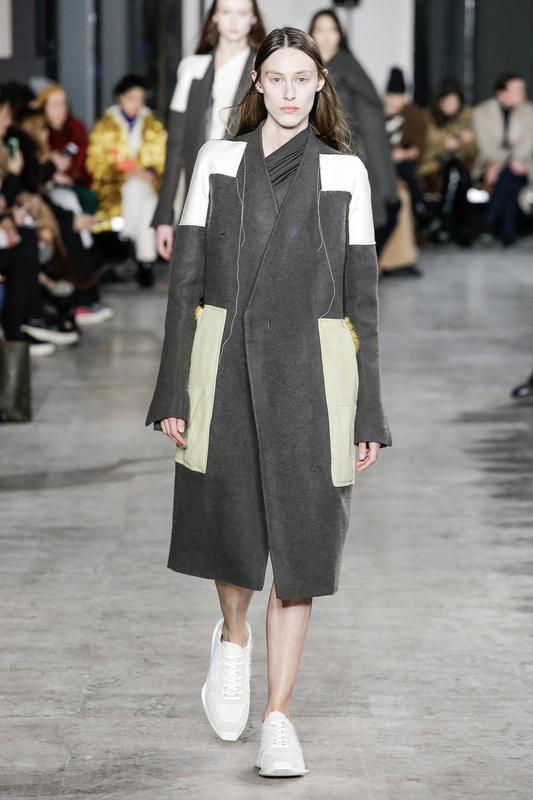 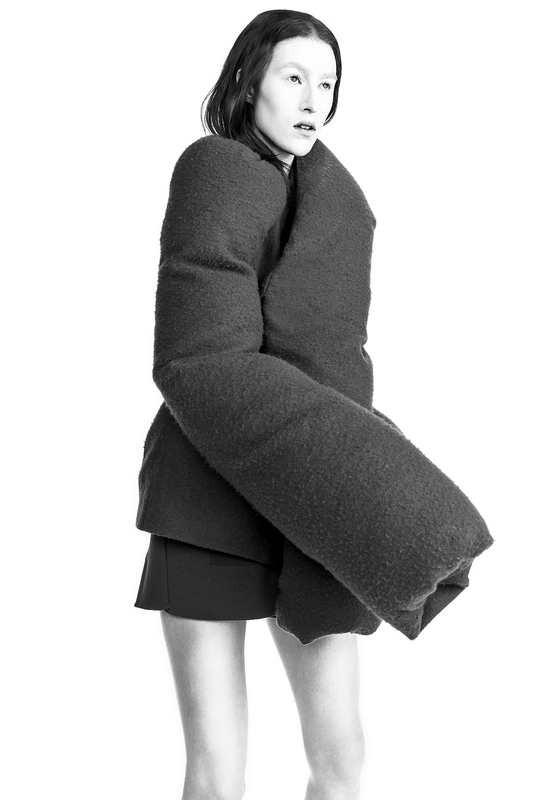 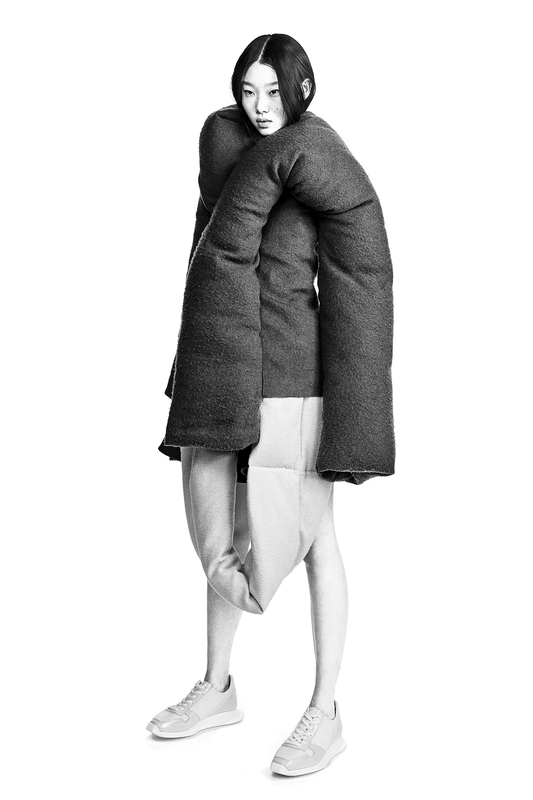 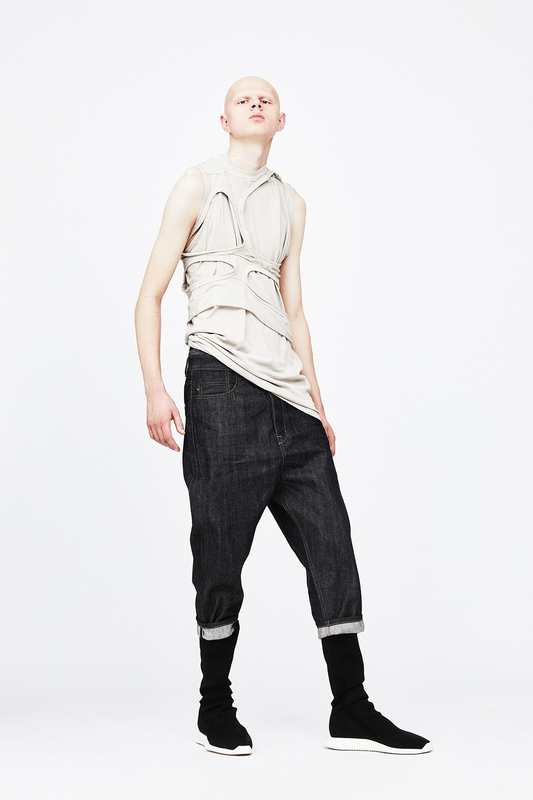 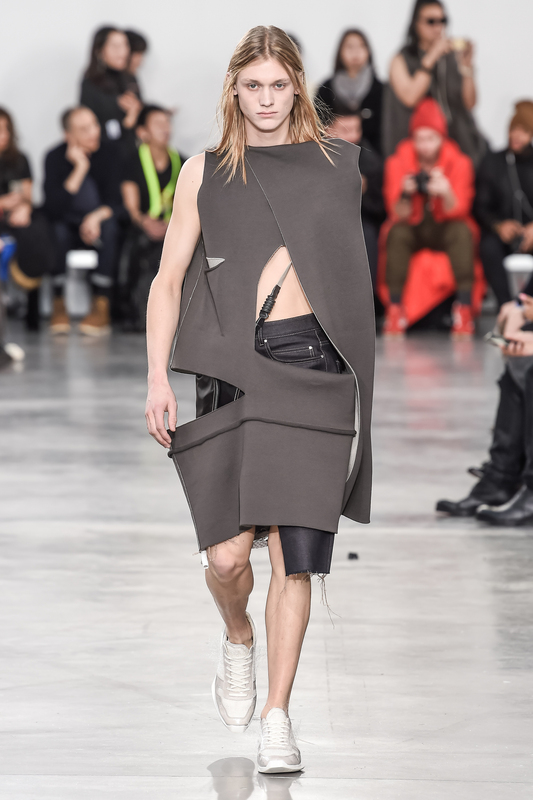 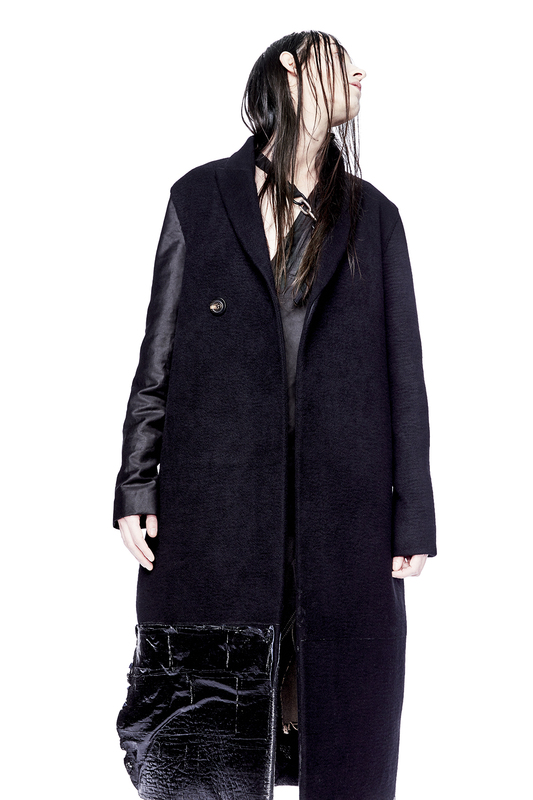 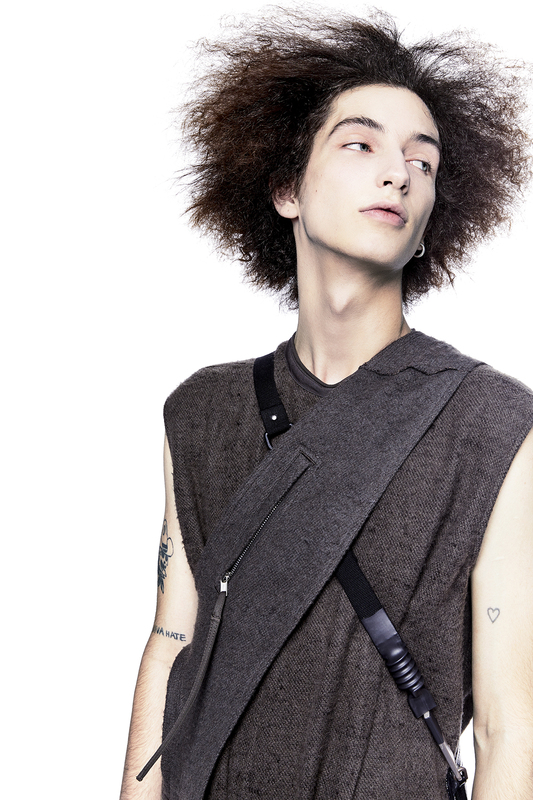 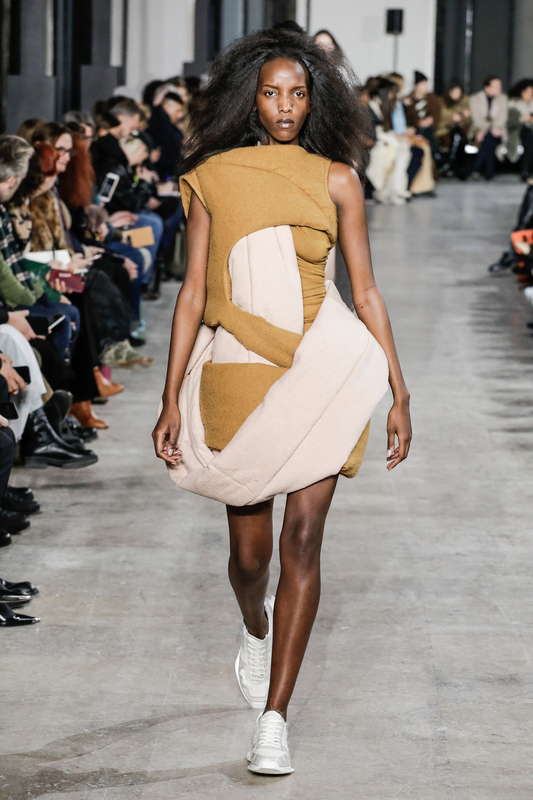 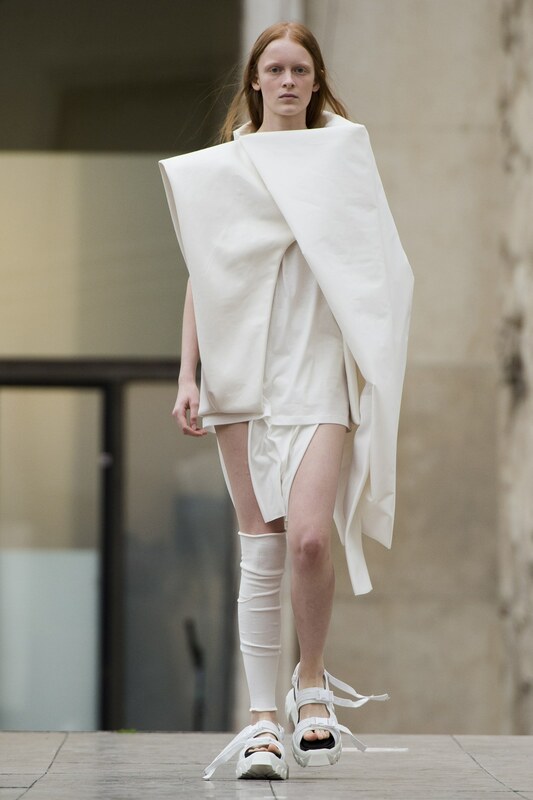 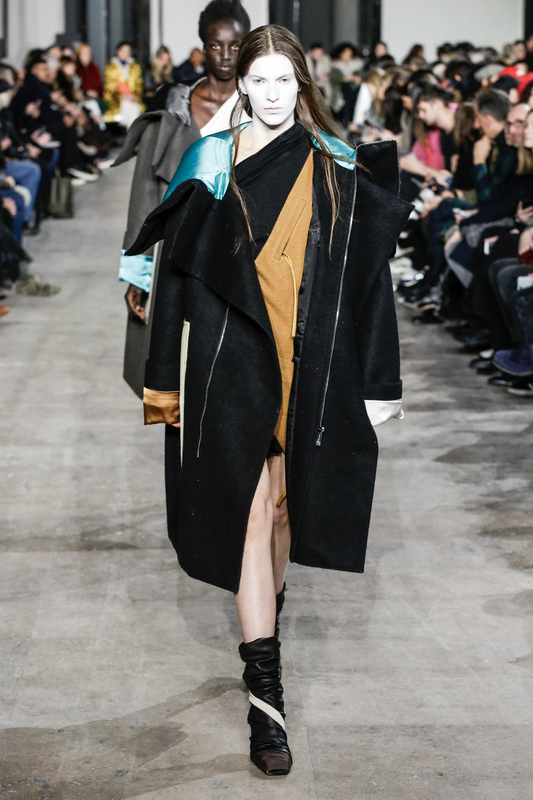 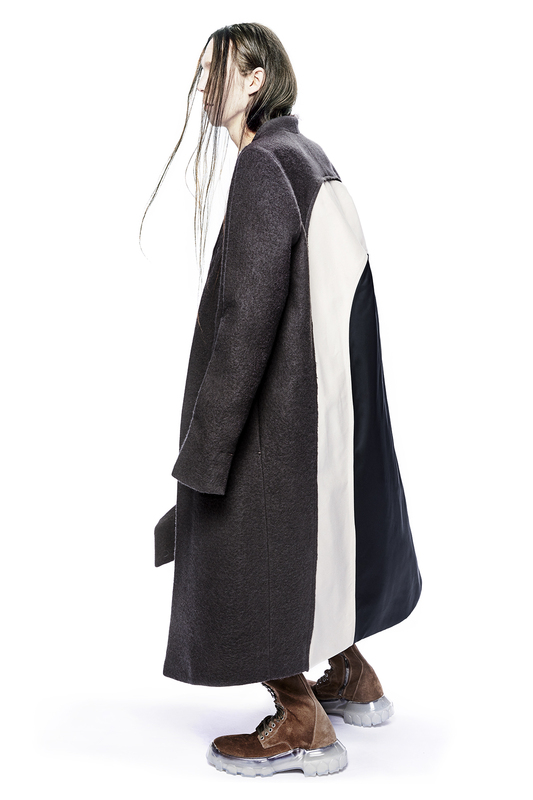 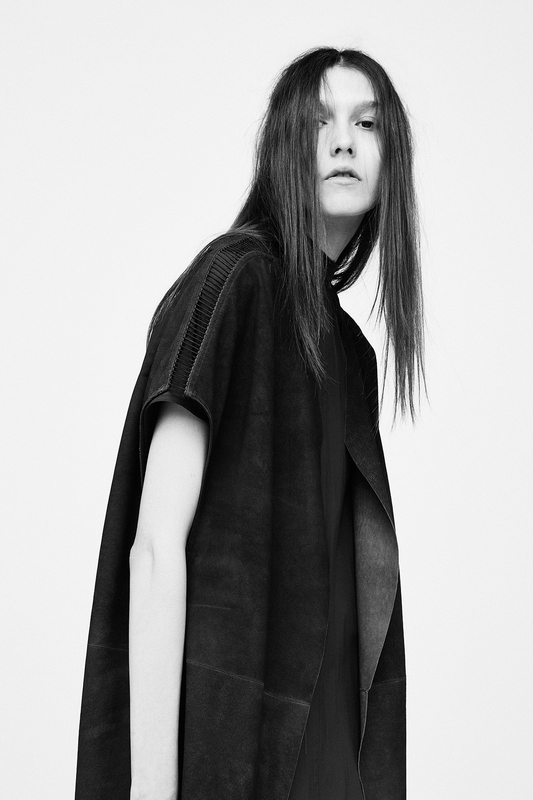 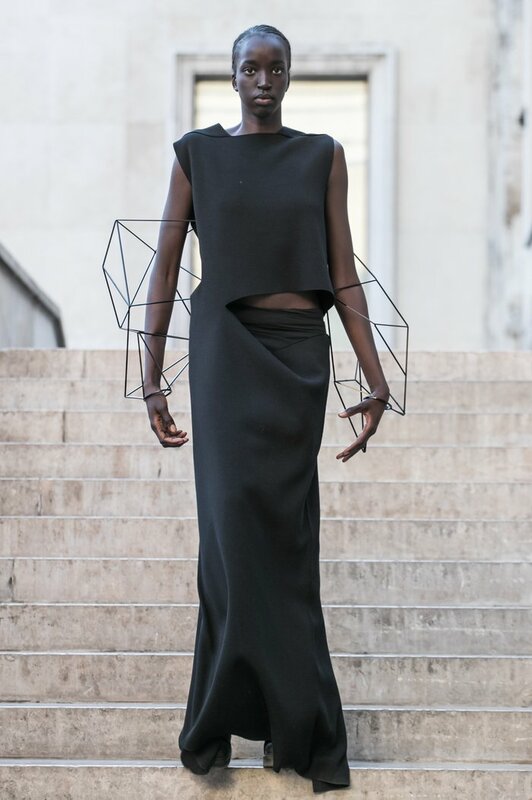 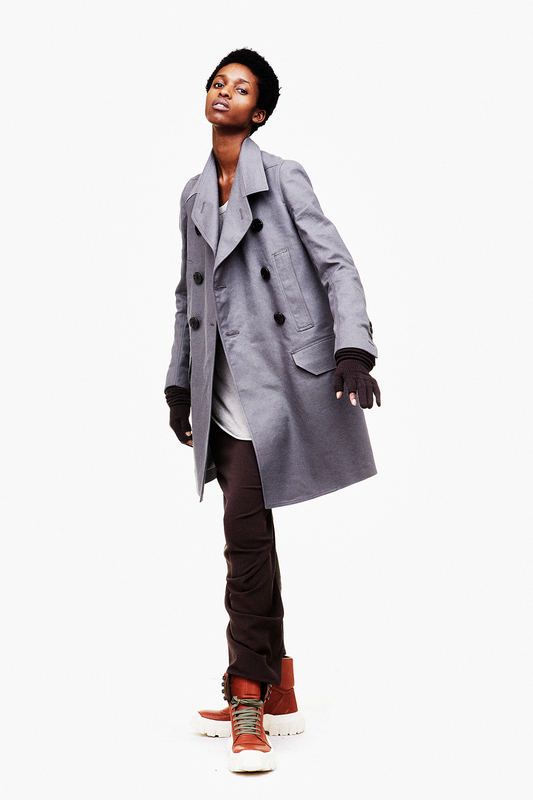 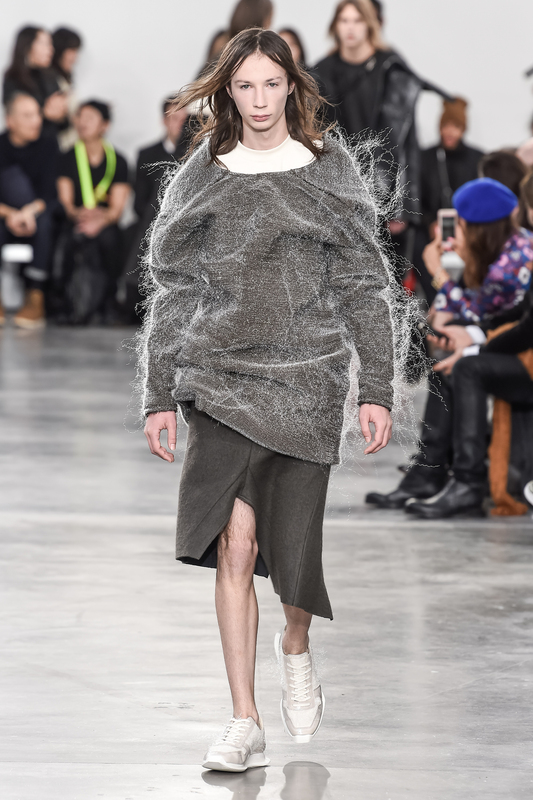 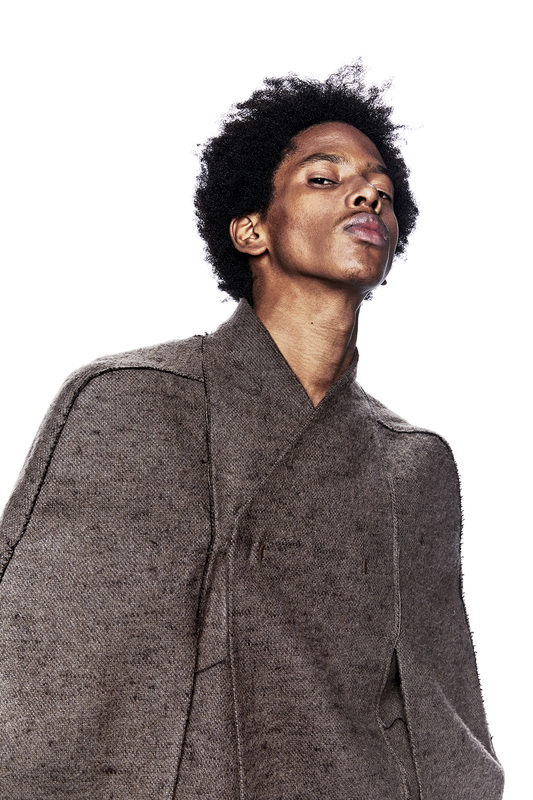 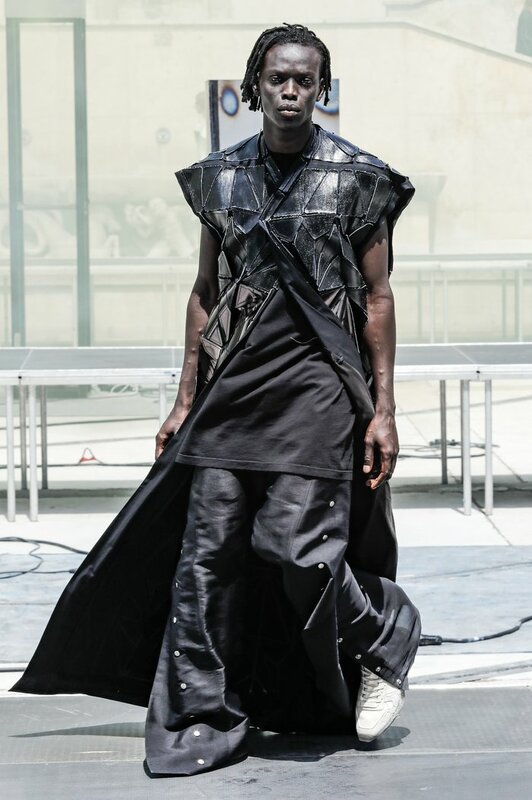 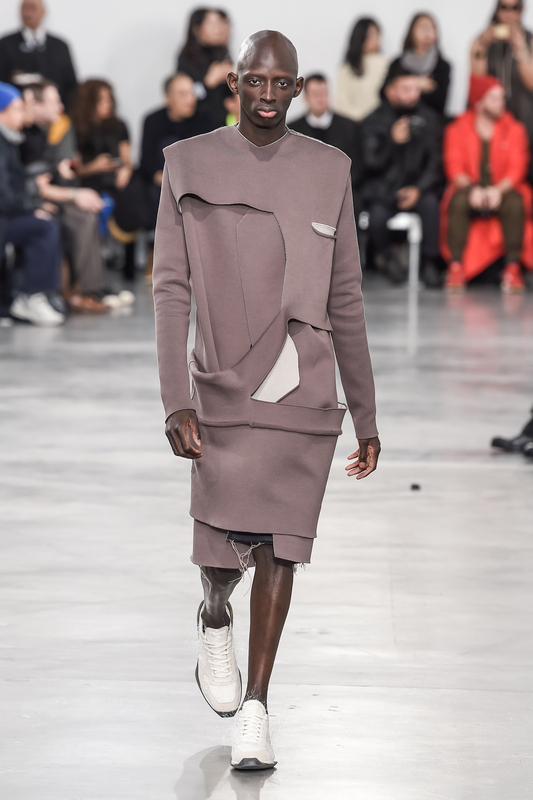 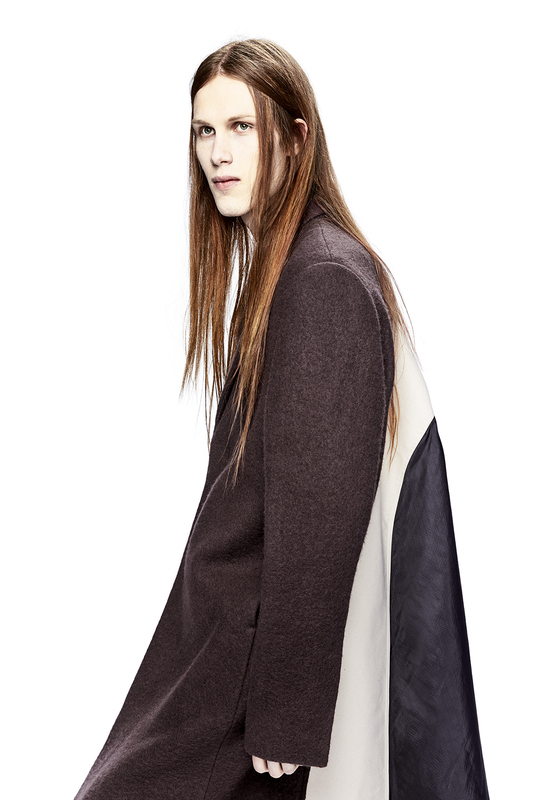 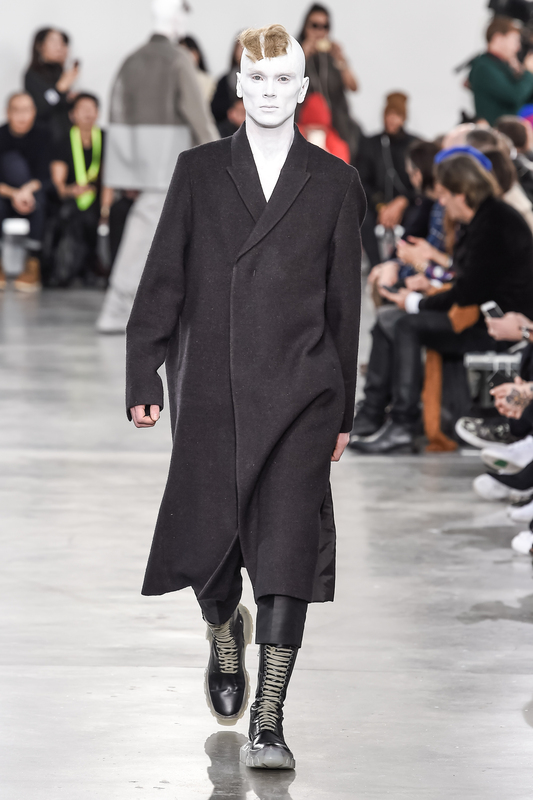 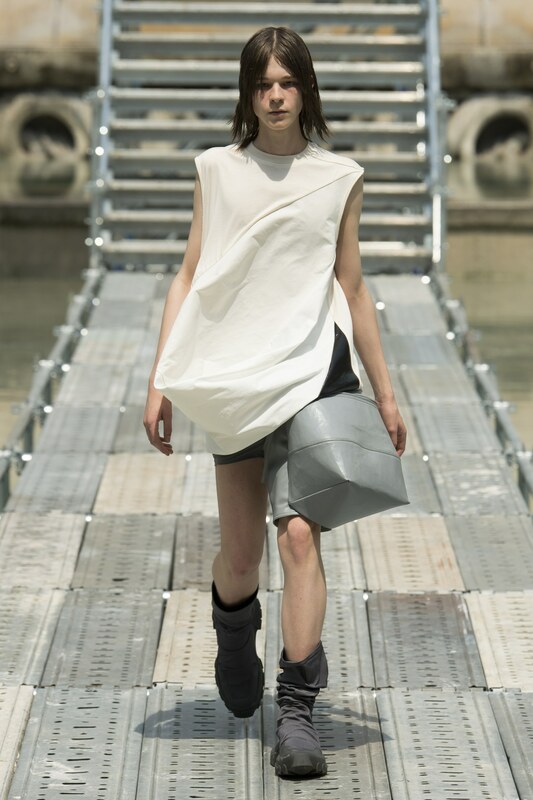 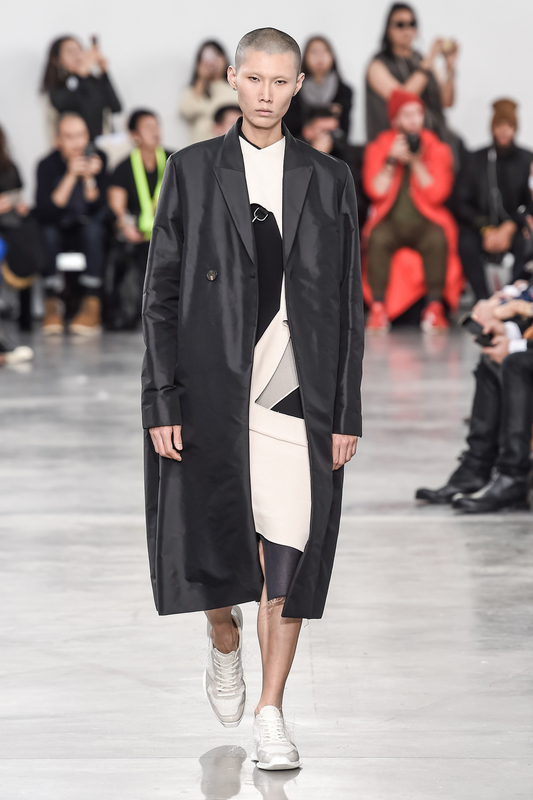 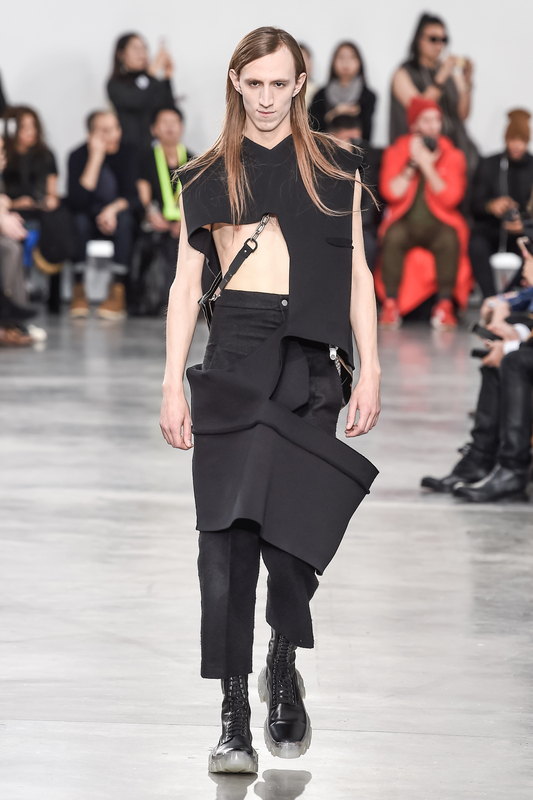 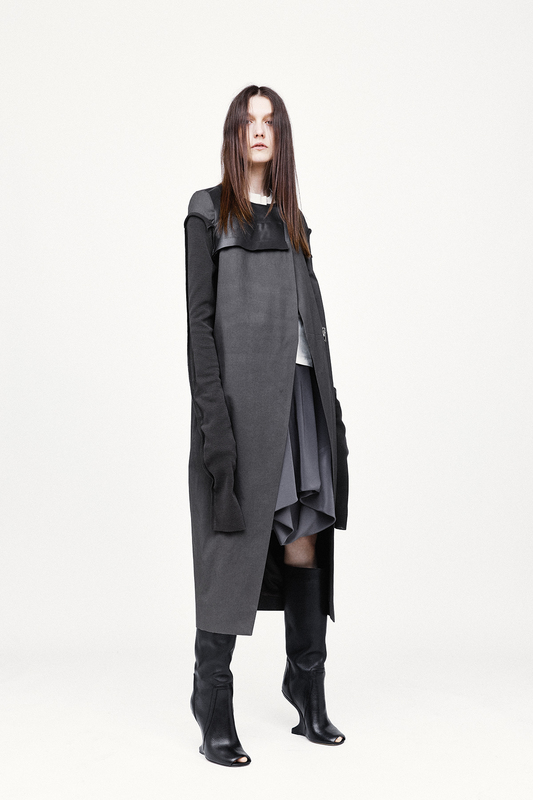 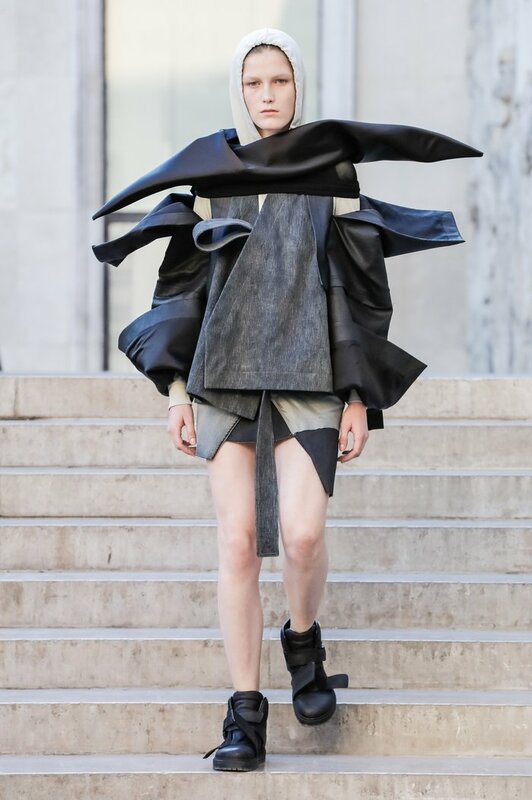 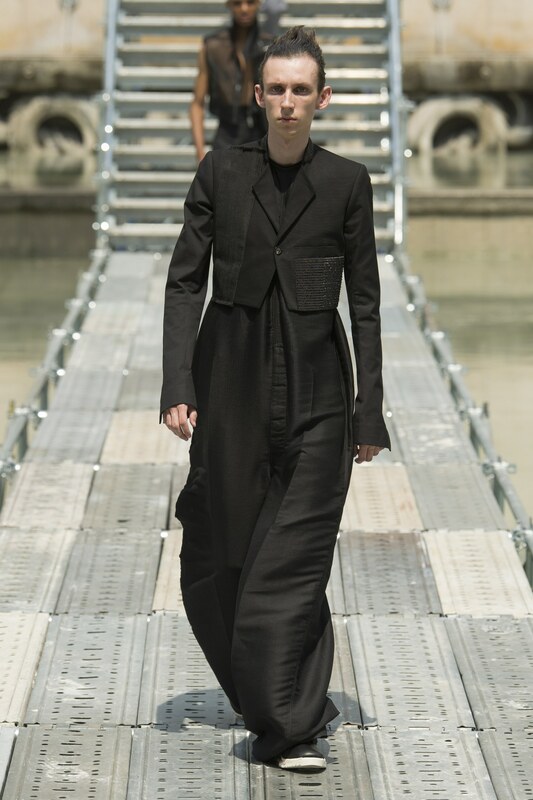 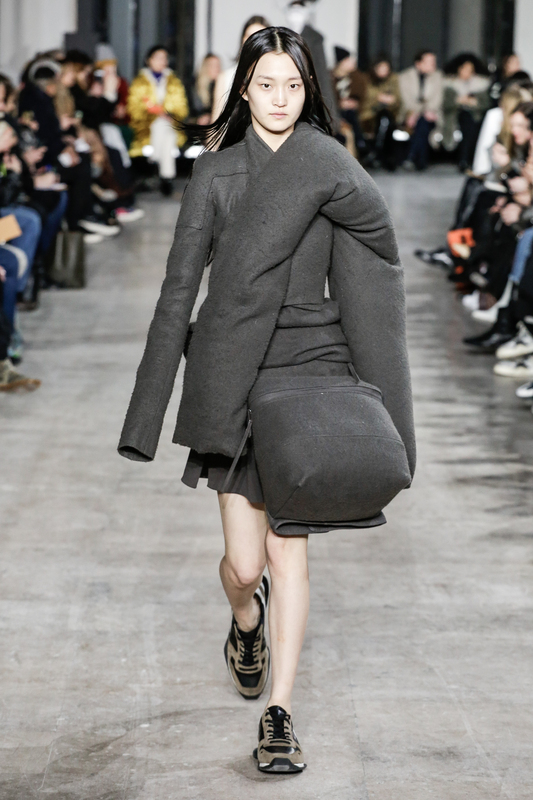 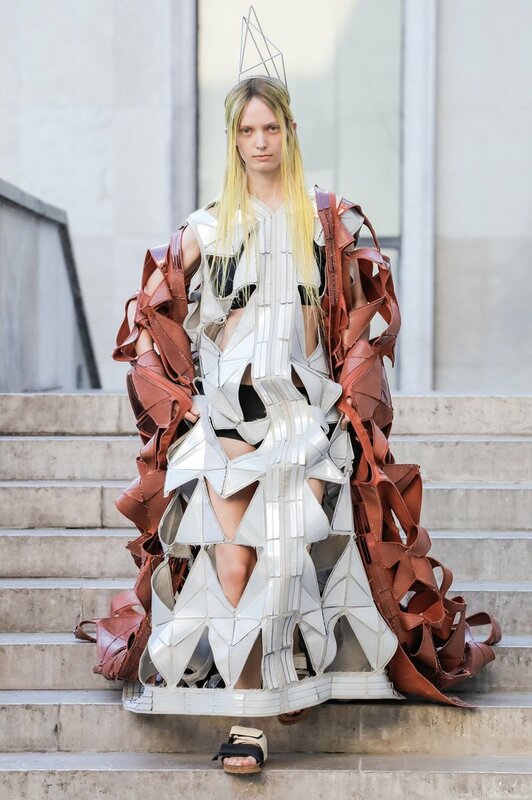 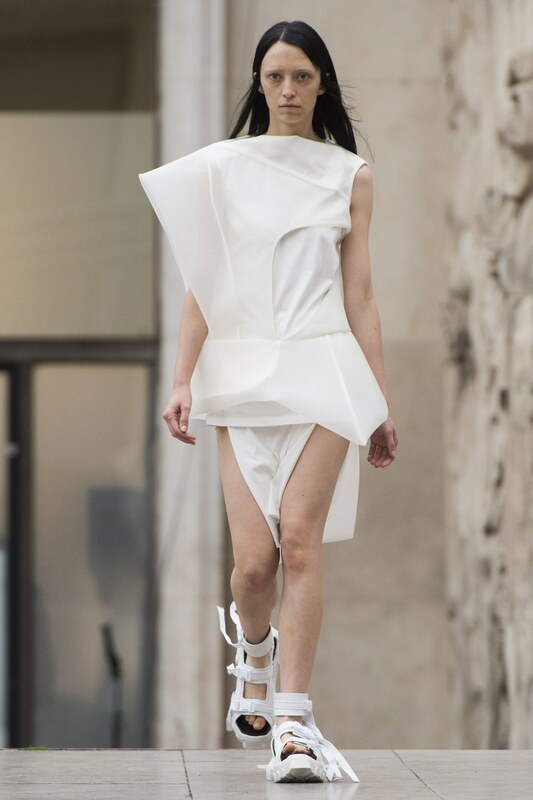 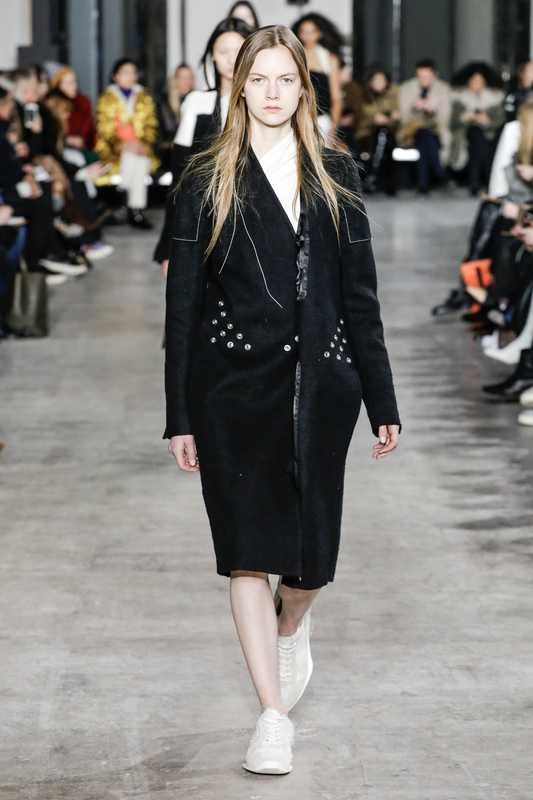 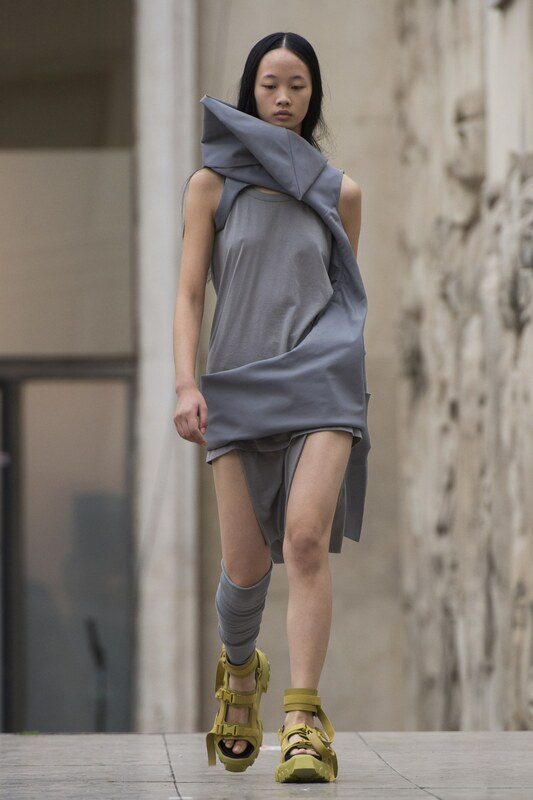 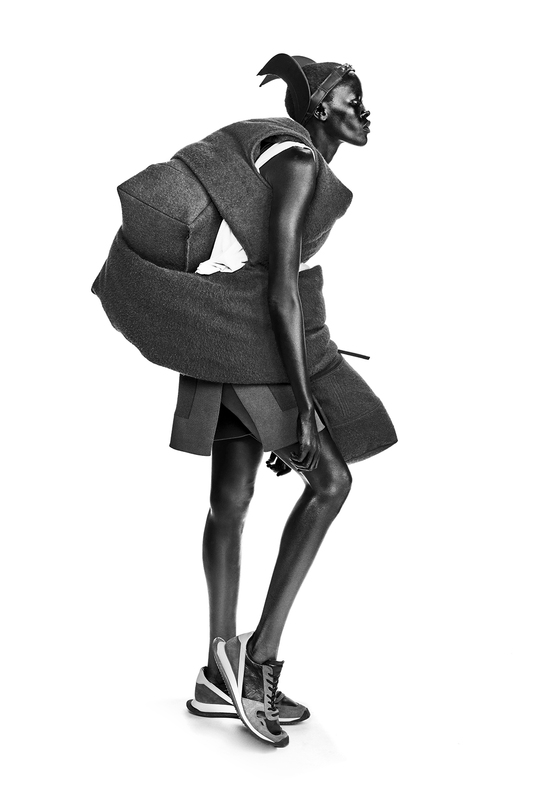 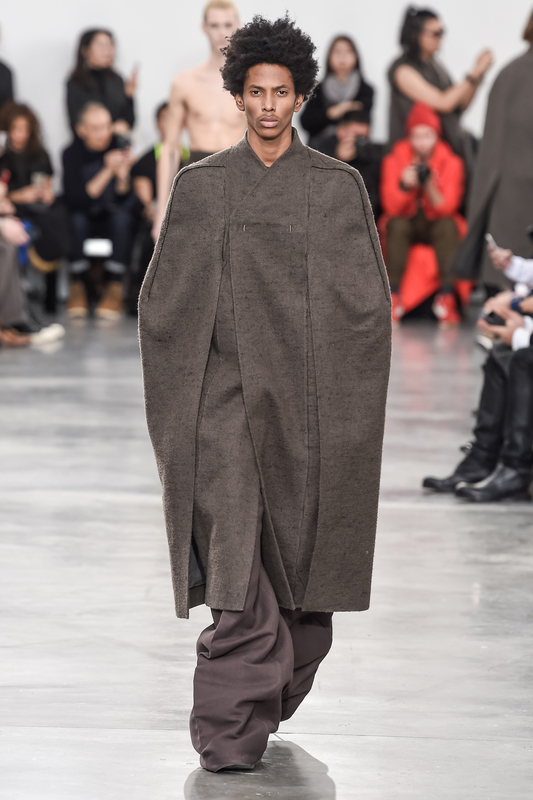 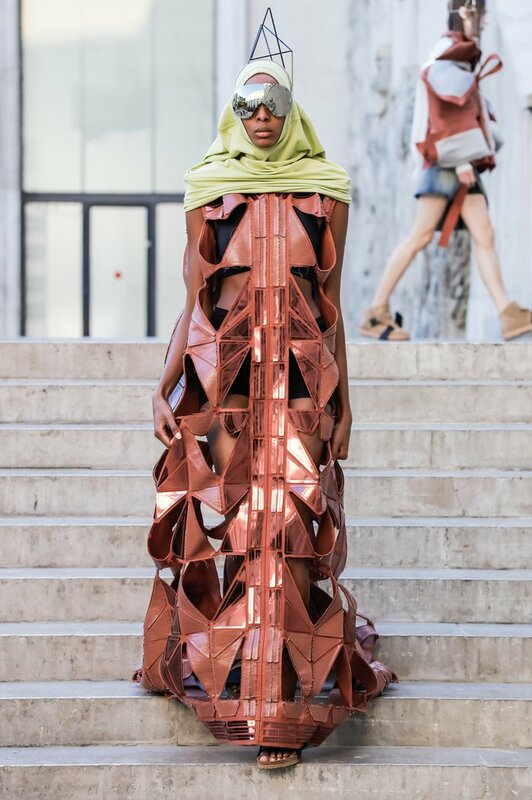 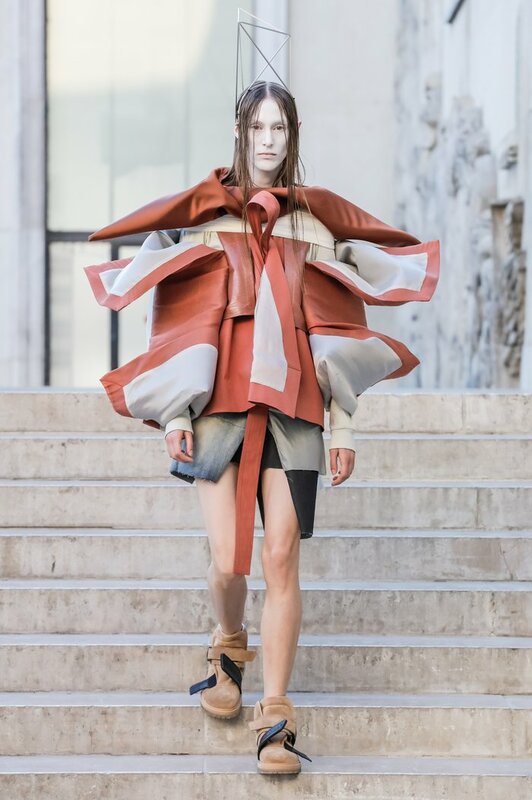 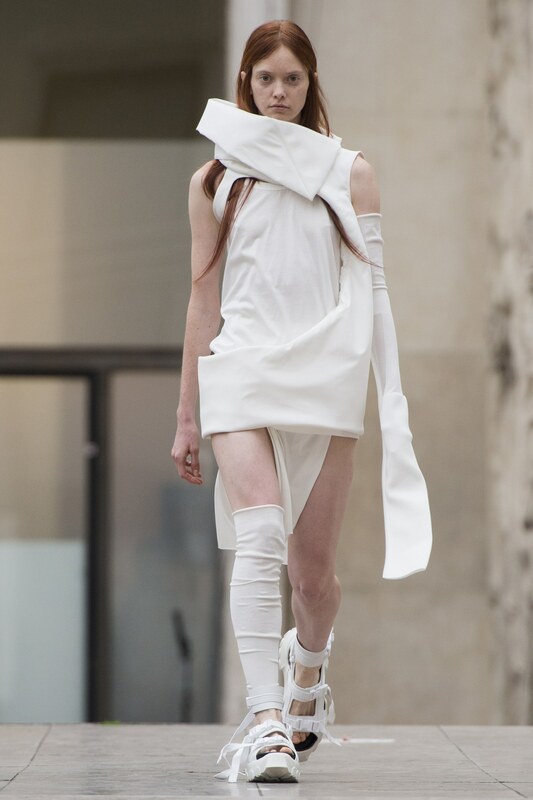 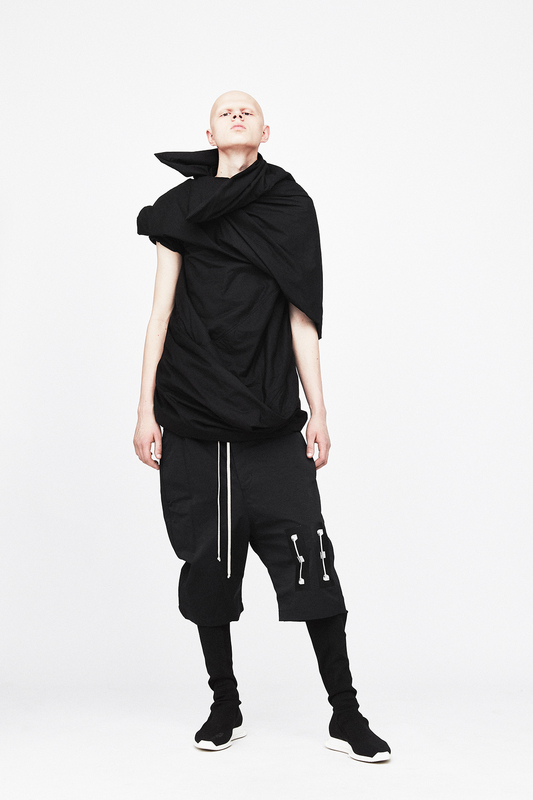 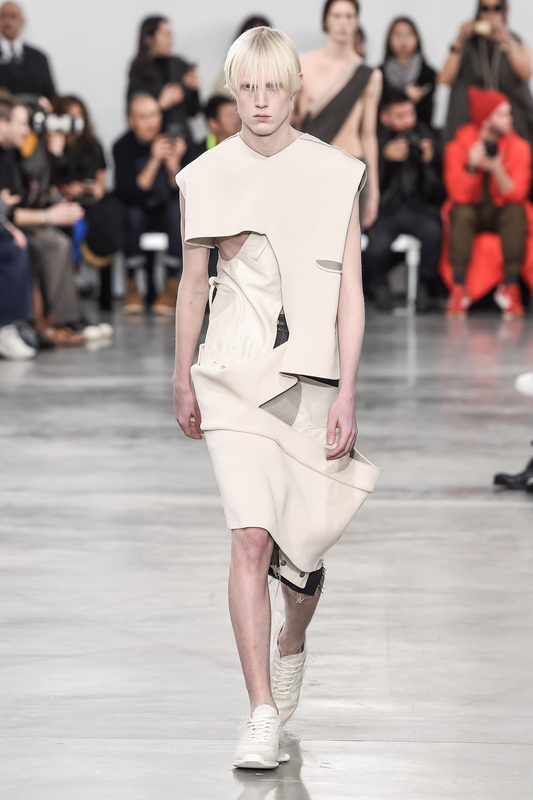 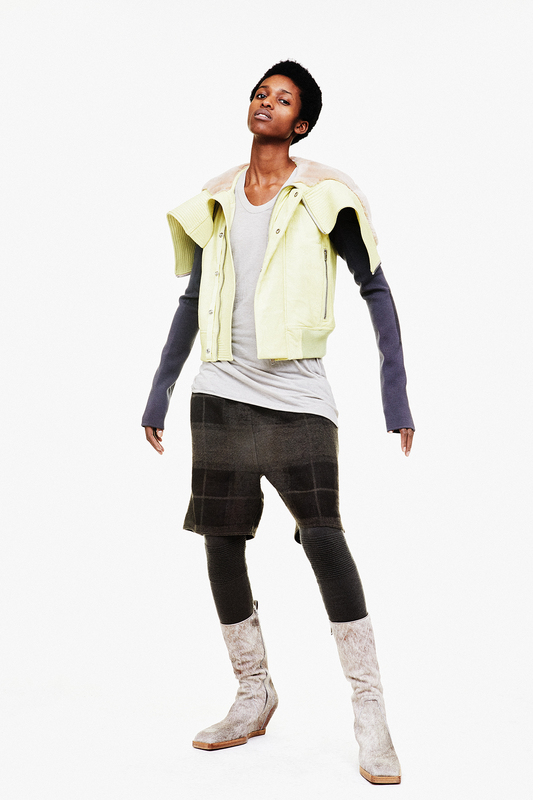 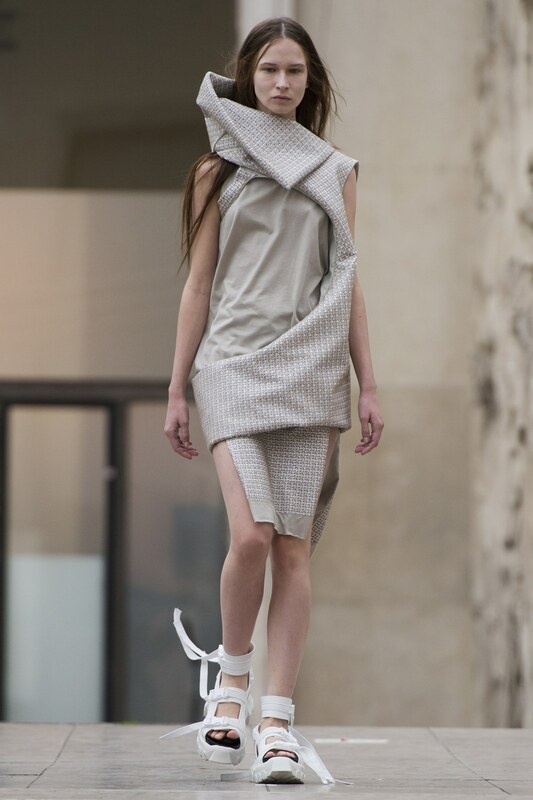 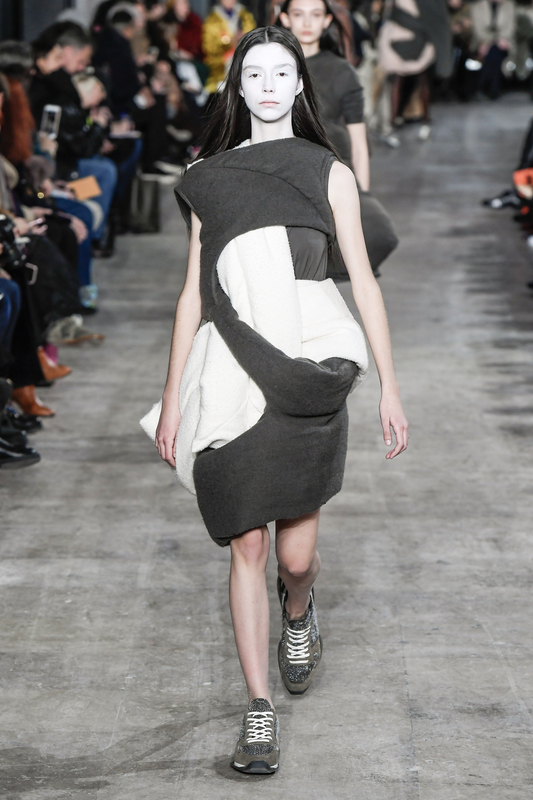 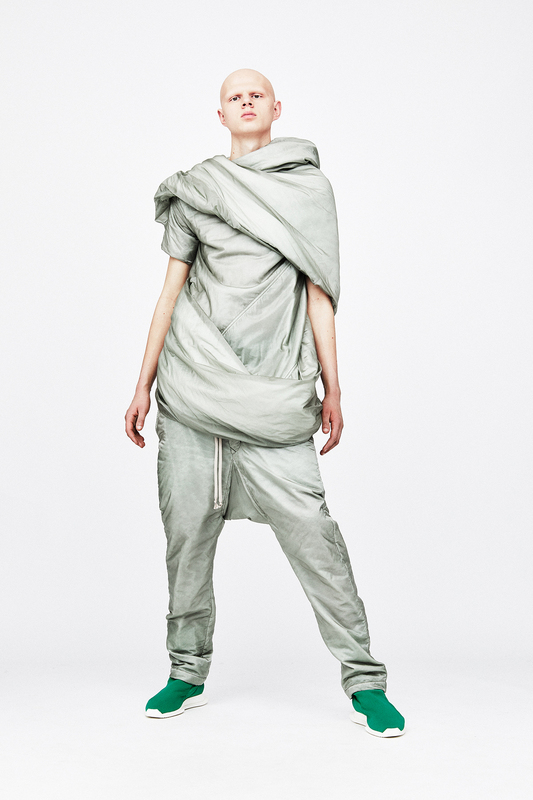 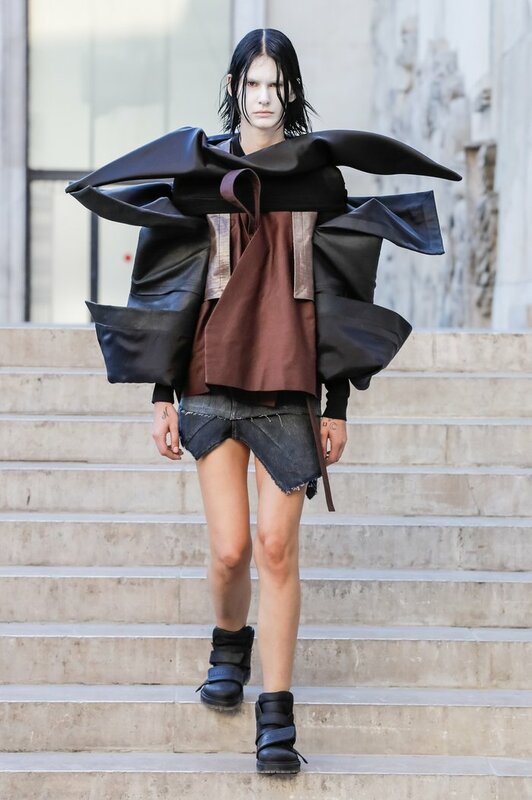 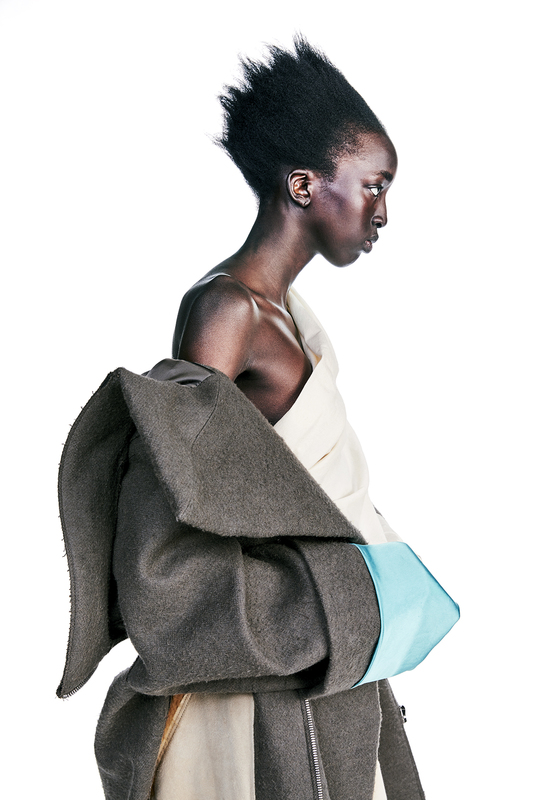 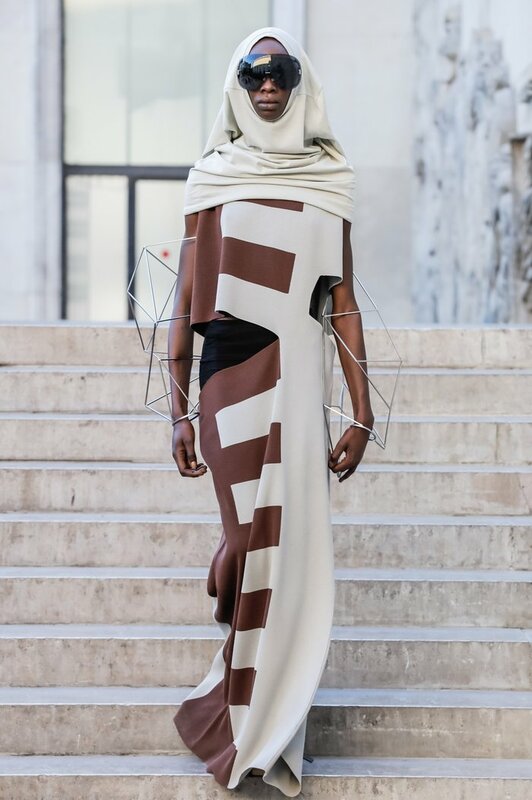 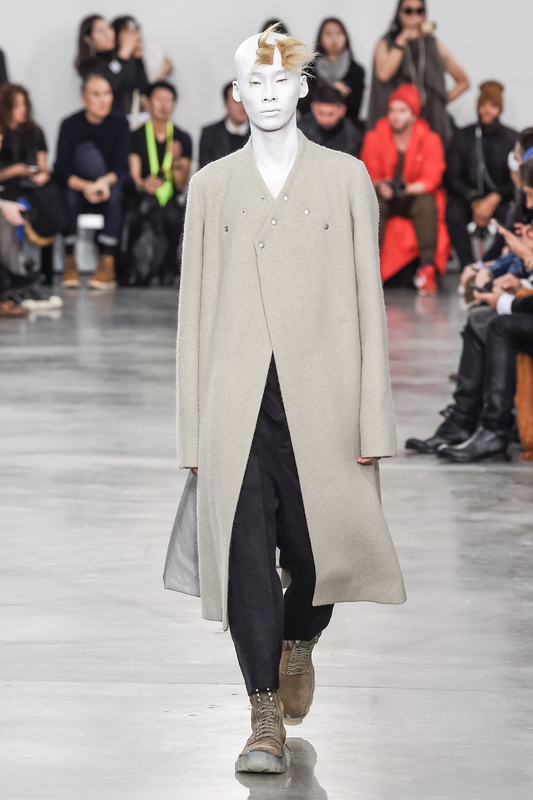 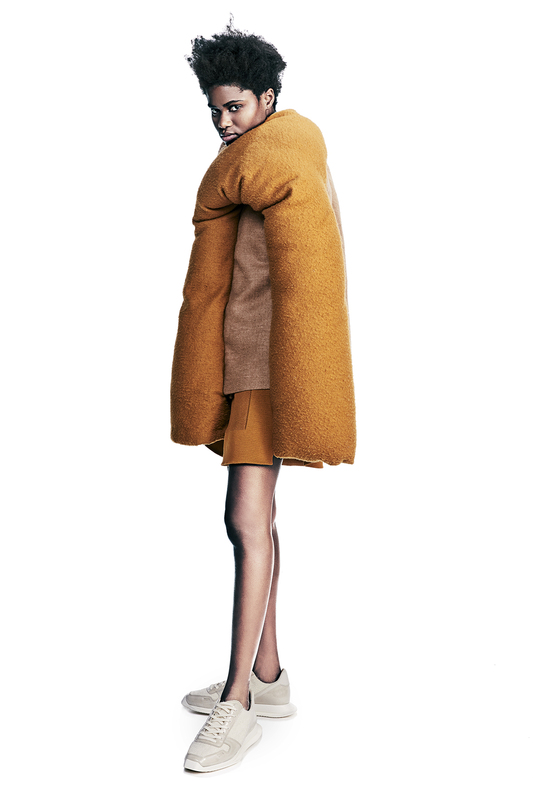 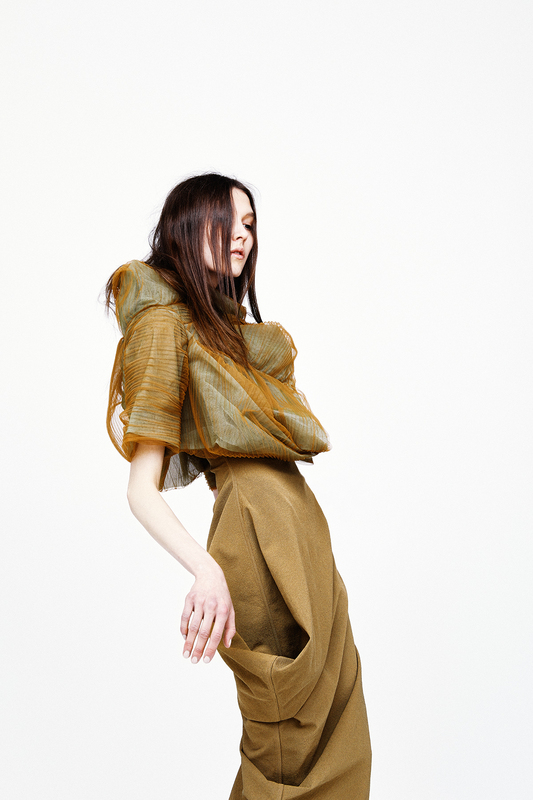 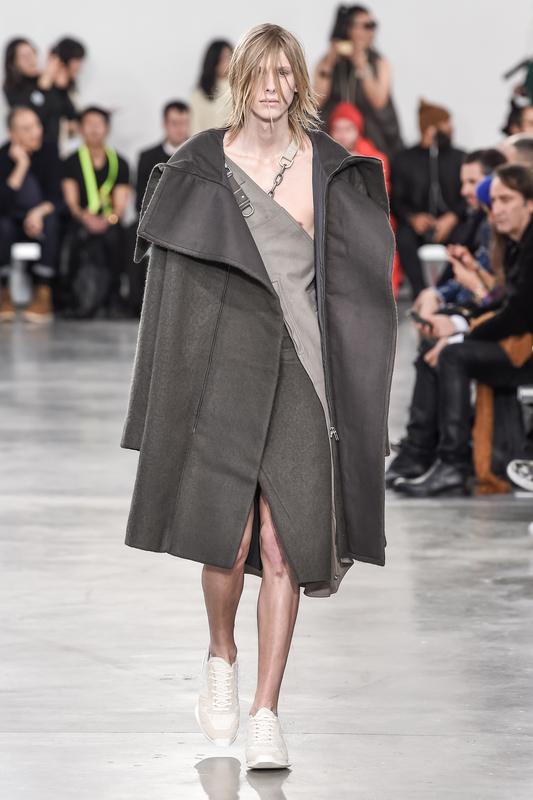 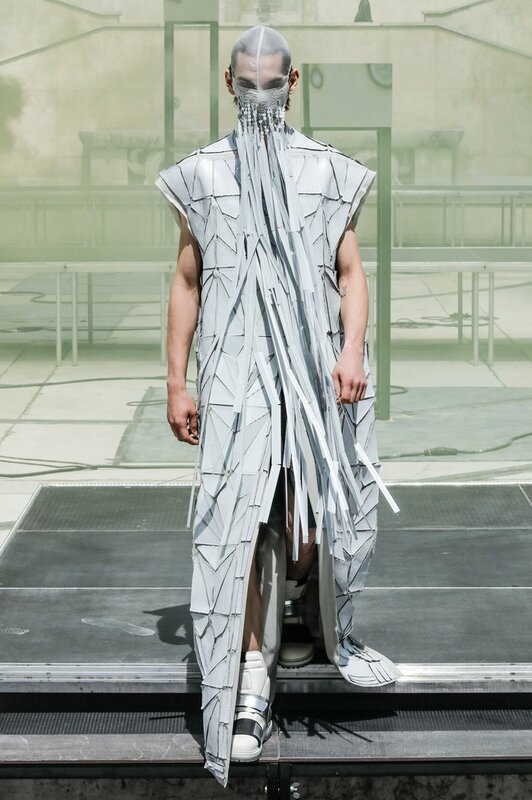 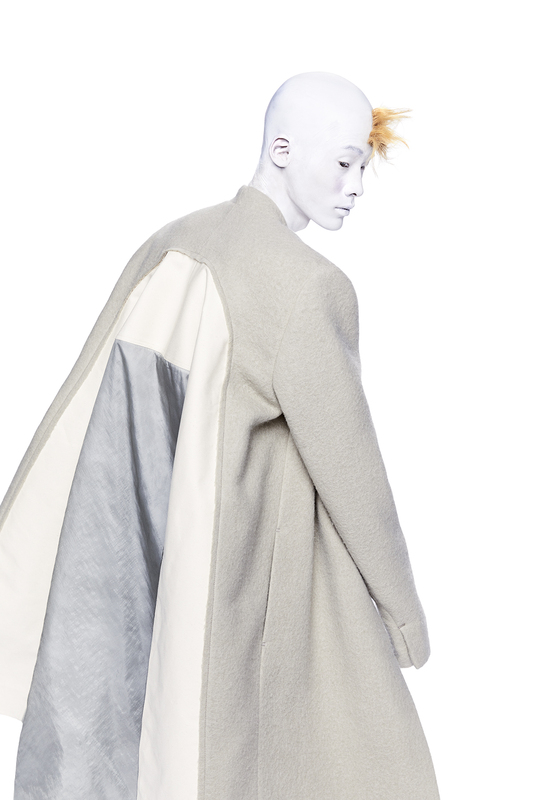 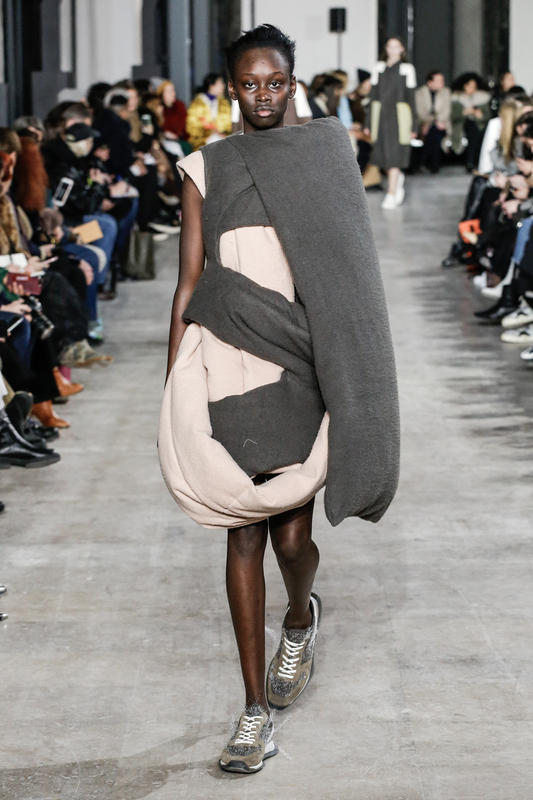 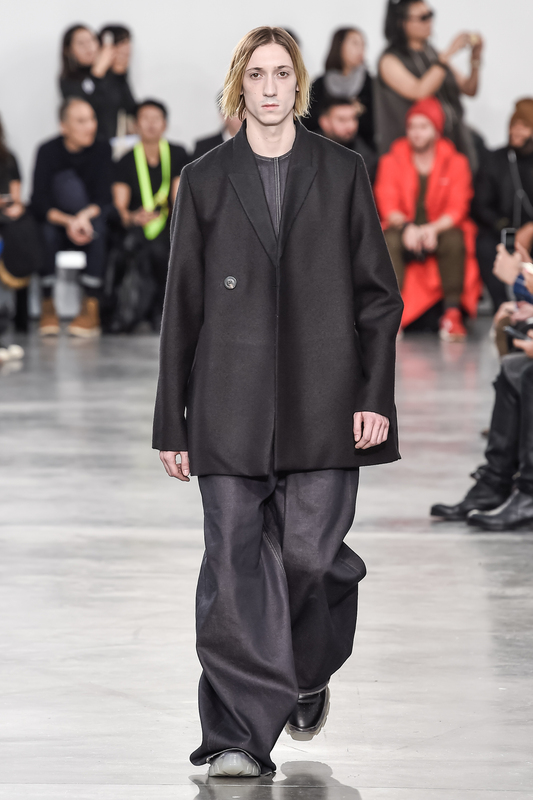 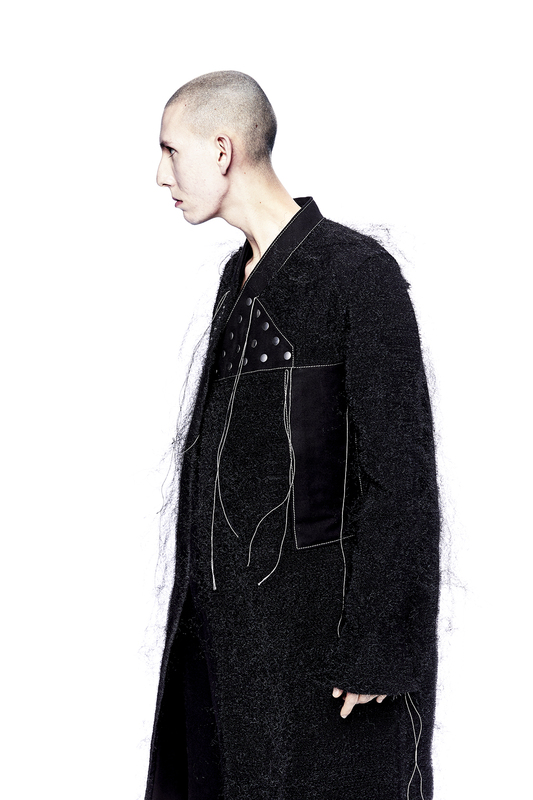 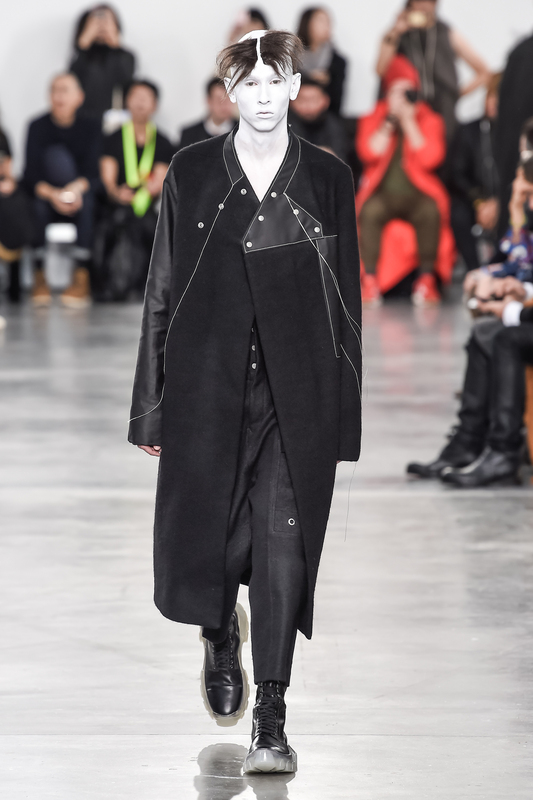 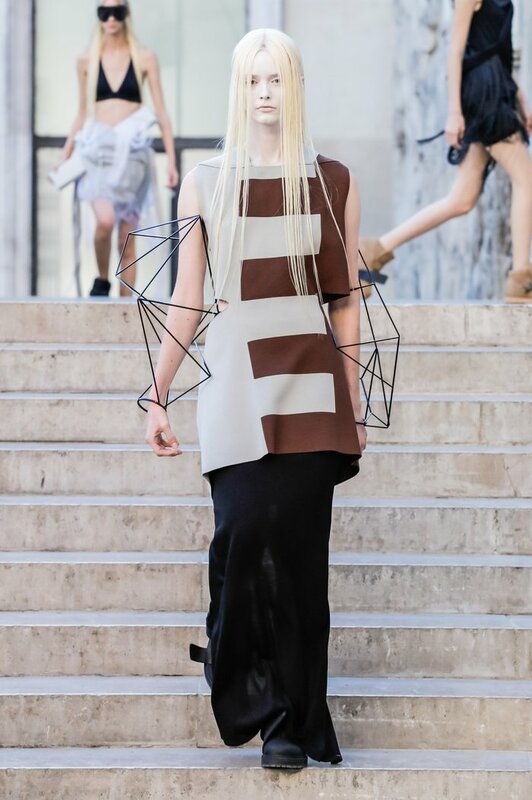 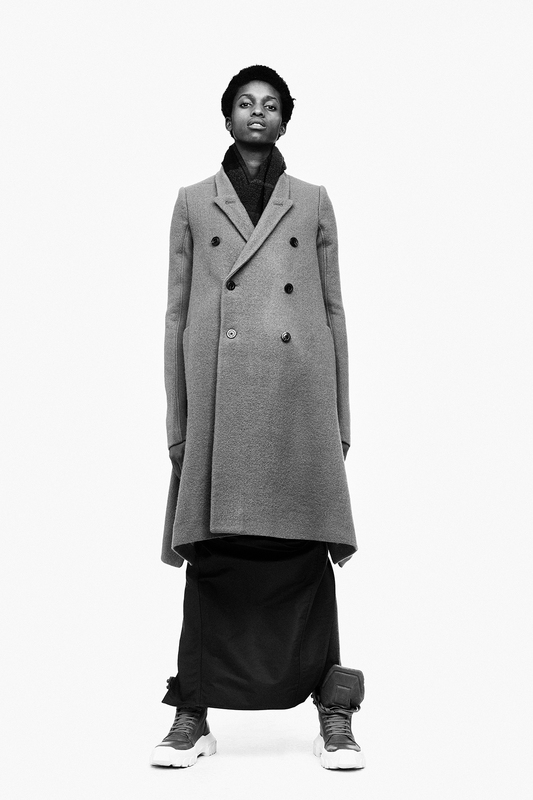 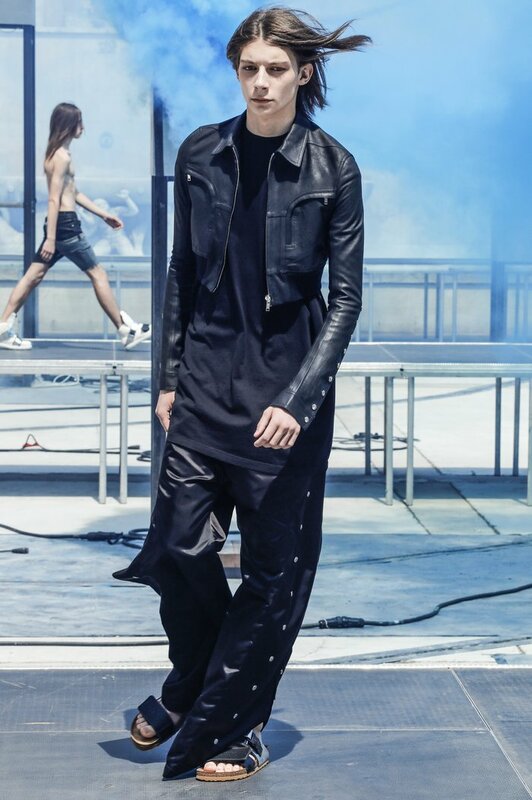 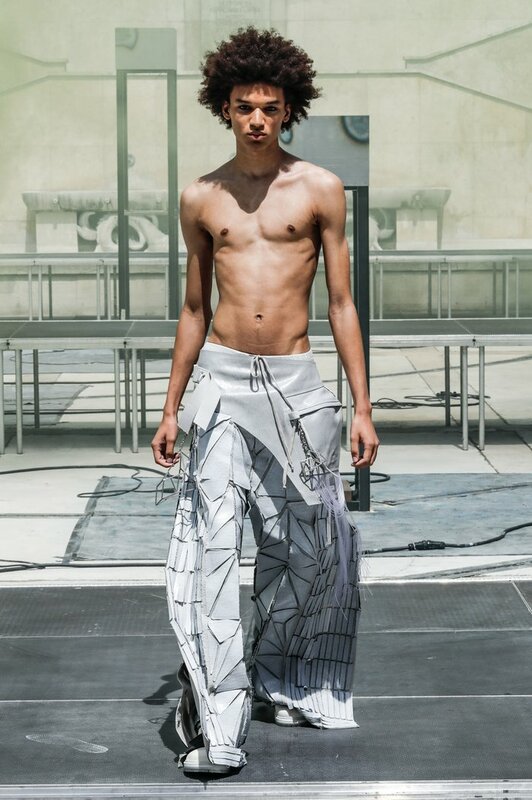 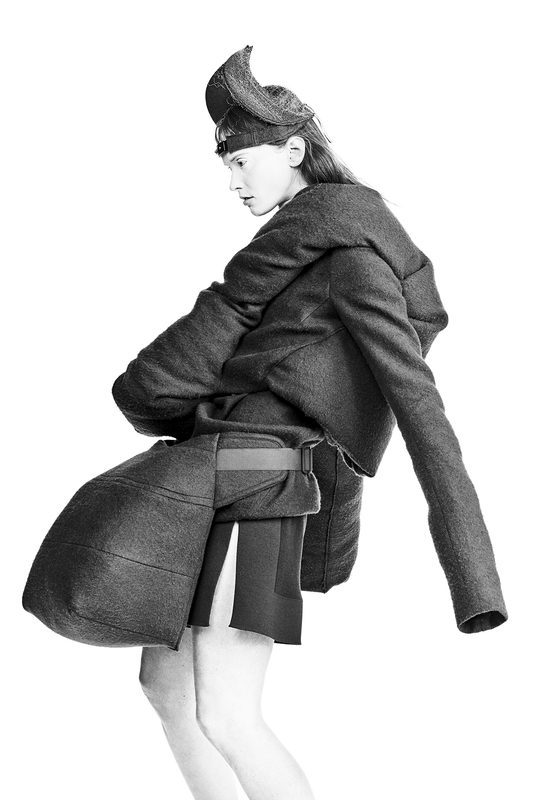 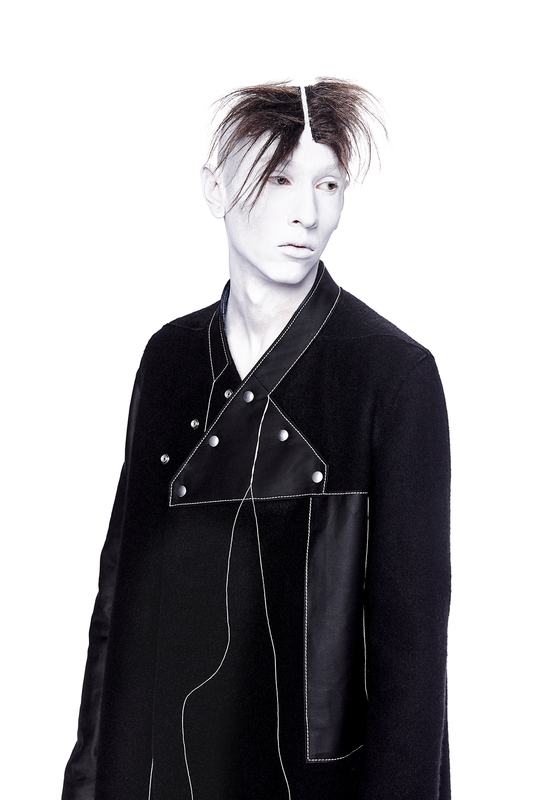 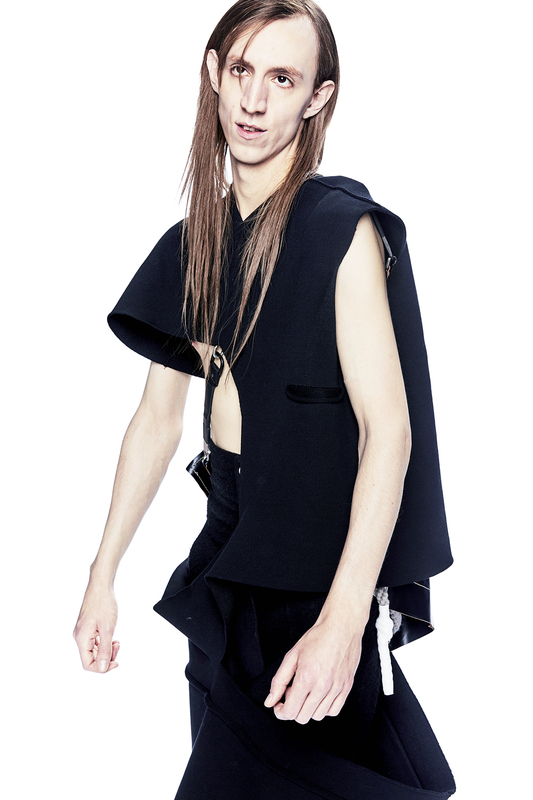 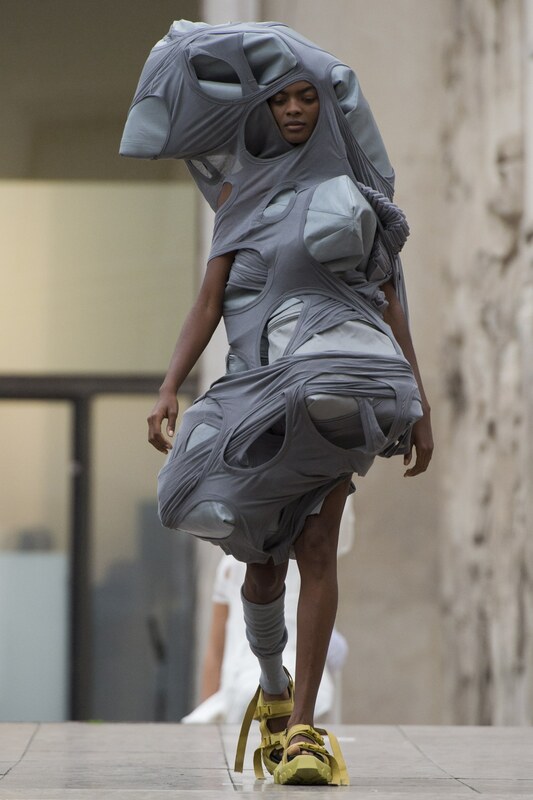 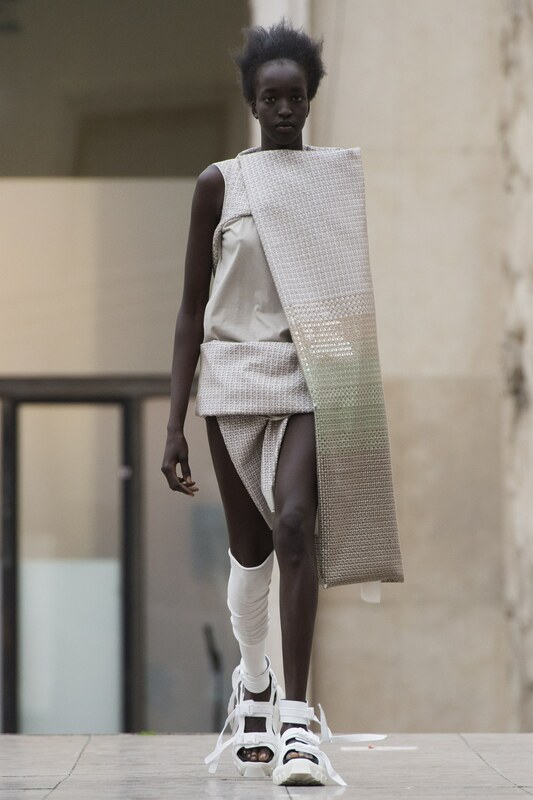 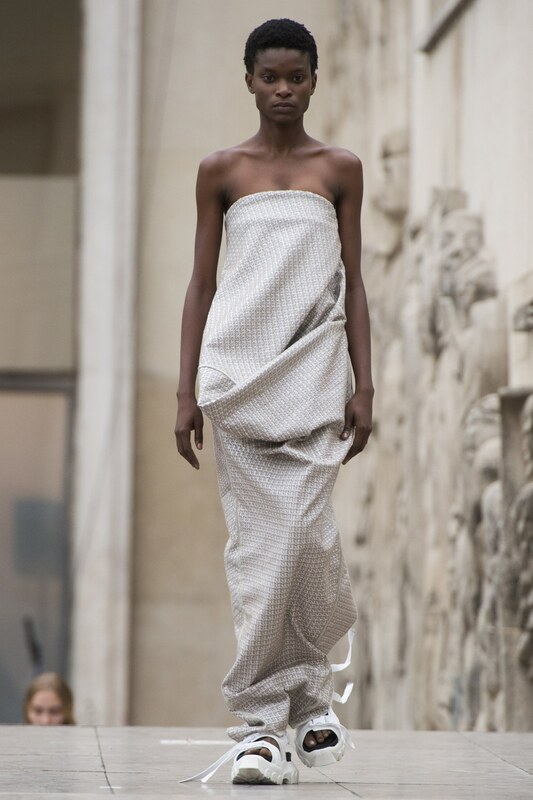 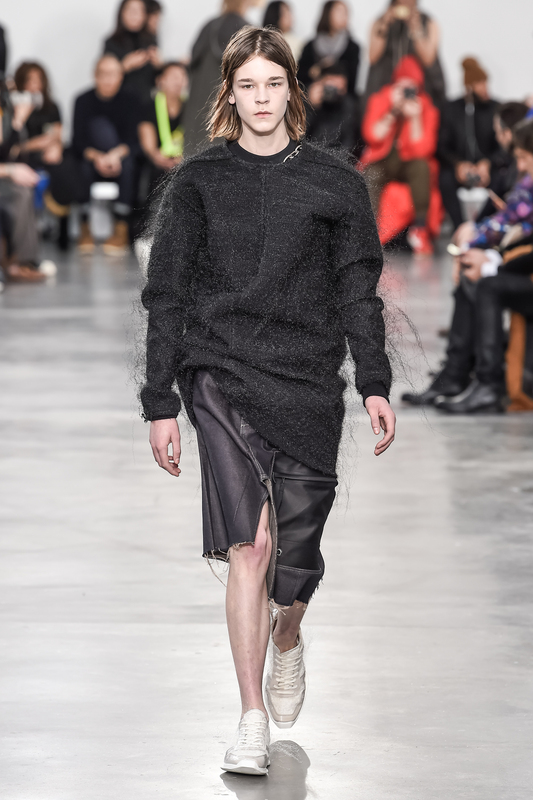 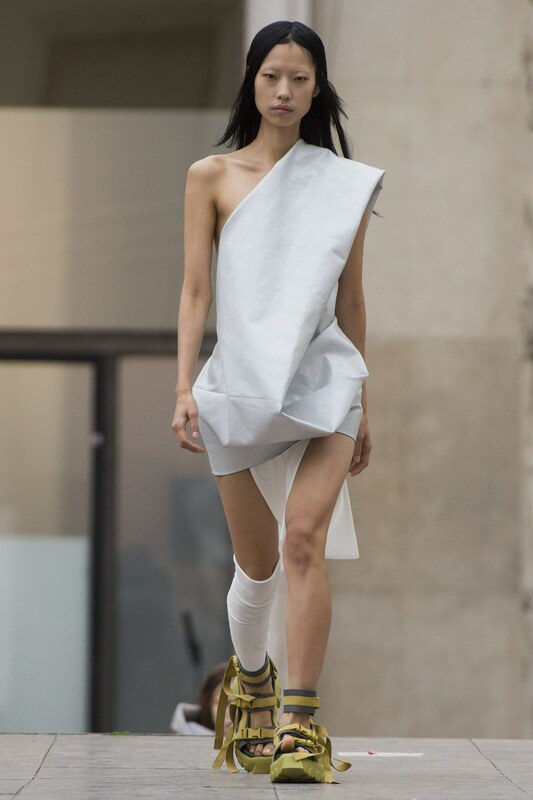 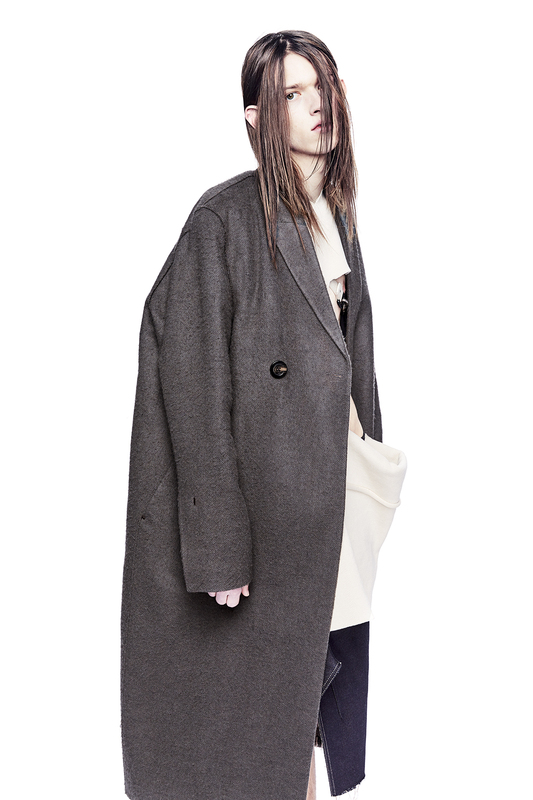 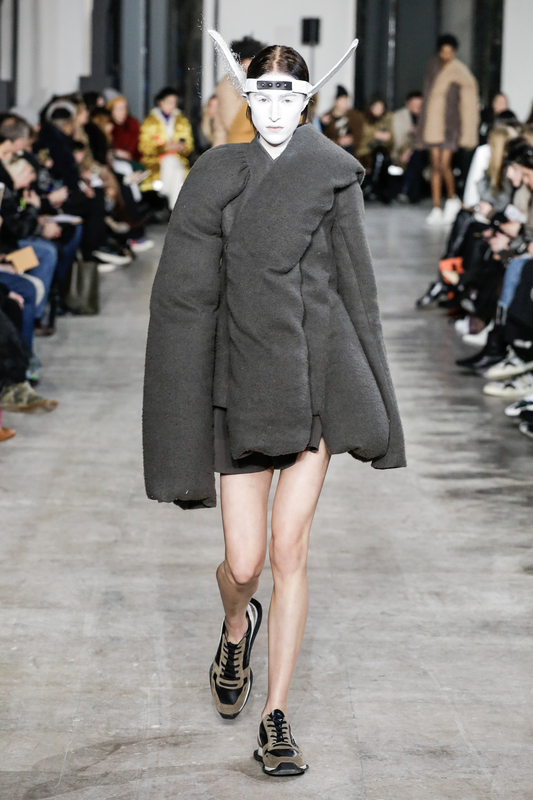 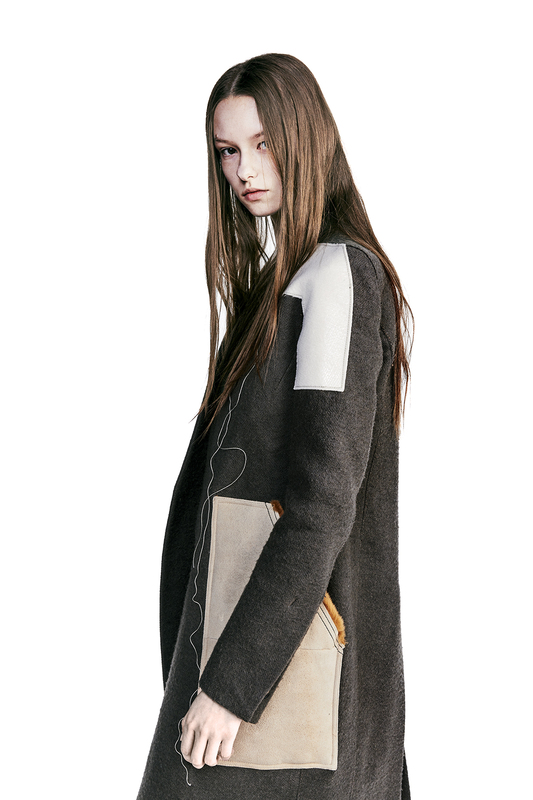 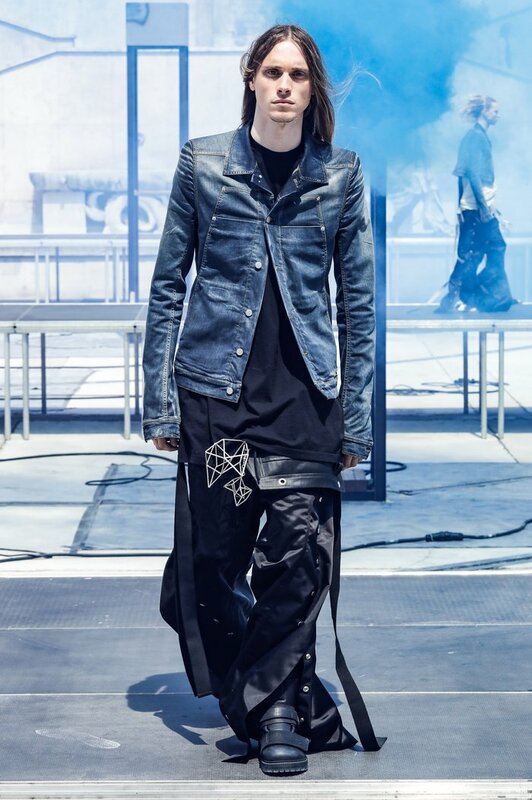 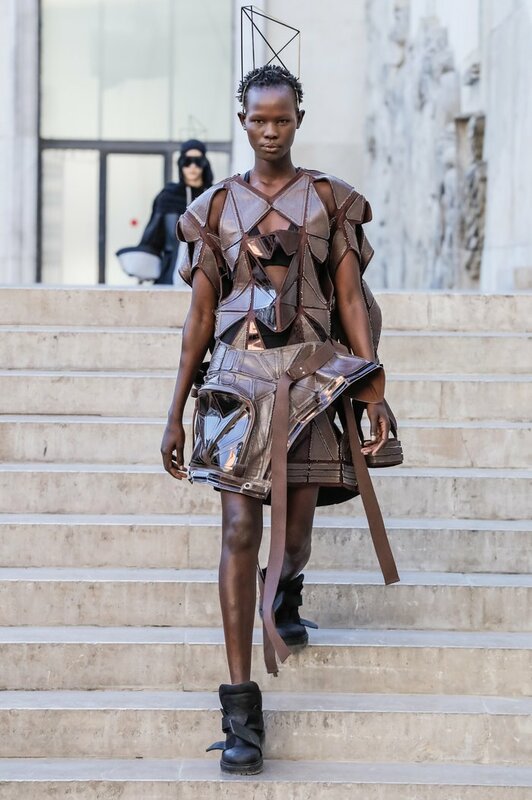 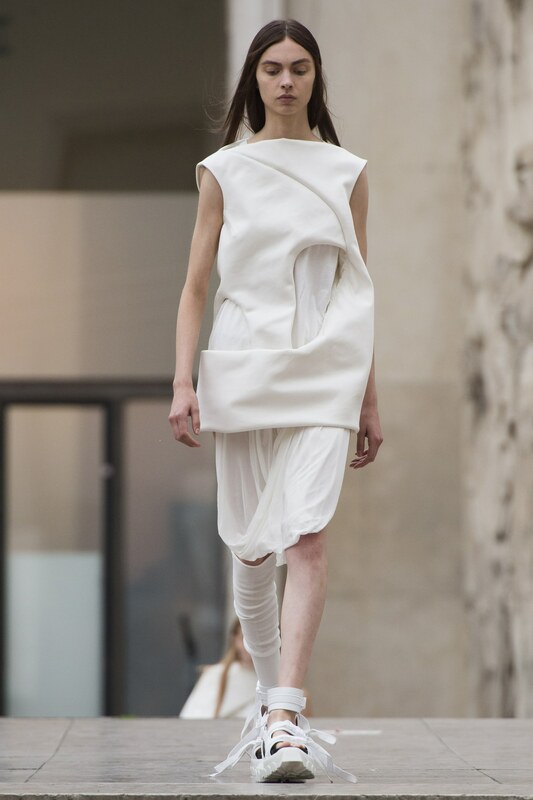 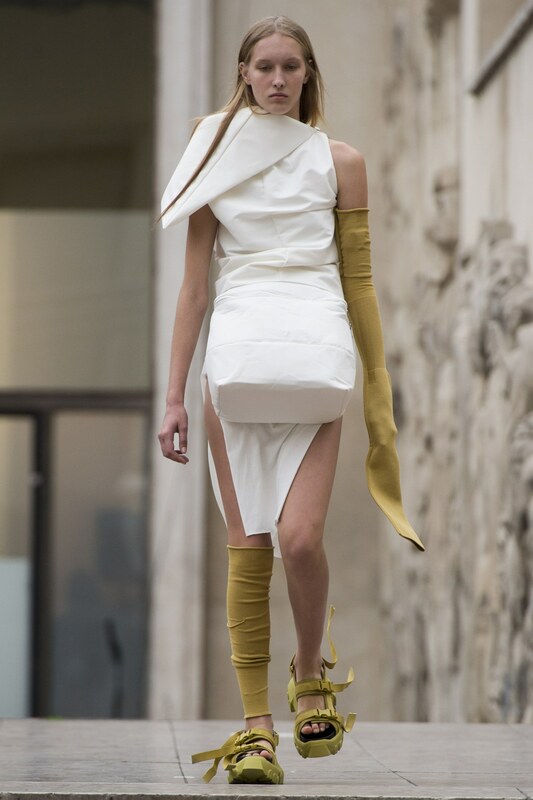 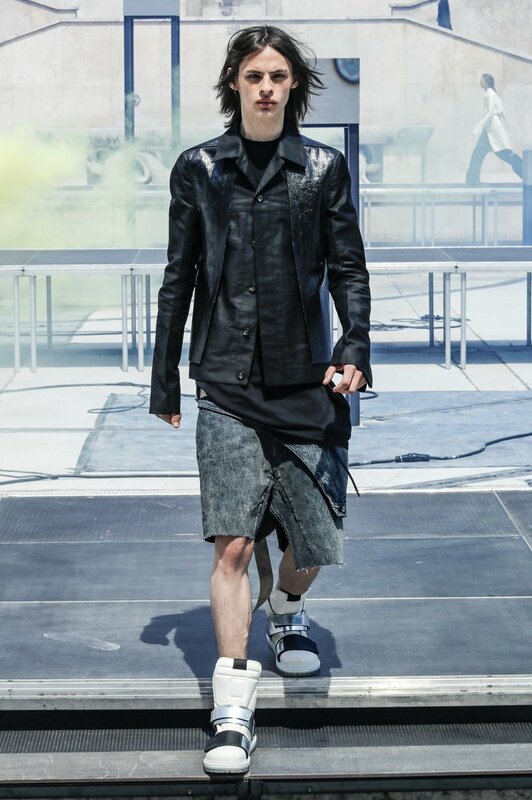 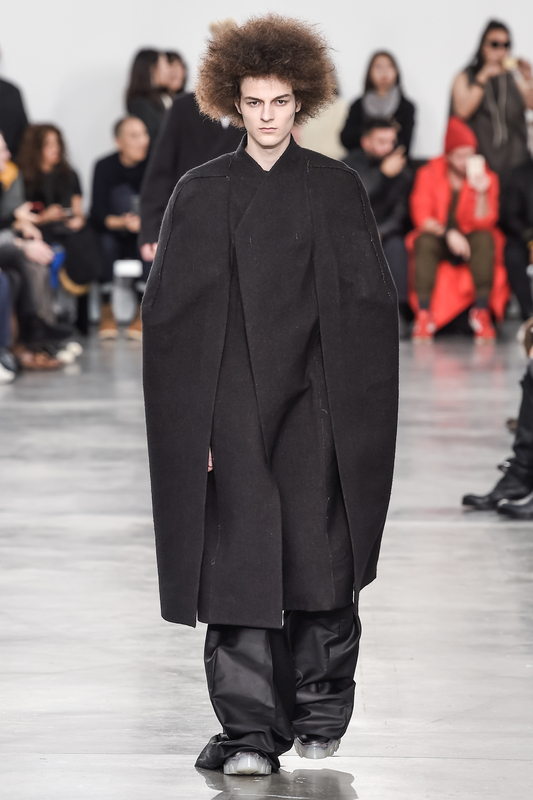 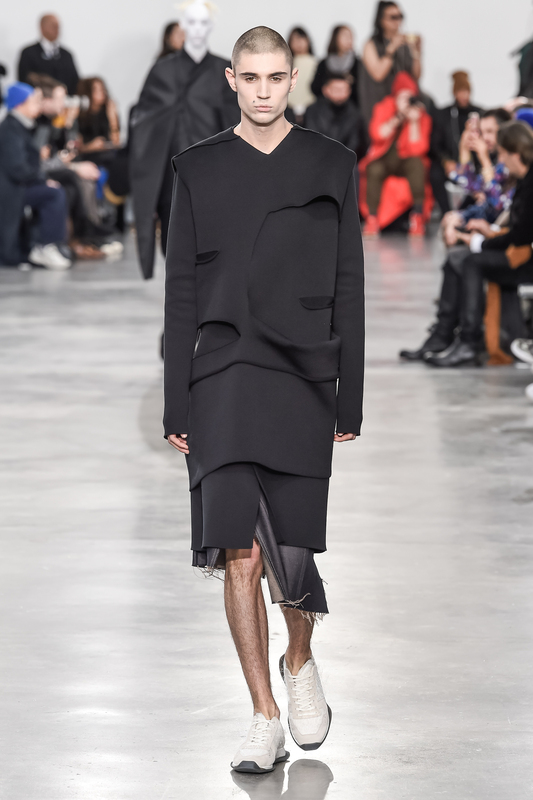 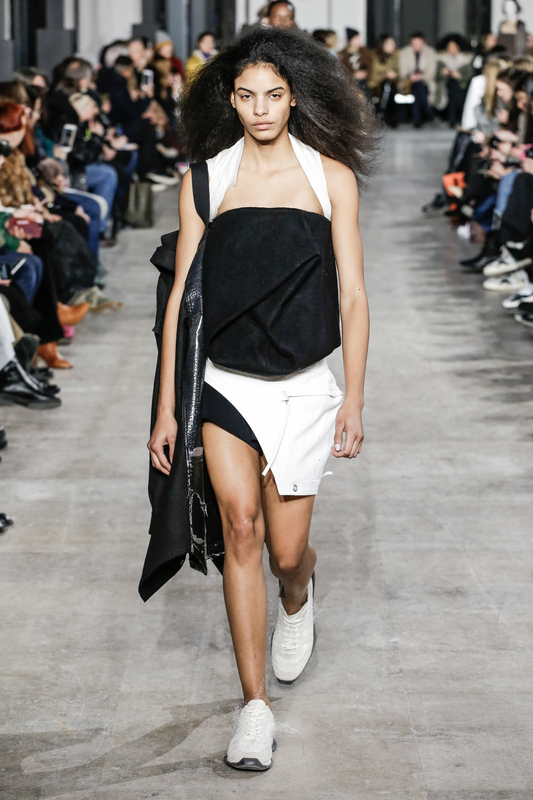 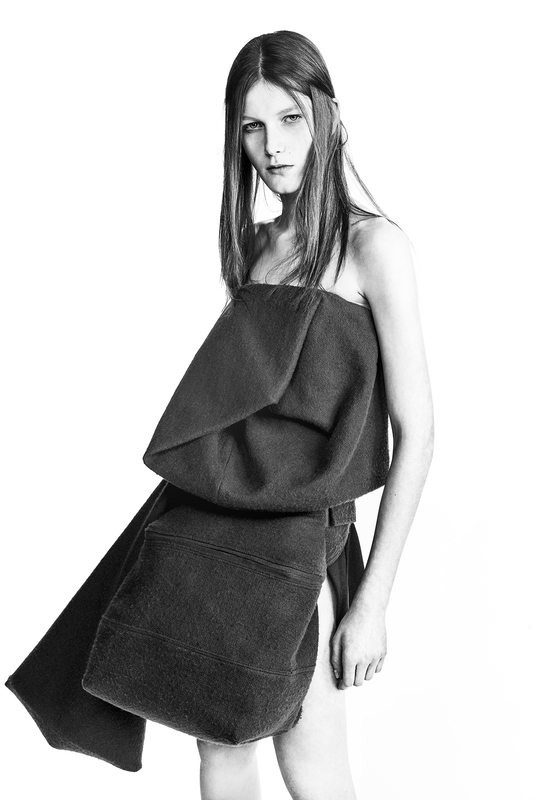 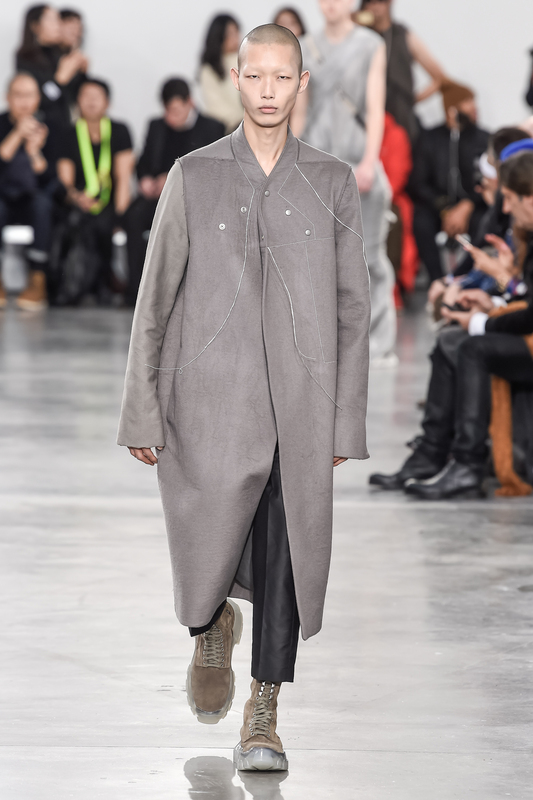 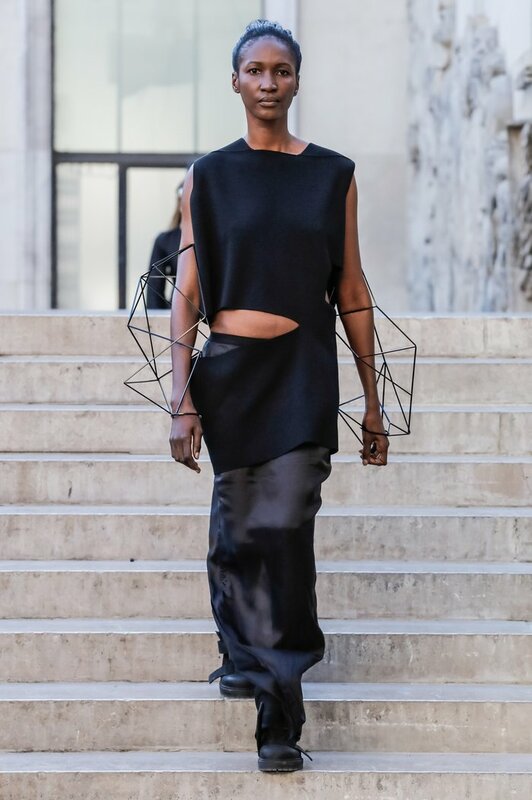 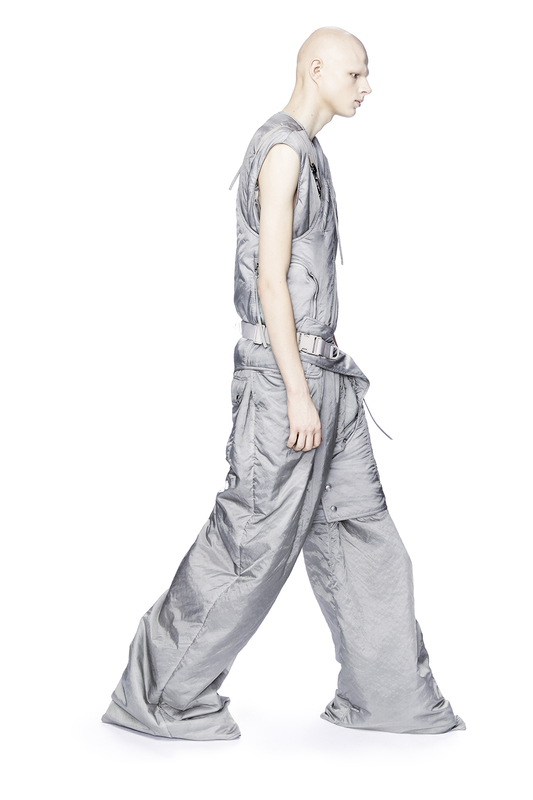 Rick Owens clothes have architectural shapes, flowing lines, elongated sleeves and eternal bias cut. 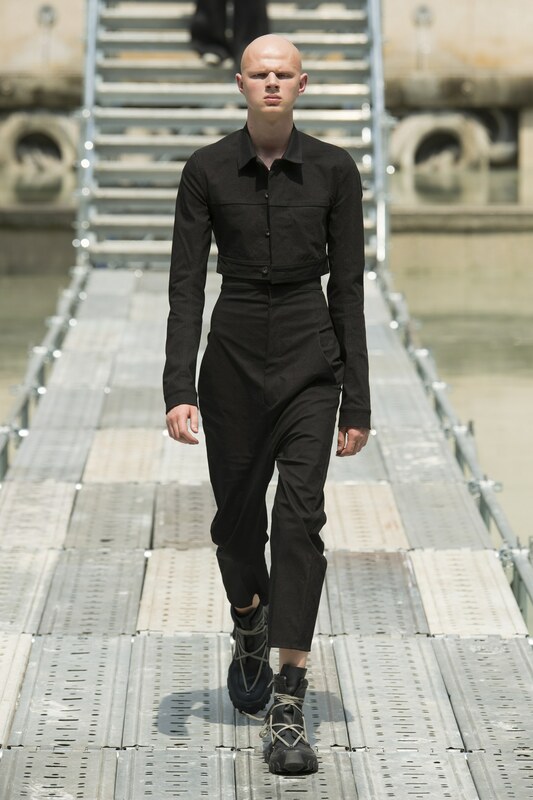 The outfits are often dark, monochrome, fabrics have a worn effect. 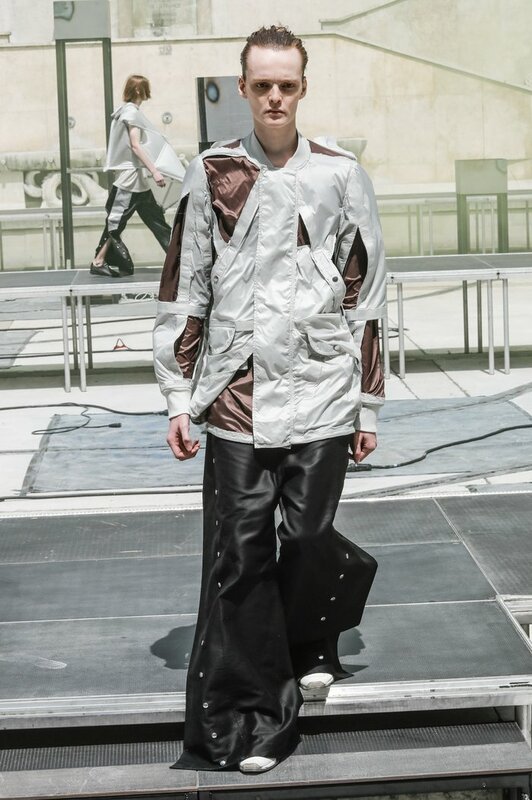 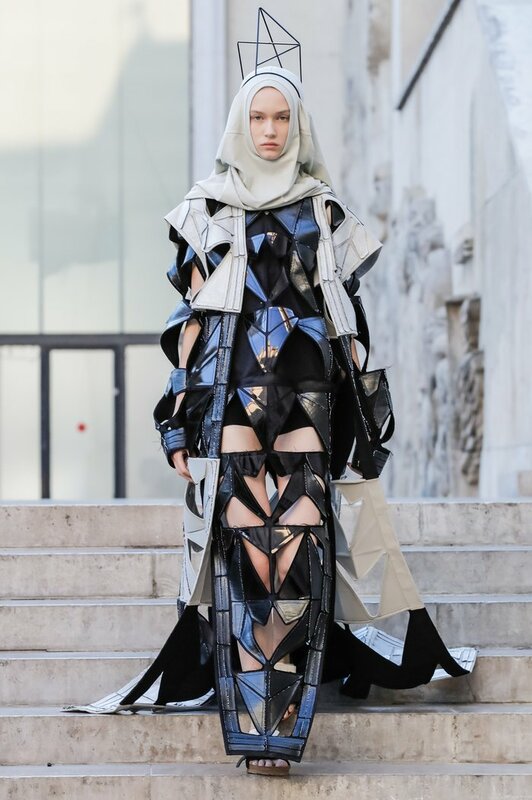 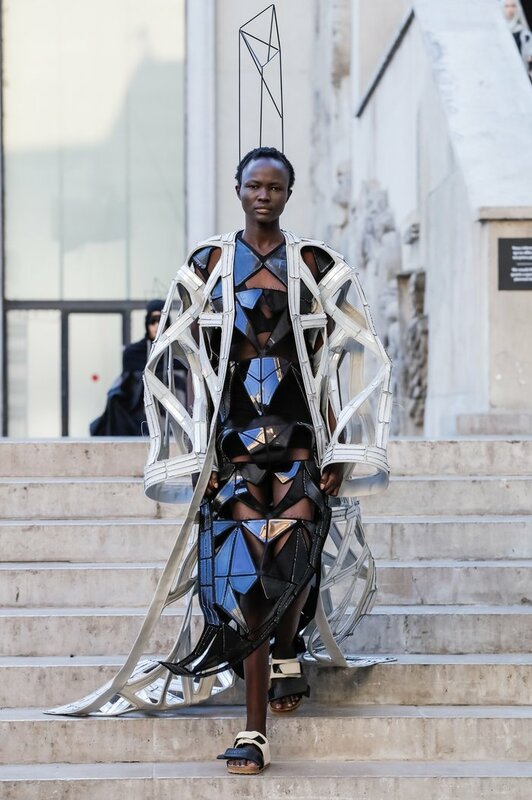 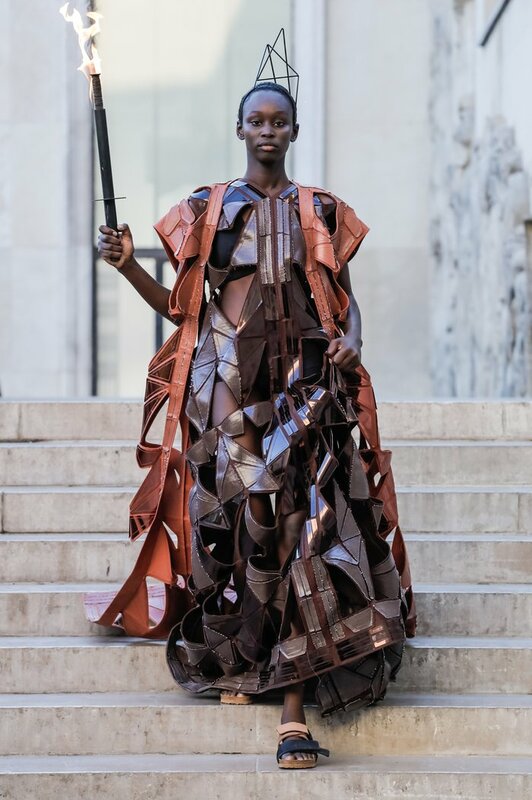 As for the silhouettes, they are built in layerings, with lots of leather and metal elements. 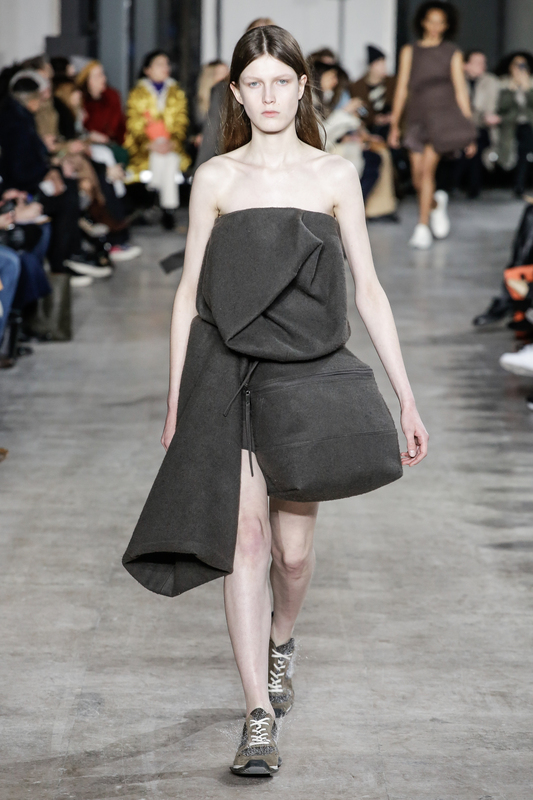 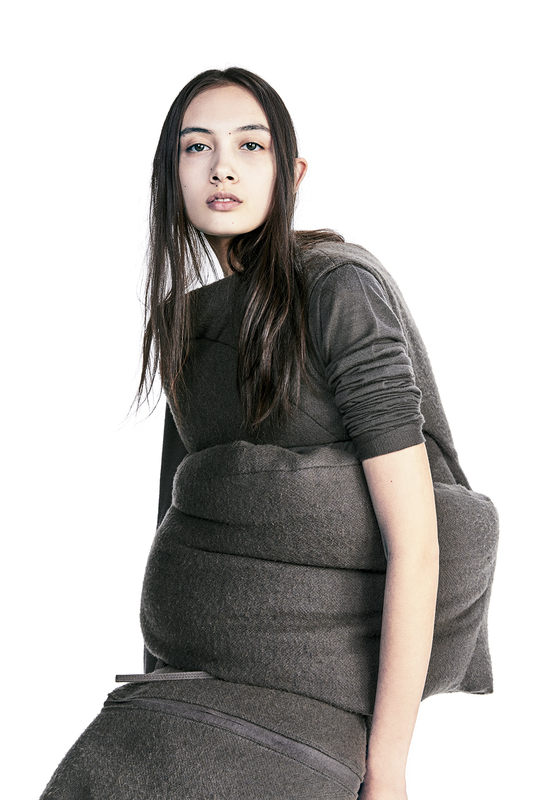 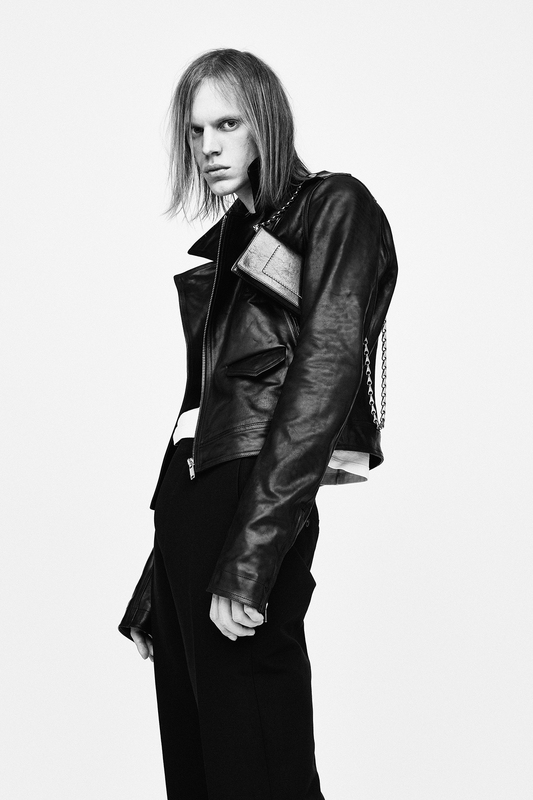 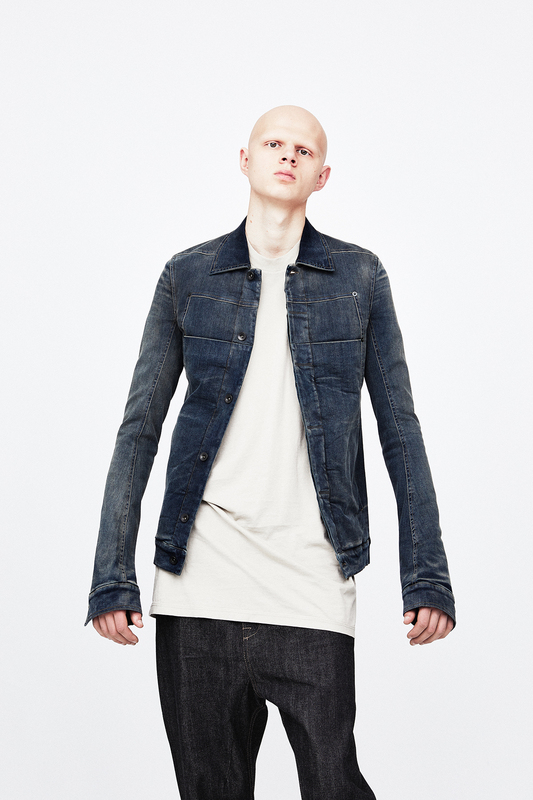 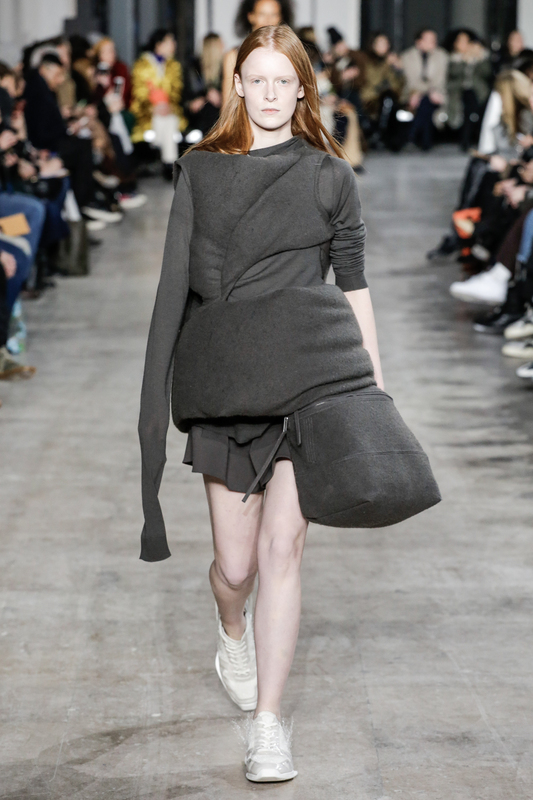 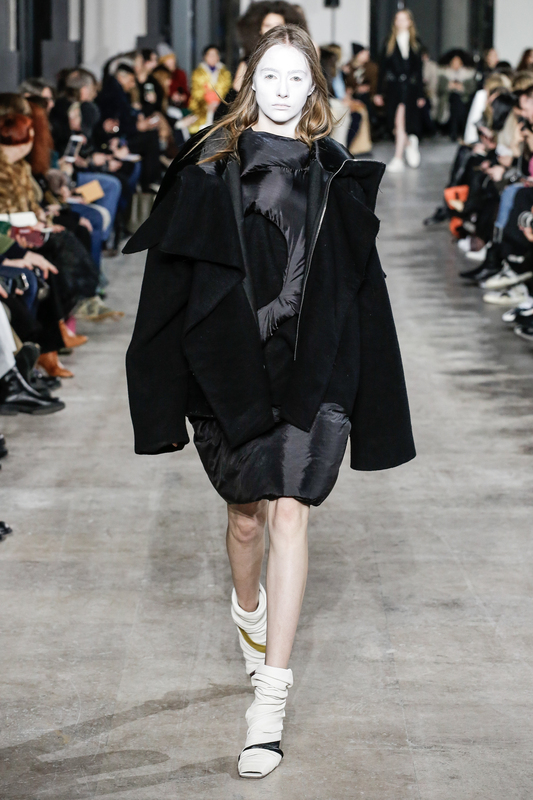 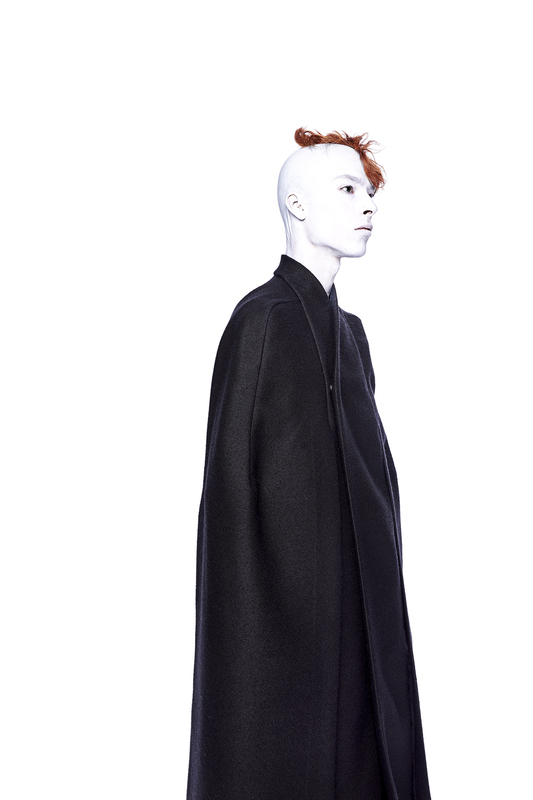 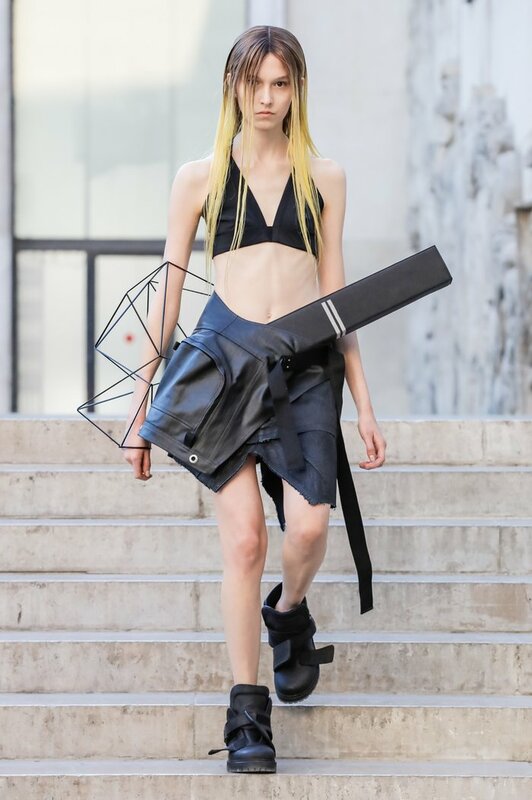 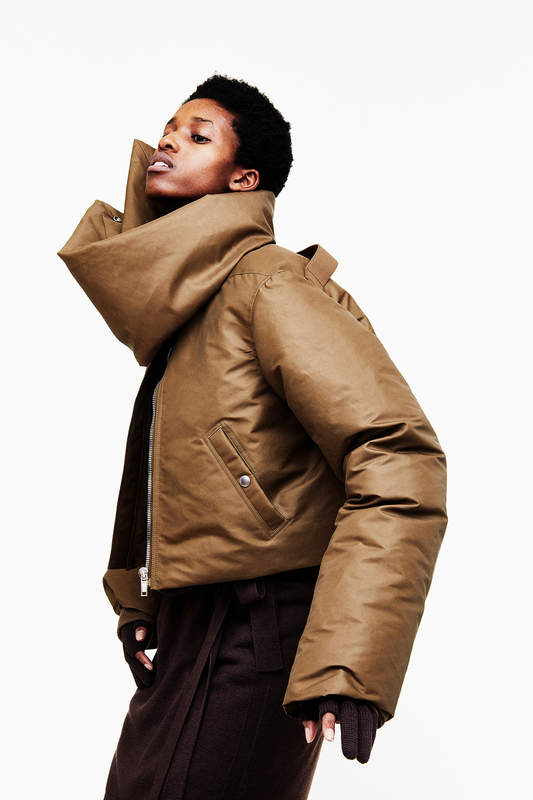 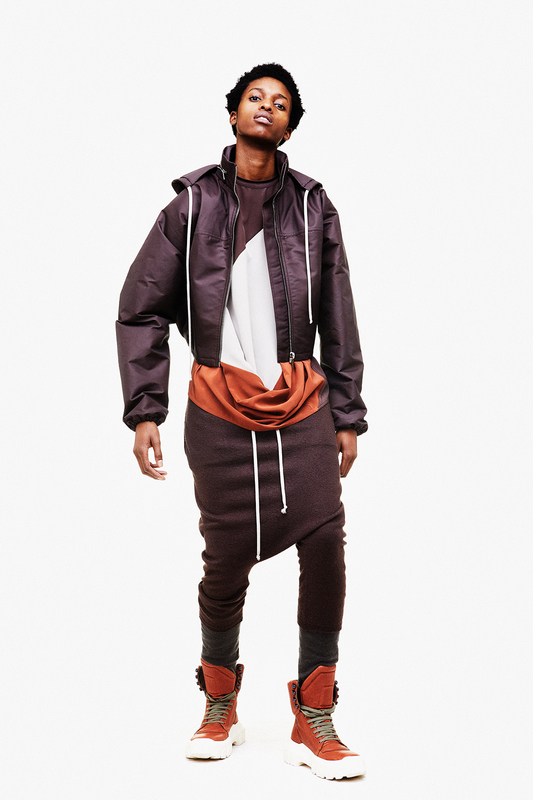 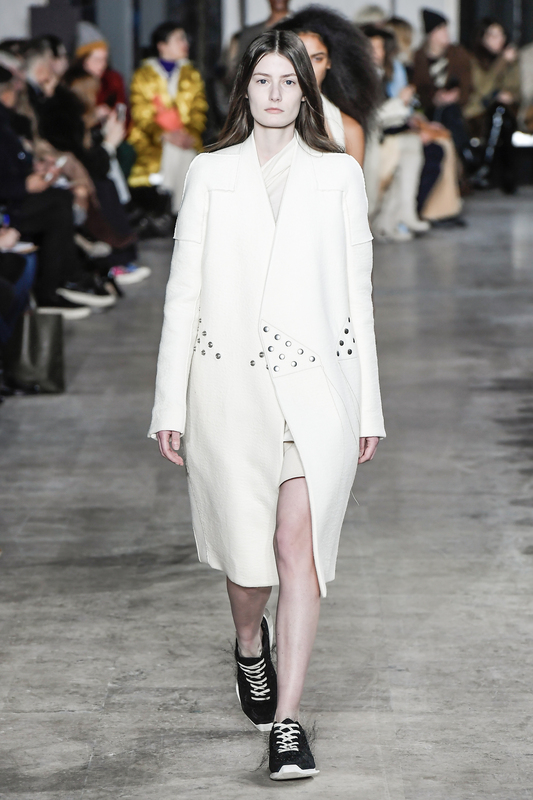 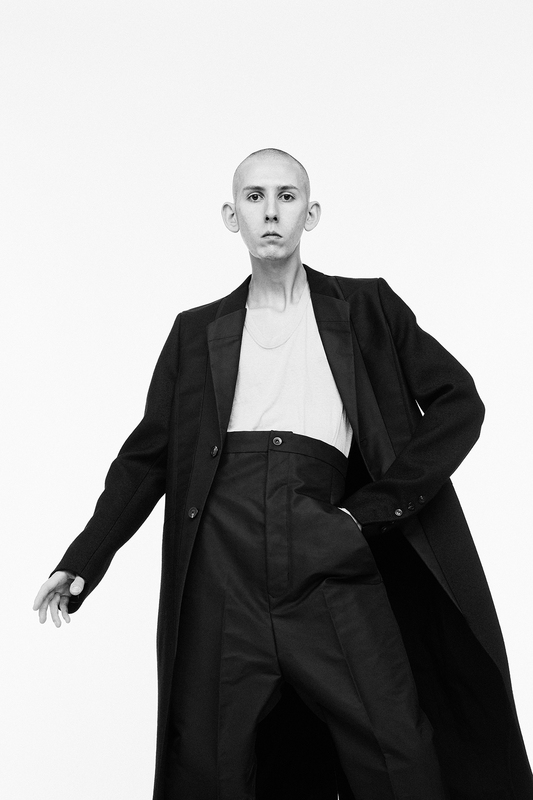 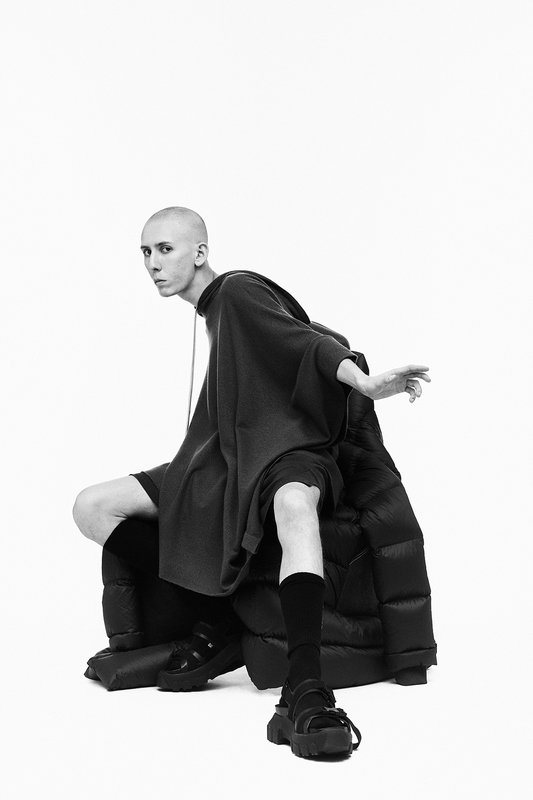 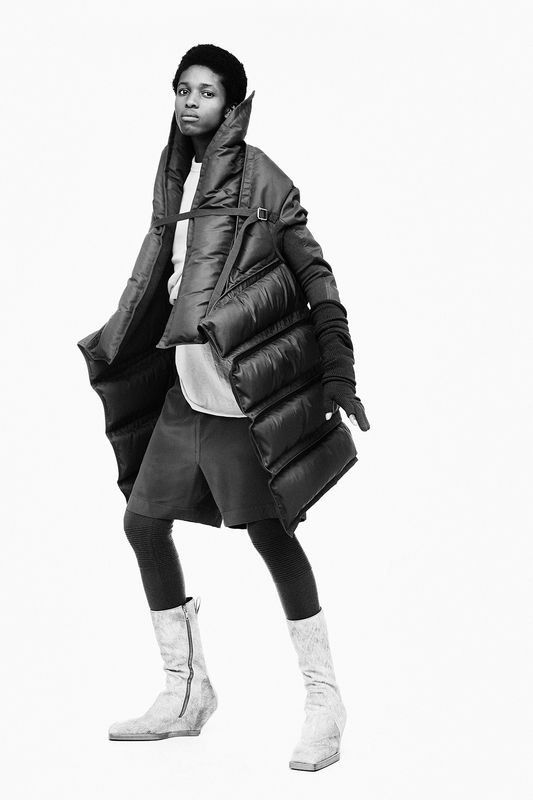 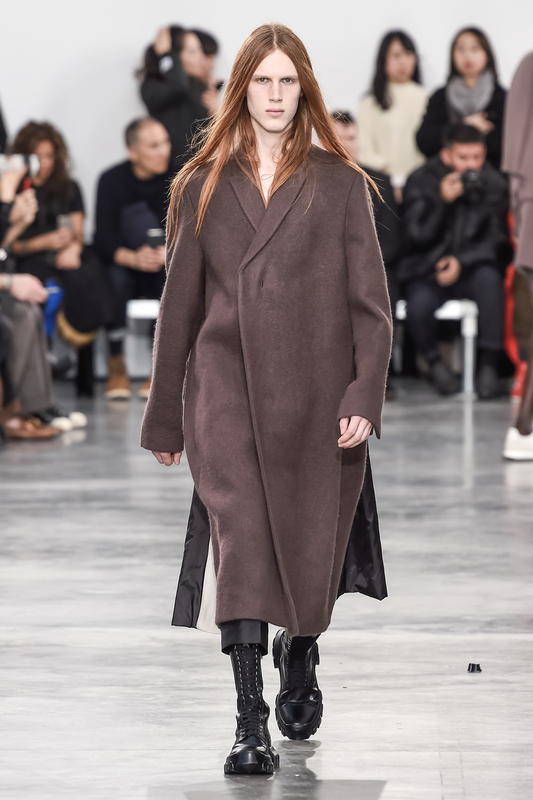 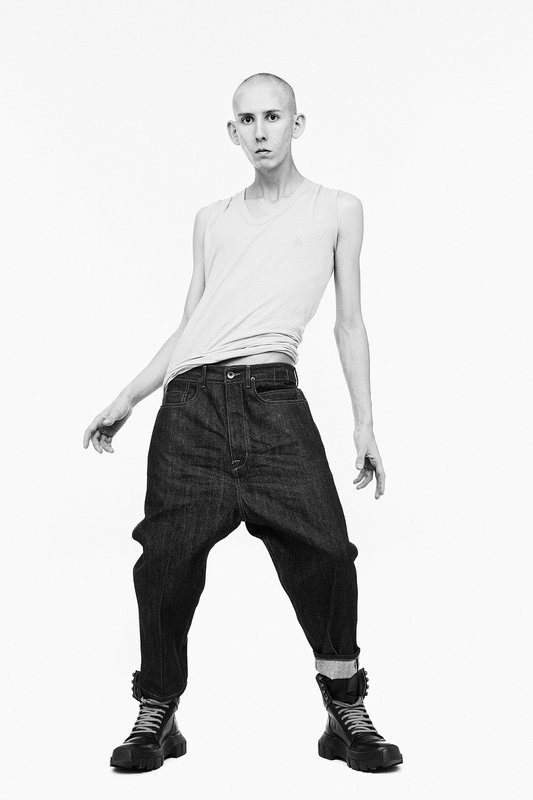 Rick Owens himself describes his style as “a luxury for those who do not need it.” Despite the almost complete lack of advertising, the brand Rick Owens is always in the top of sales. 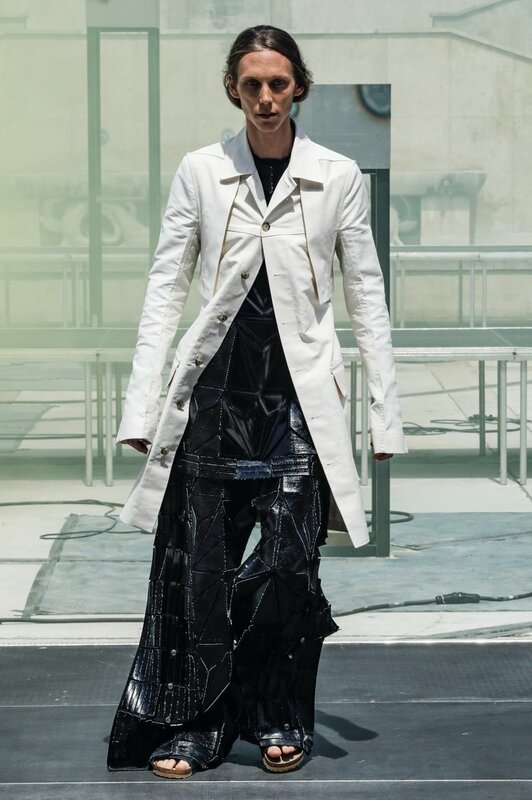 Designer’s shows, now legendary, surprise and sometimes shock observers, who, nevertheless, recognize the depth of his creative and philosophical research. 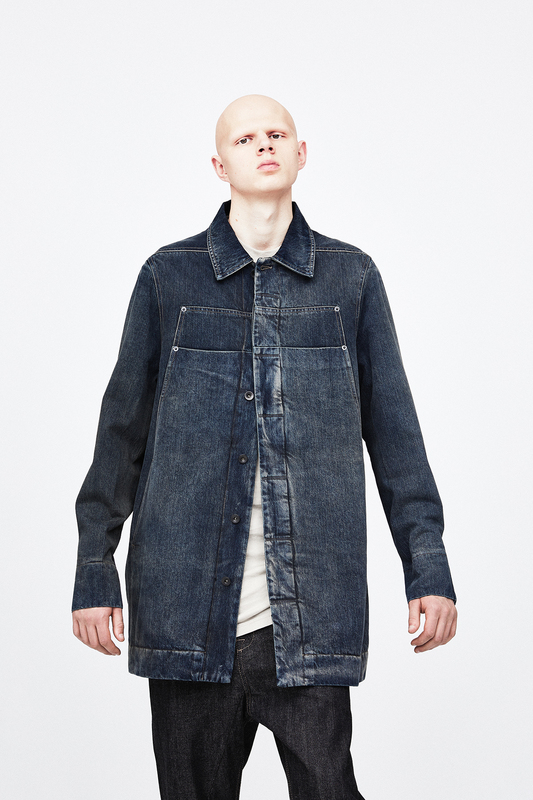 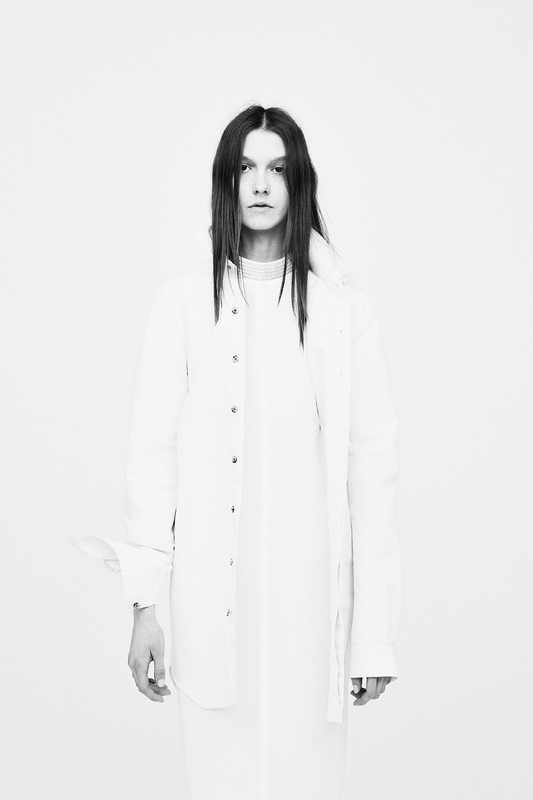 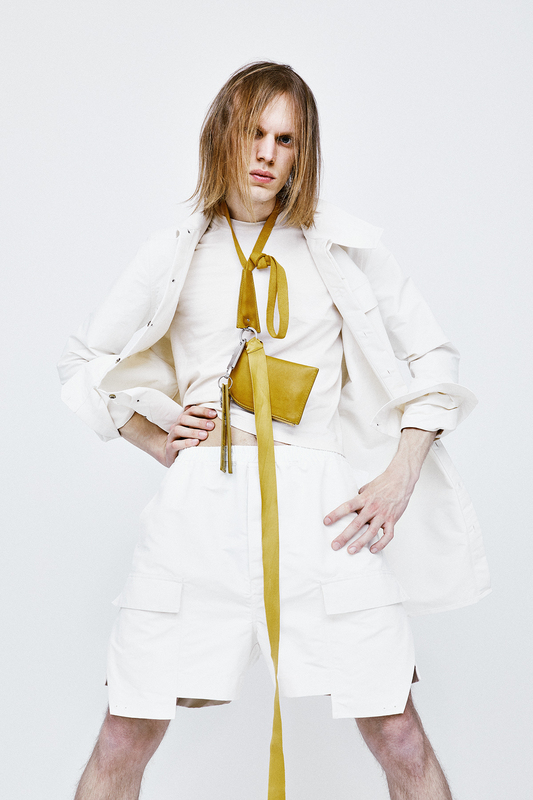 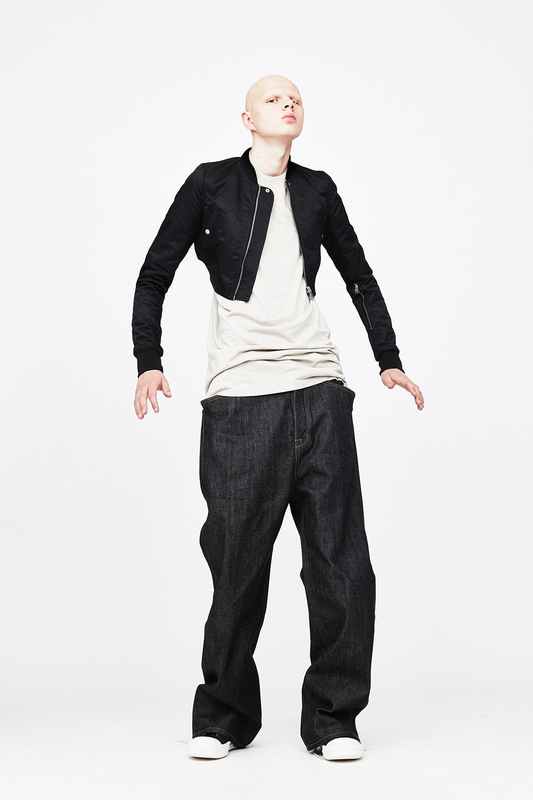 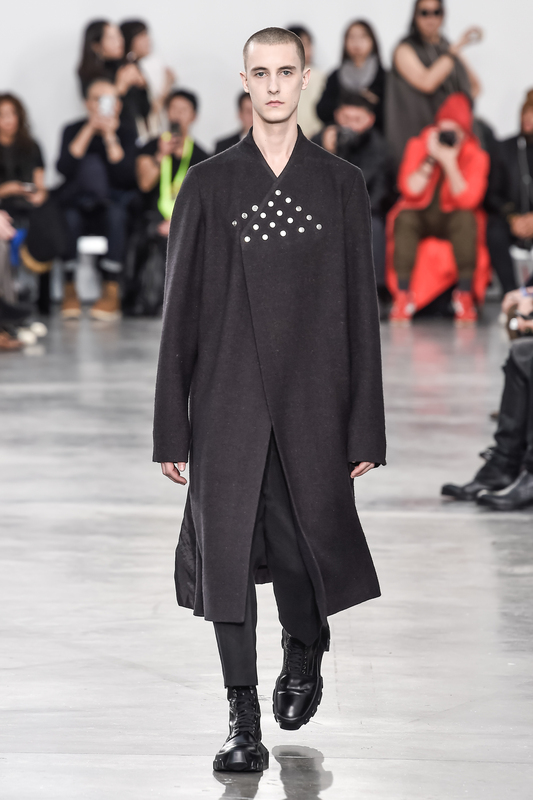 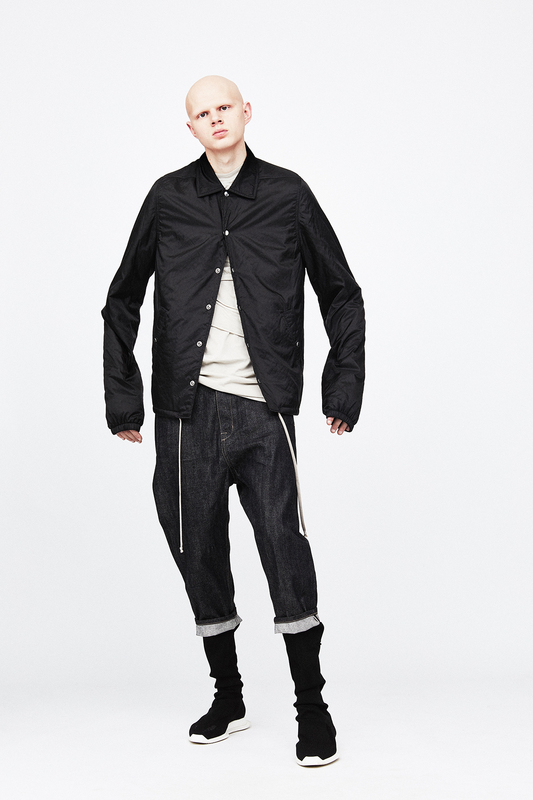 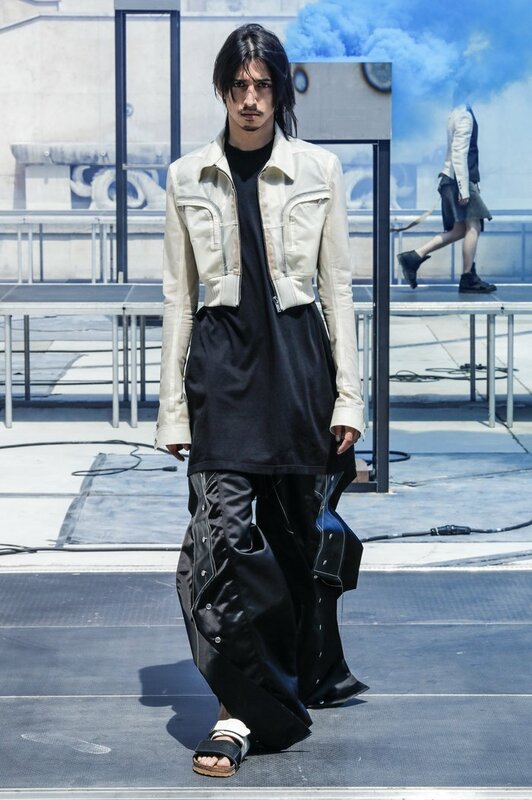 The brand produces three lines of clothing for women and men – Rick Owens, Lilies, DRKSHDW – as well as shoes and accessories. 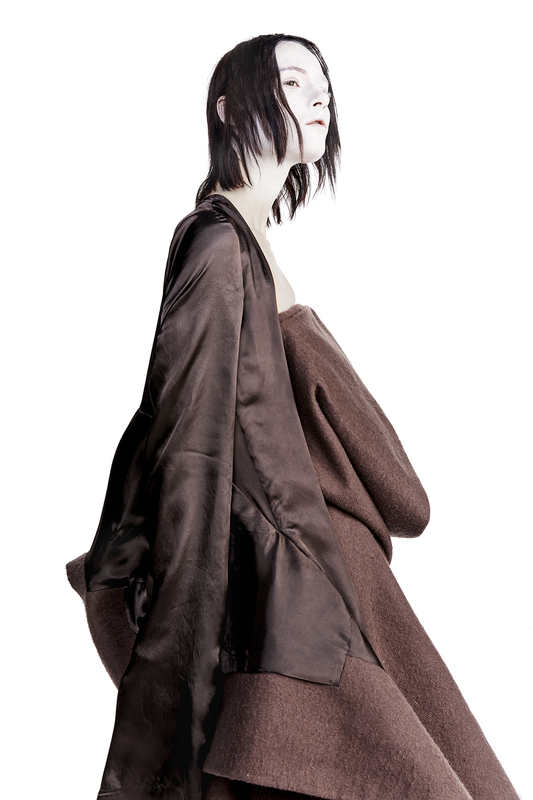 The artist also designs its own furniture collection and furs. 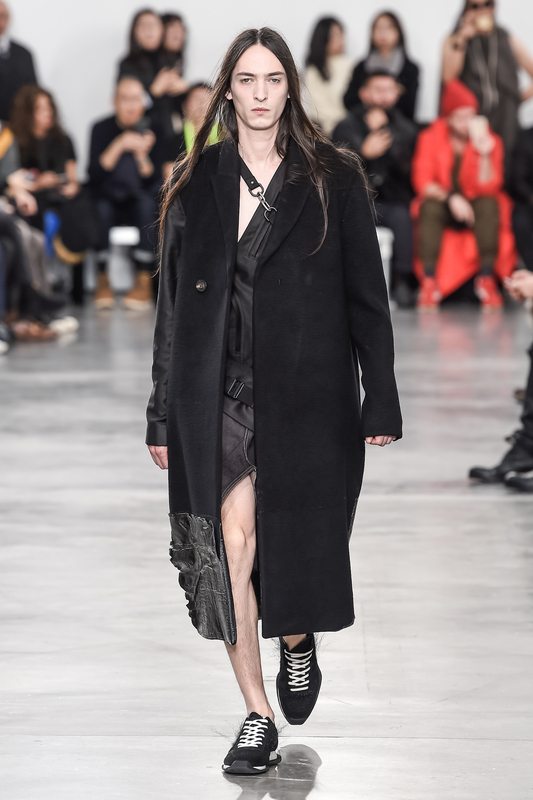 Among the admirers of the brand: Kate Moss, Courtney Love, Madonna, Rihanna, Jared Leto, Jude Law, Orlando Bloom, Kanye West and other celebrities. 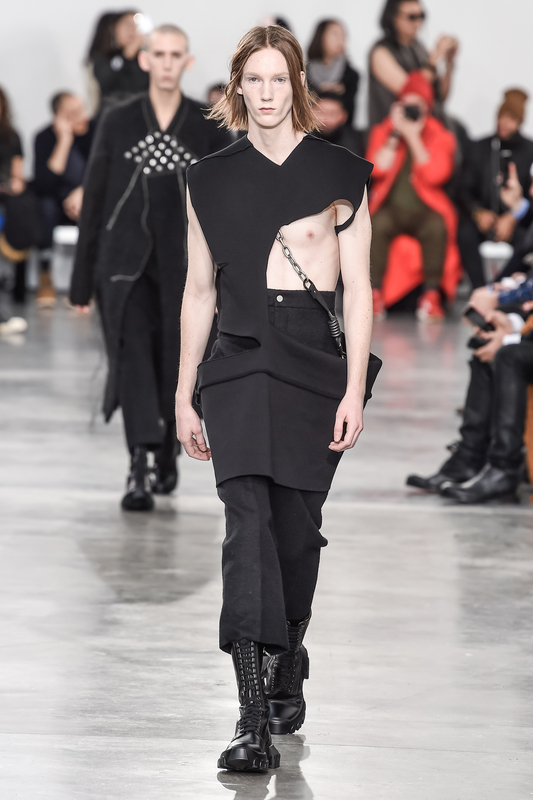 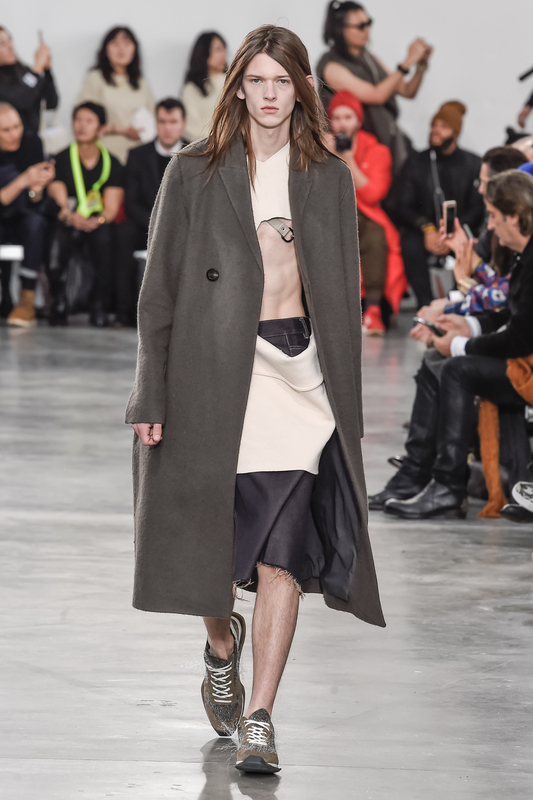 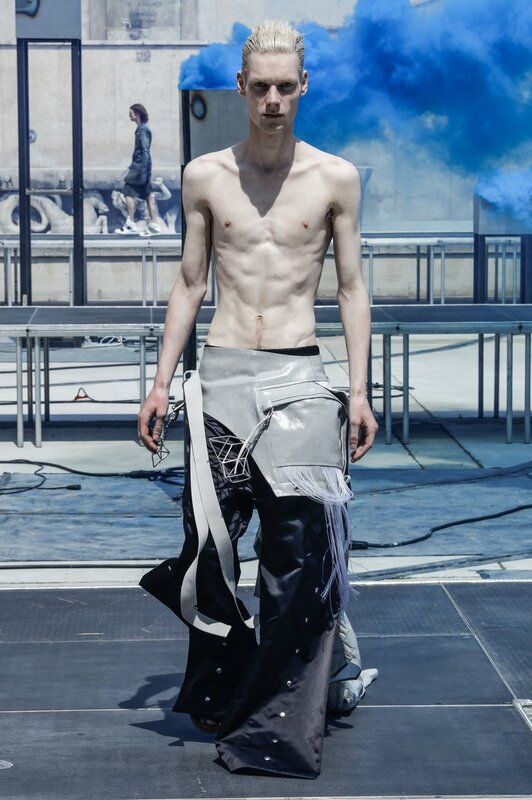 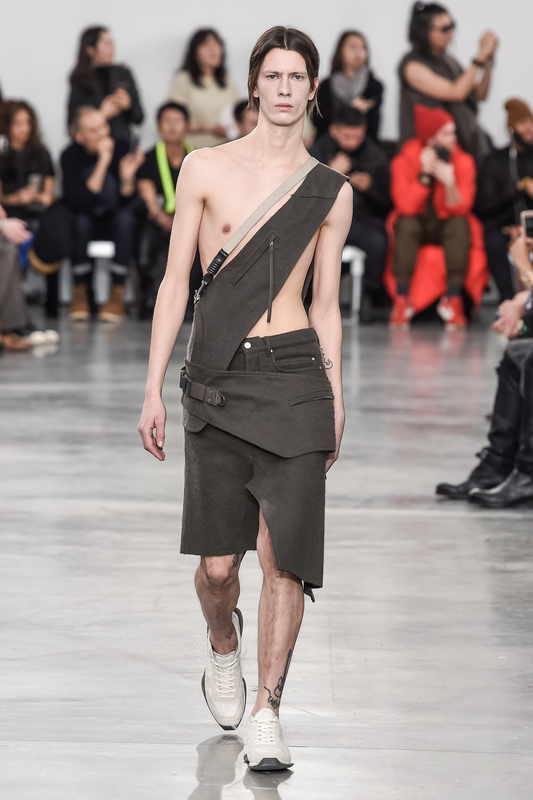 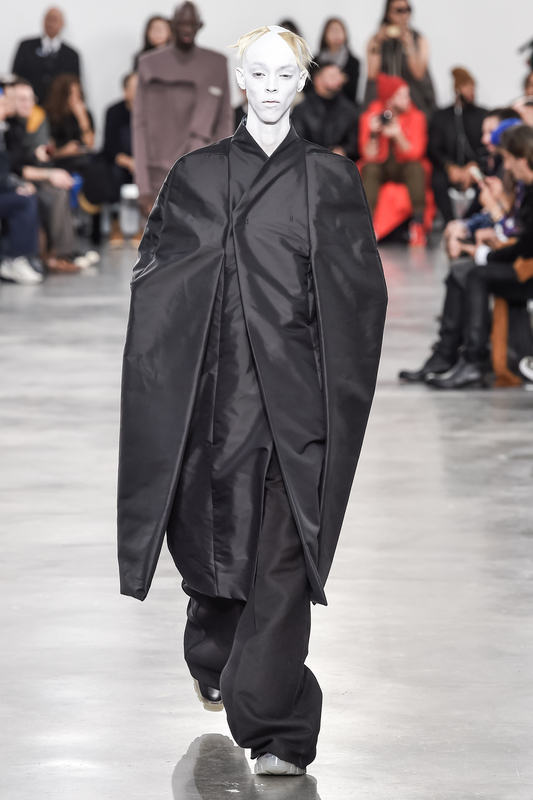 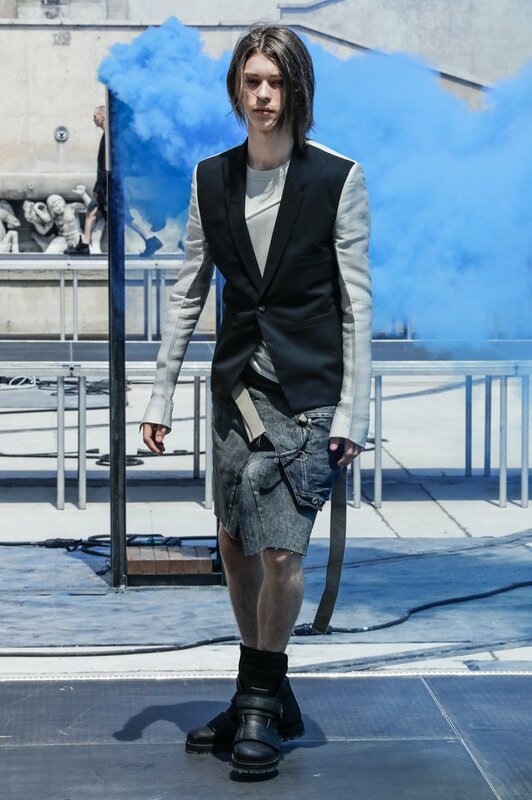 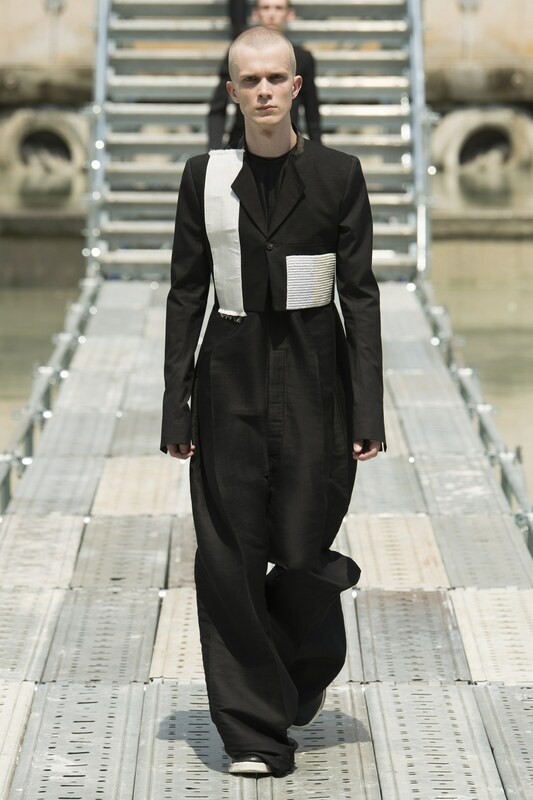 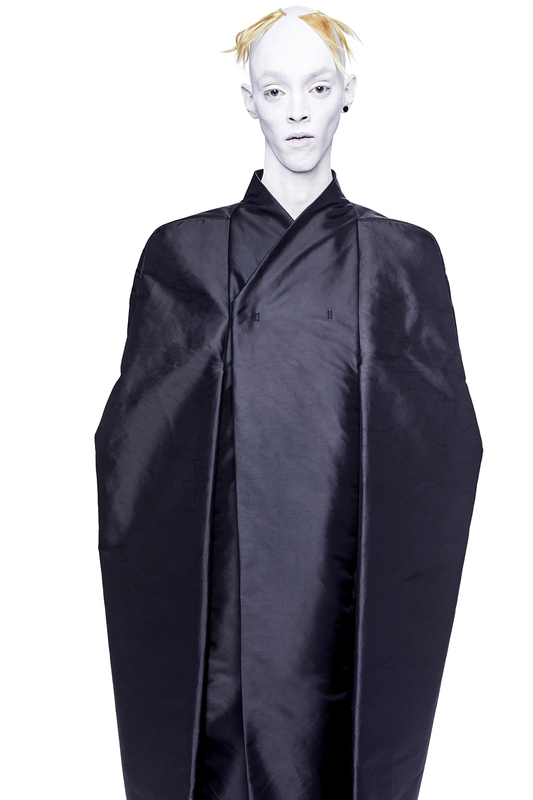 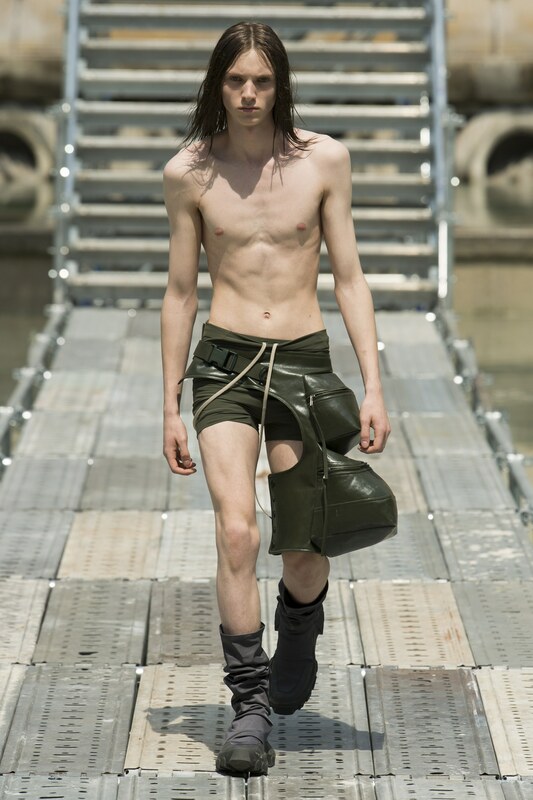 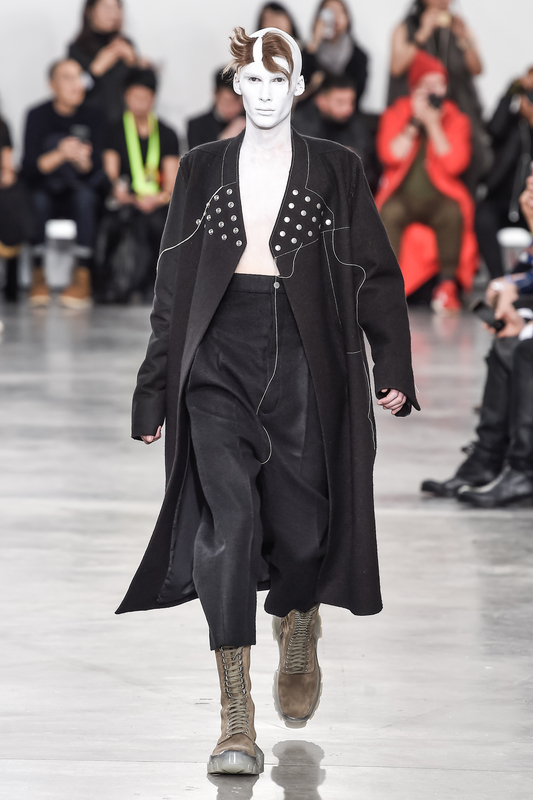 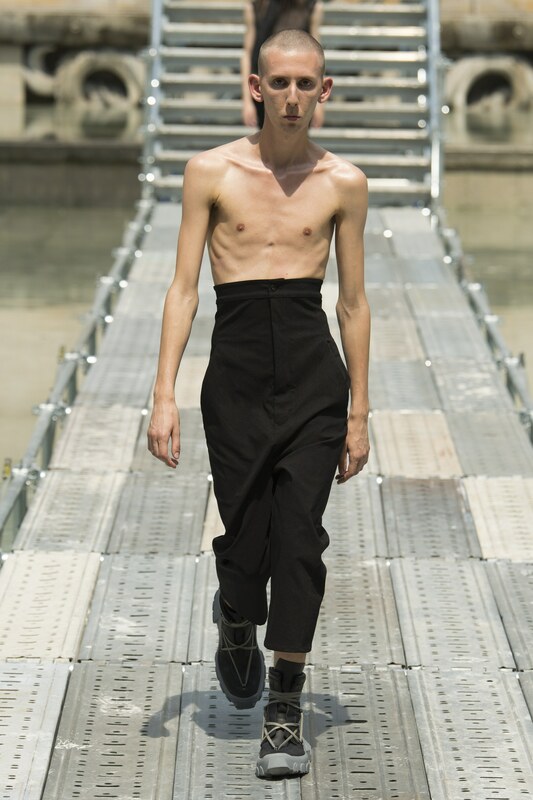 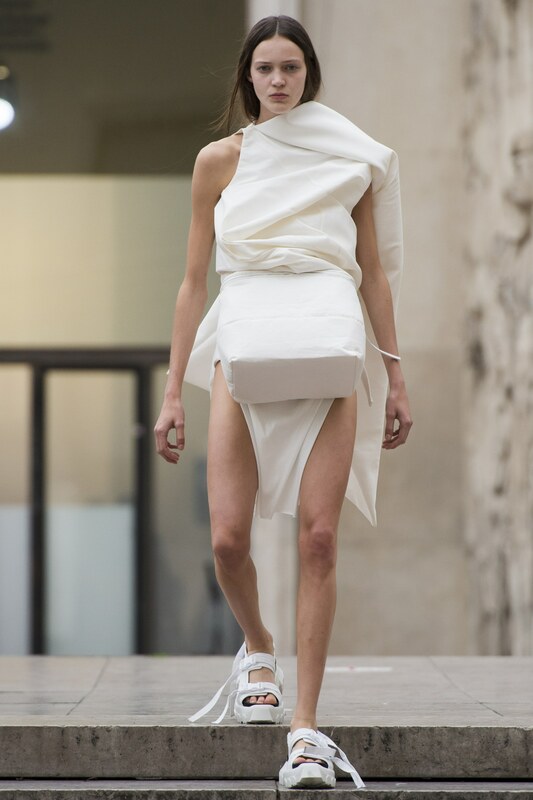 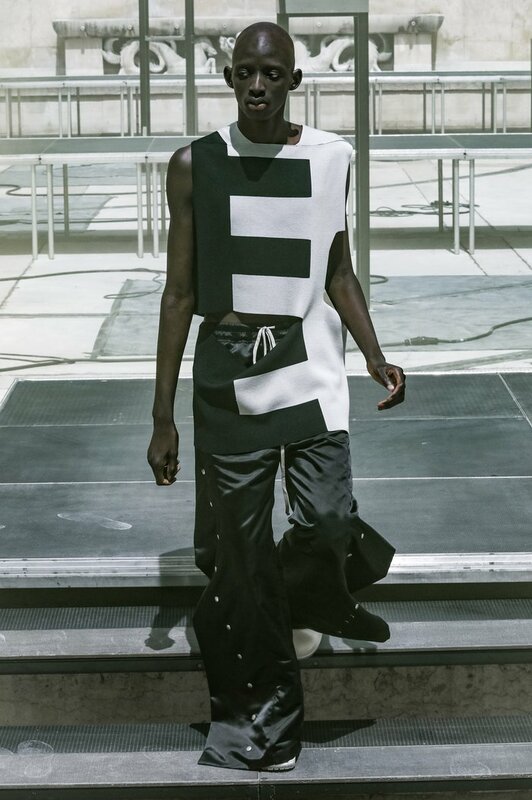 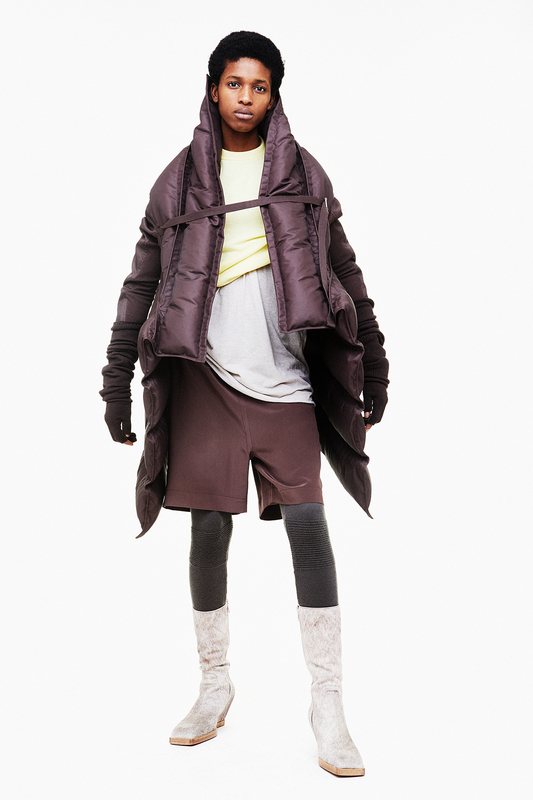 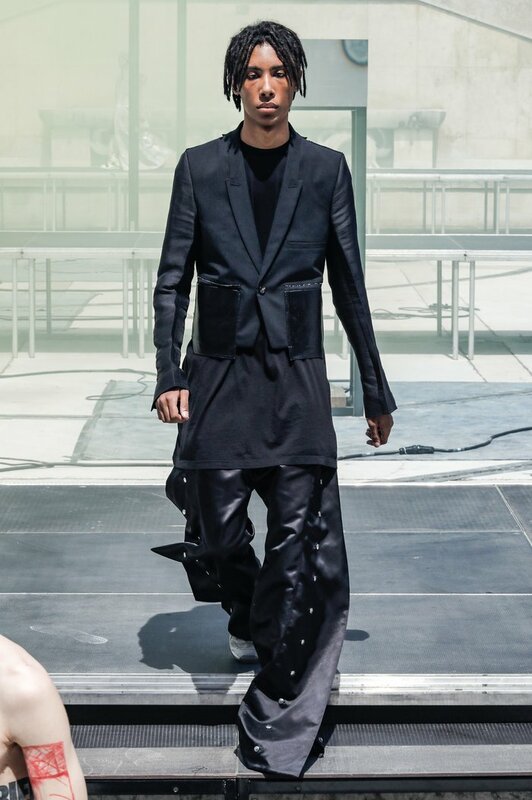 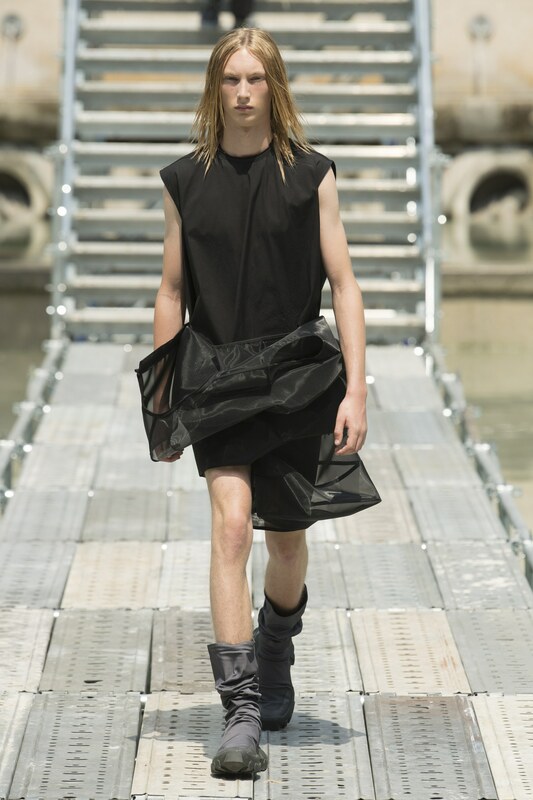 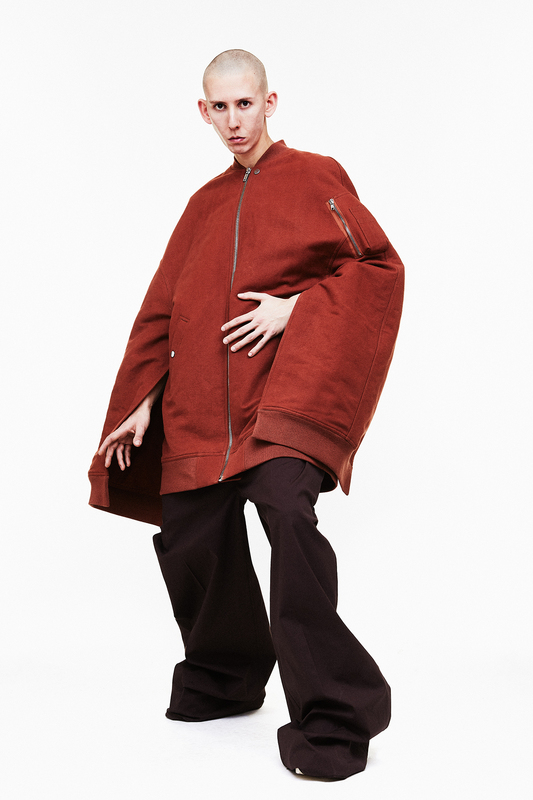 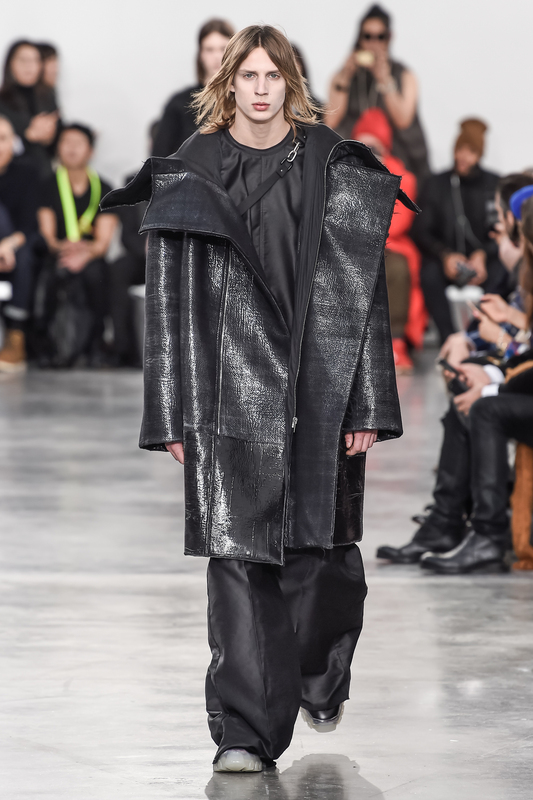 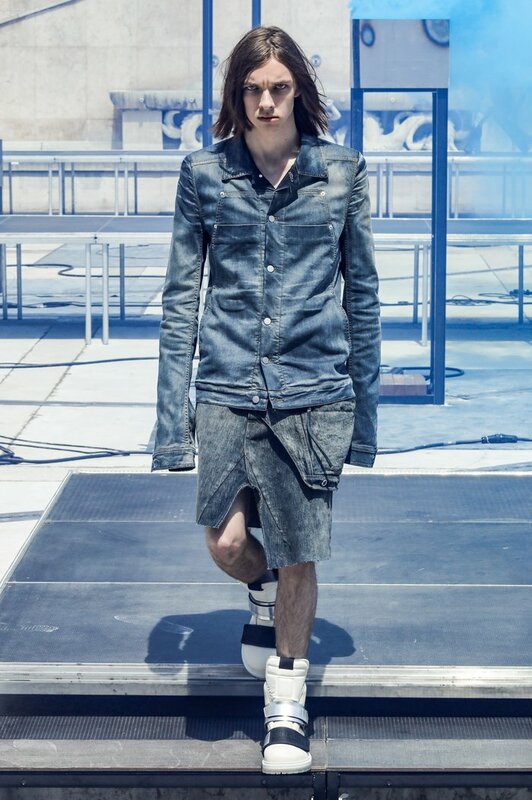 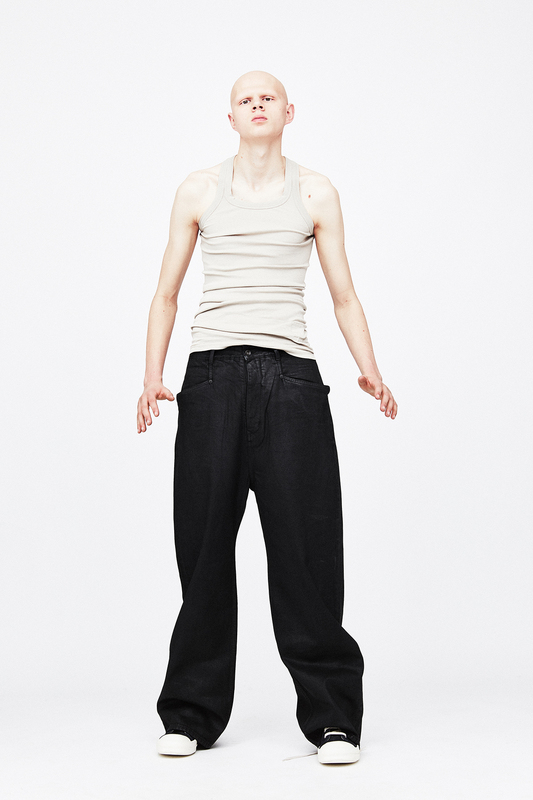 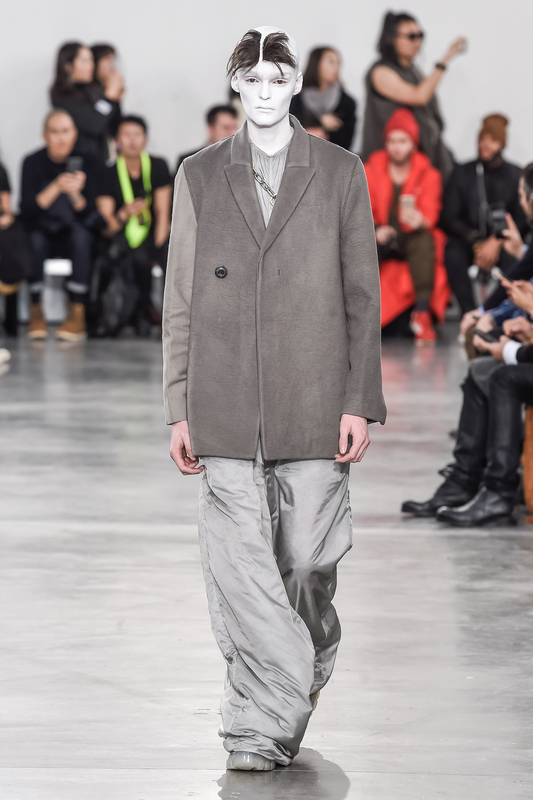 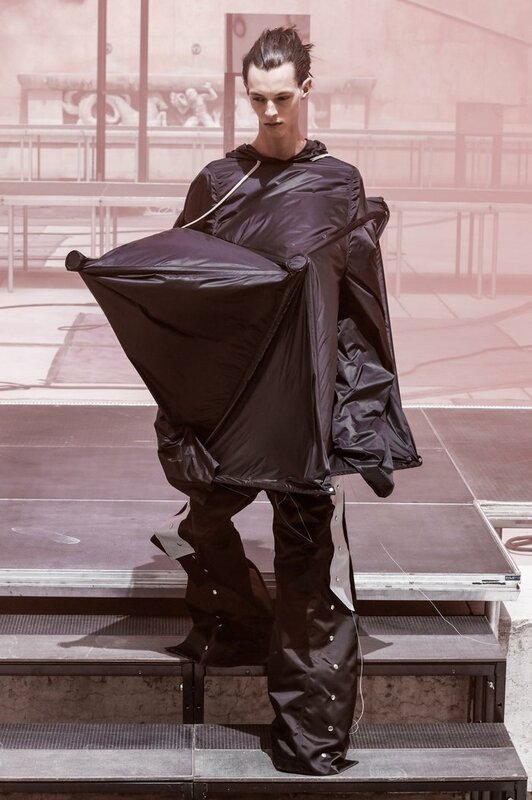 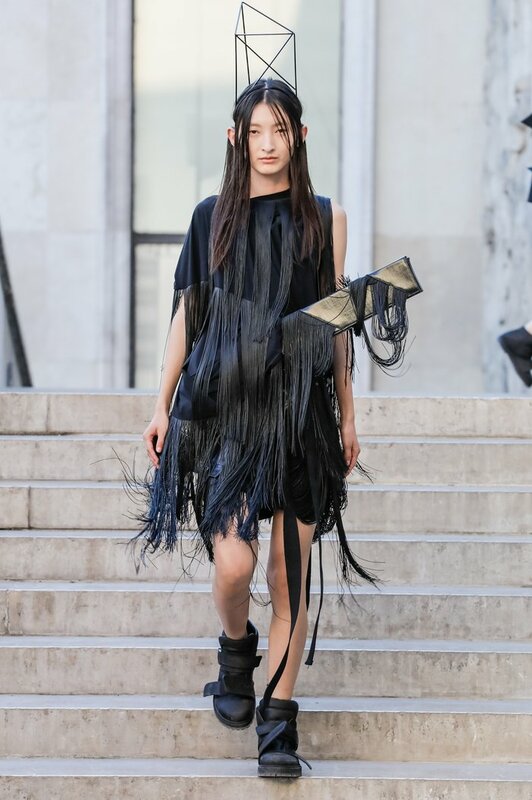 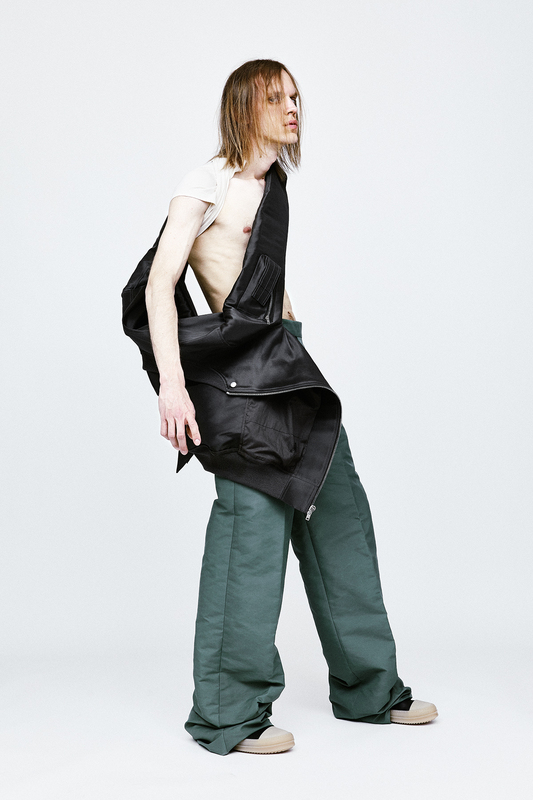 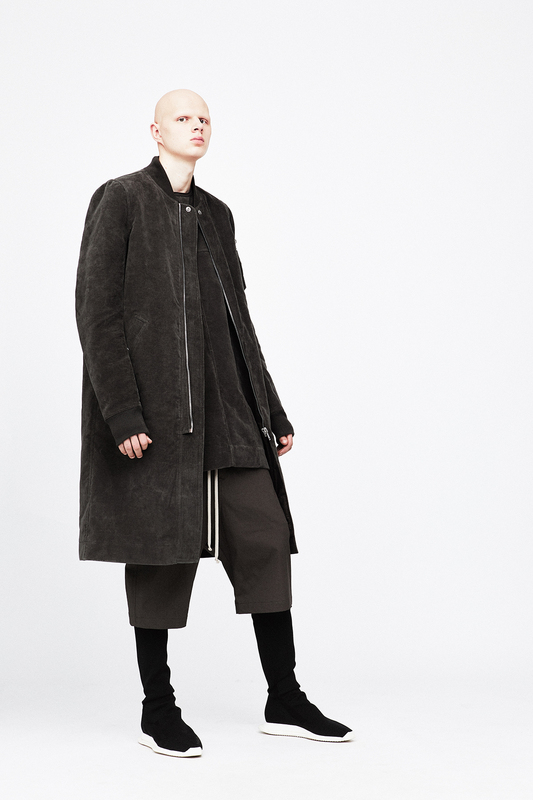 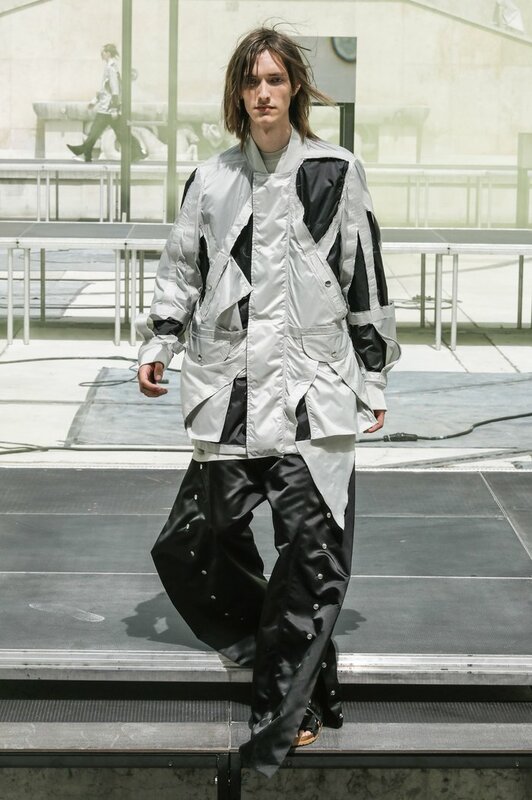 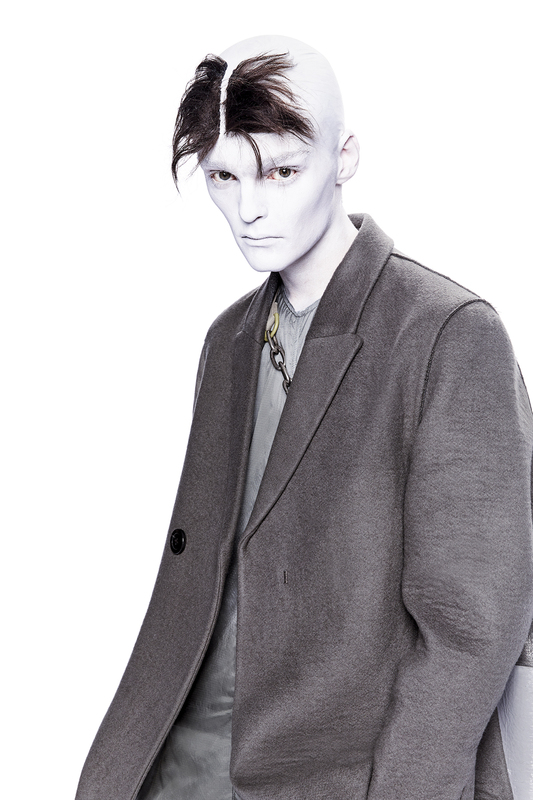 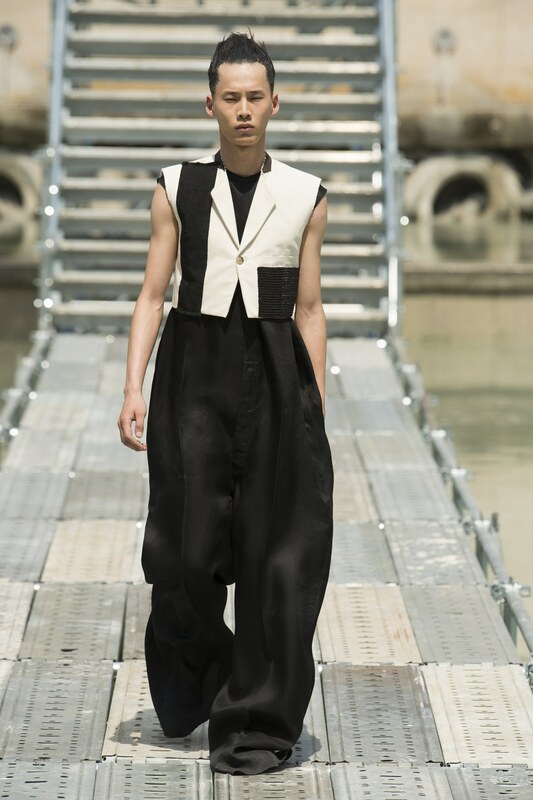 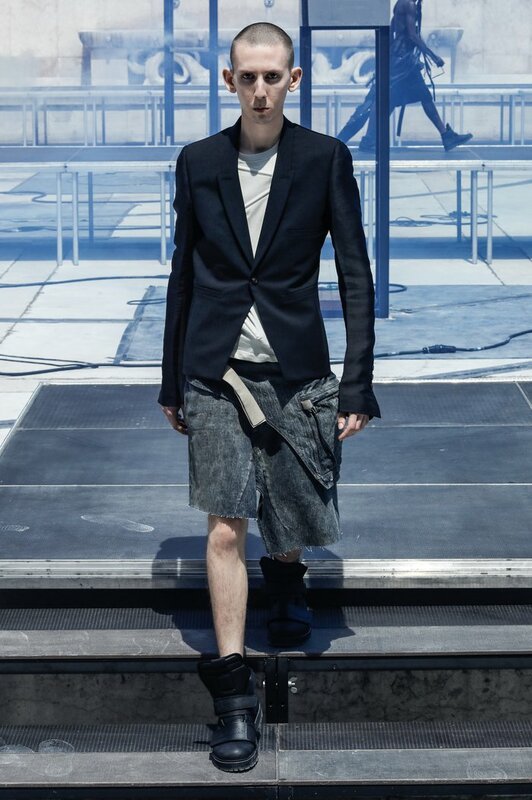 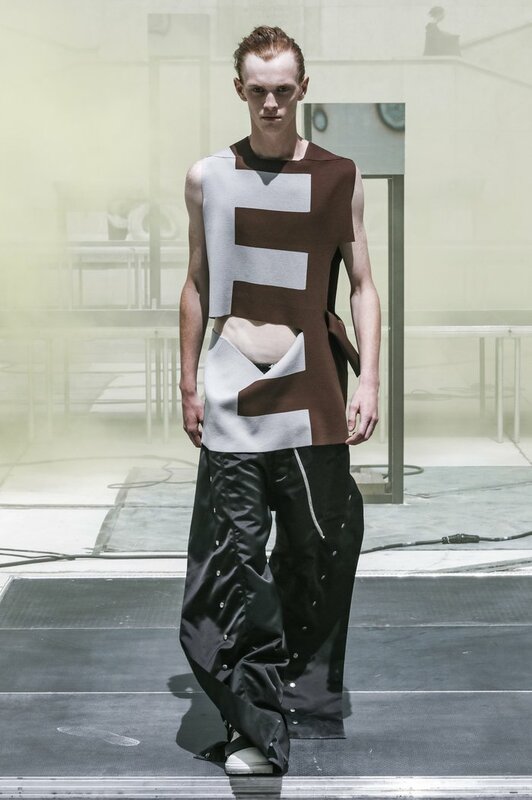 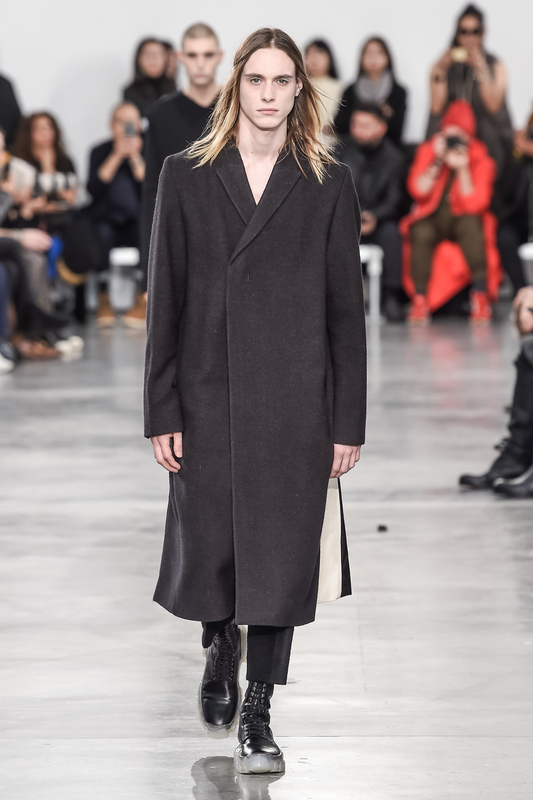 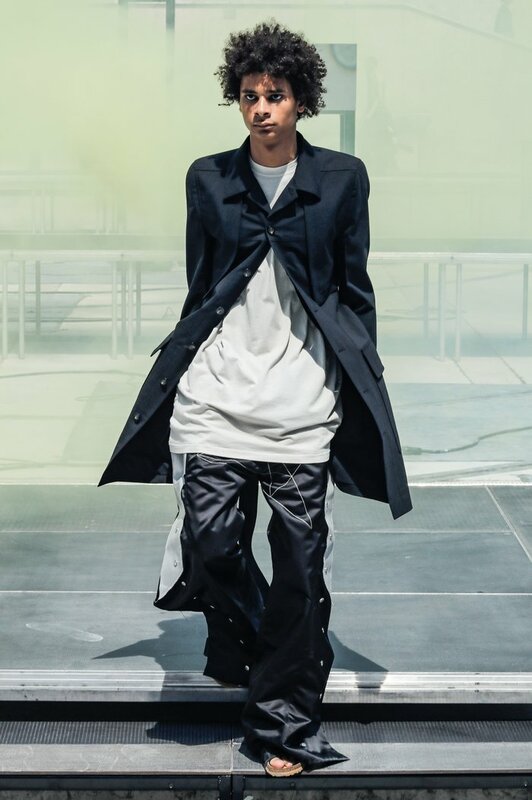 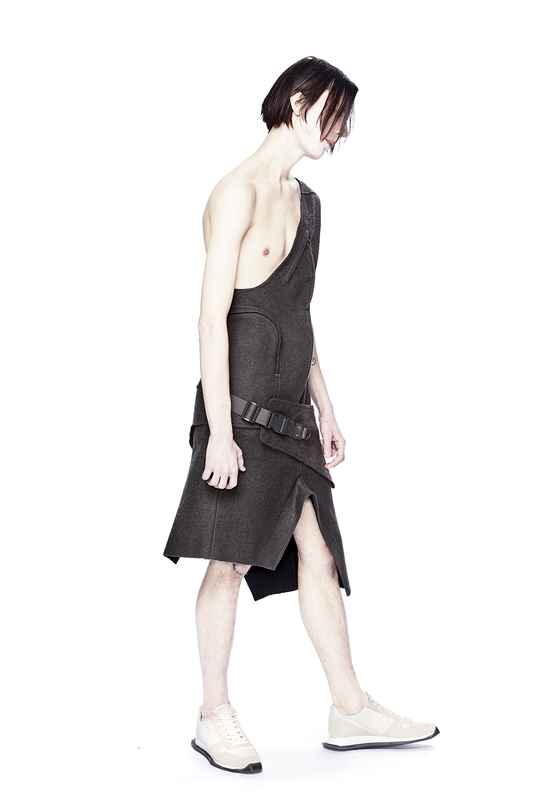 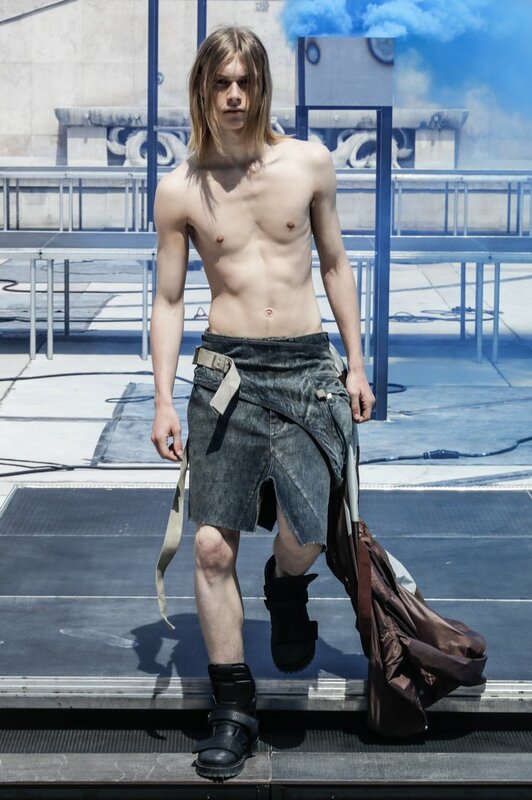 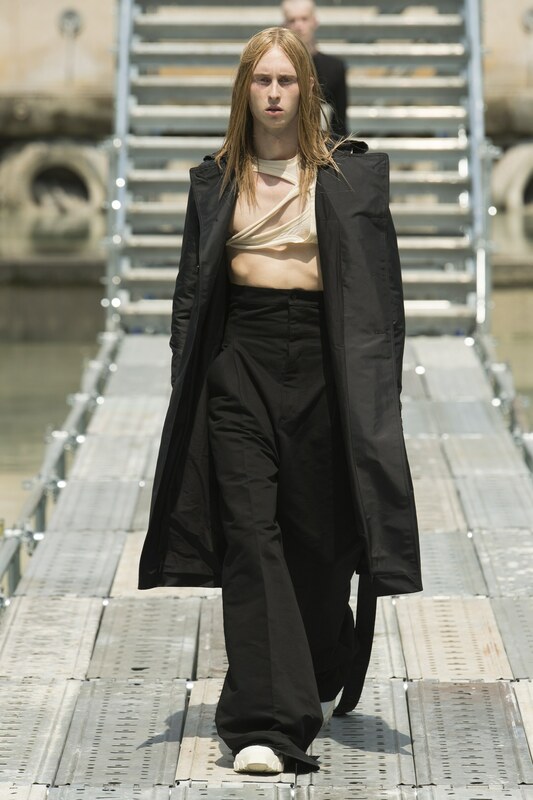 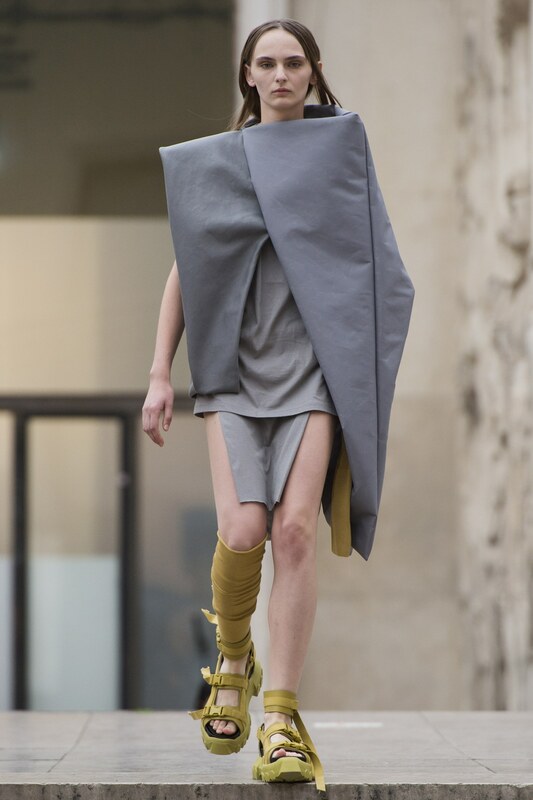 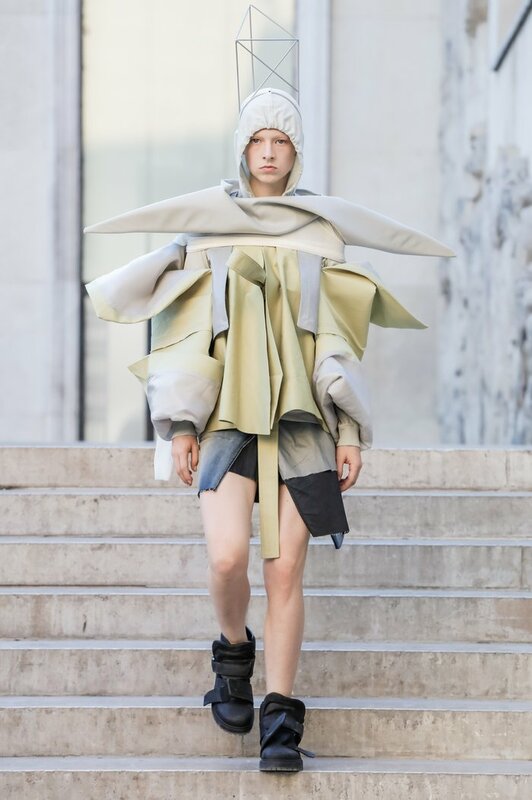 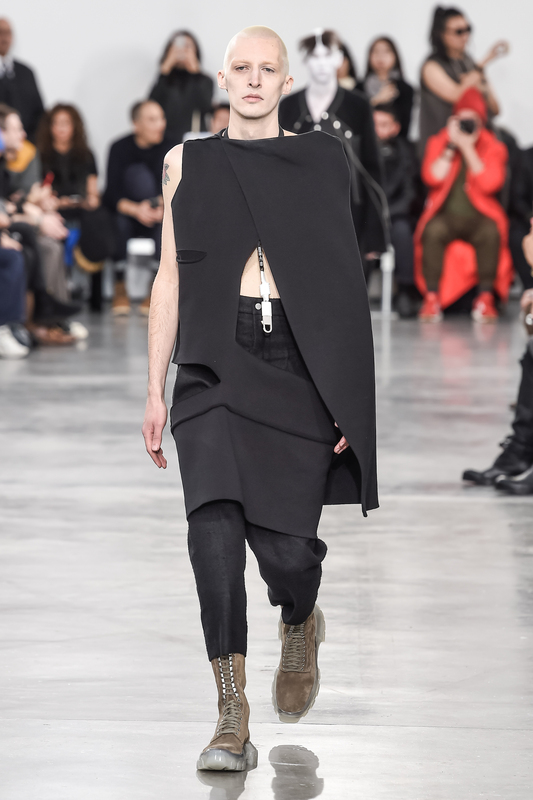 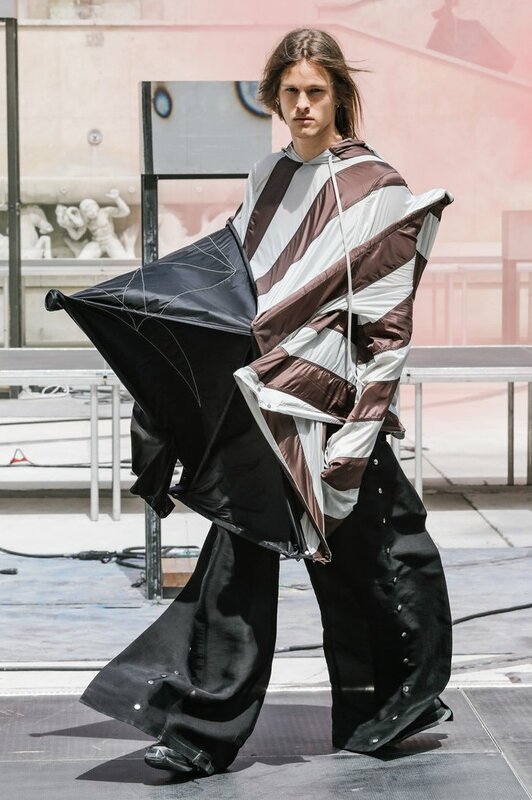 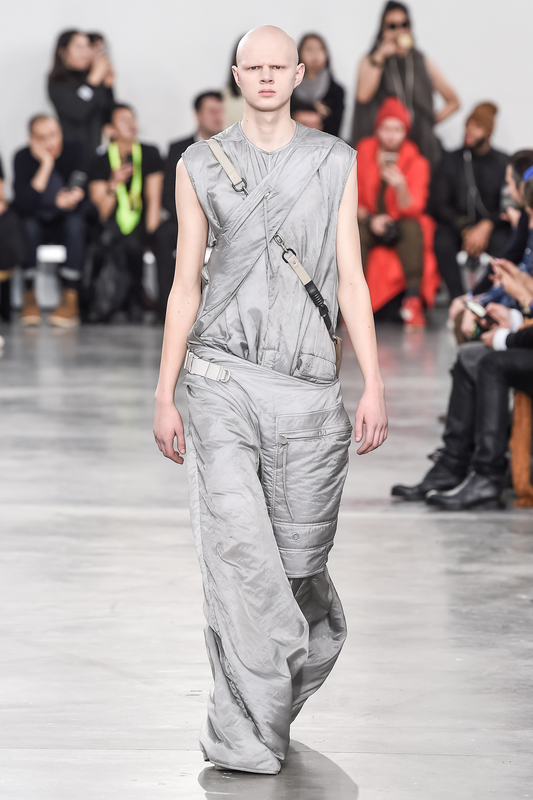 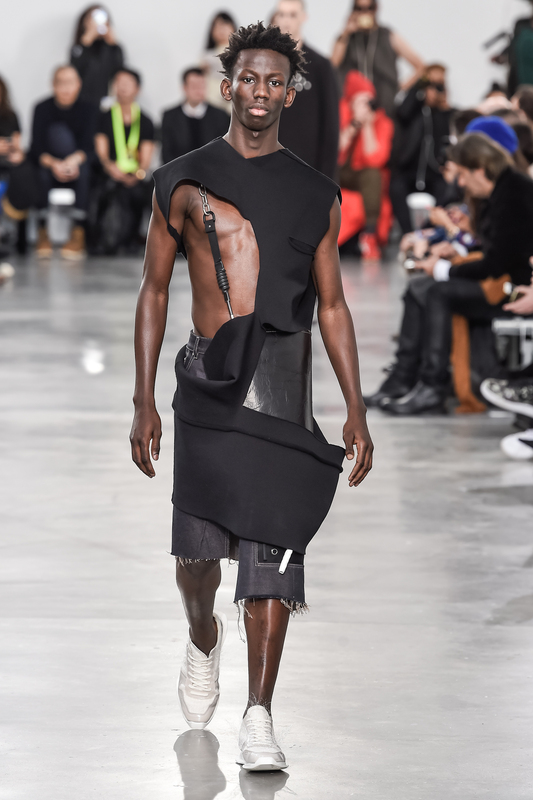 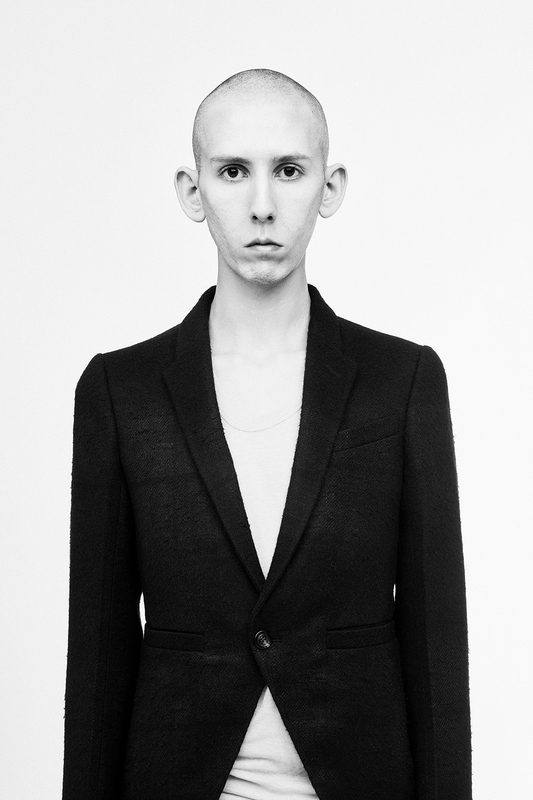 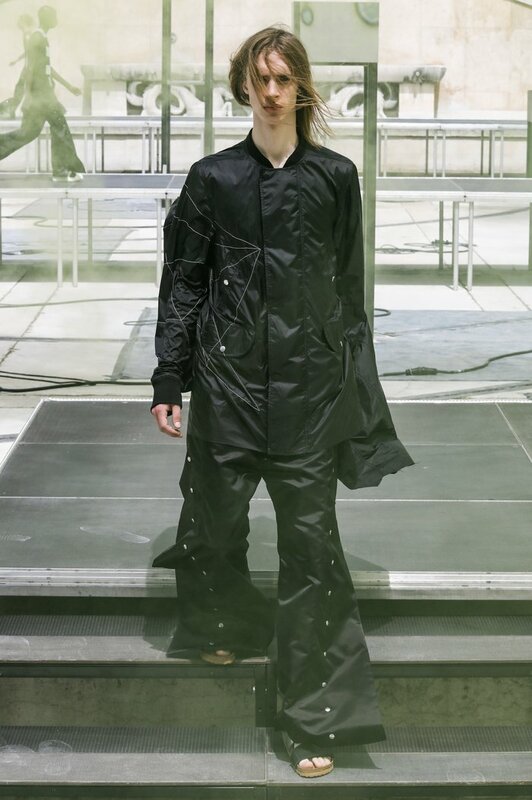 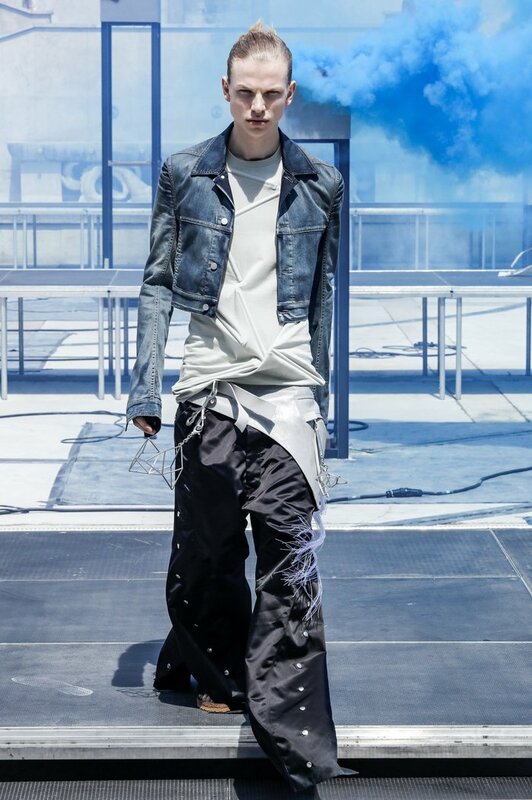 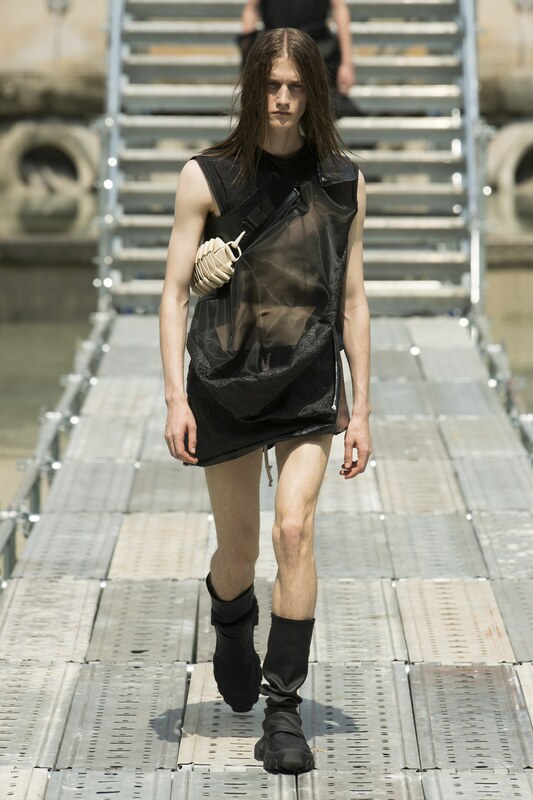 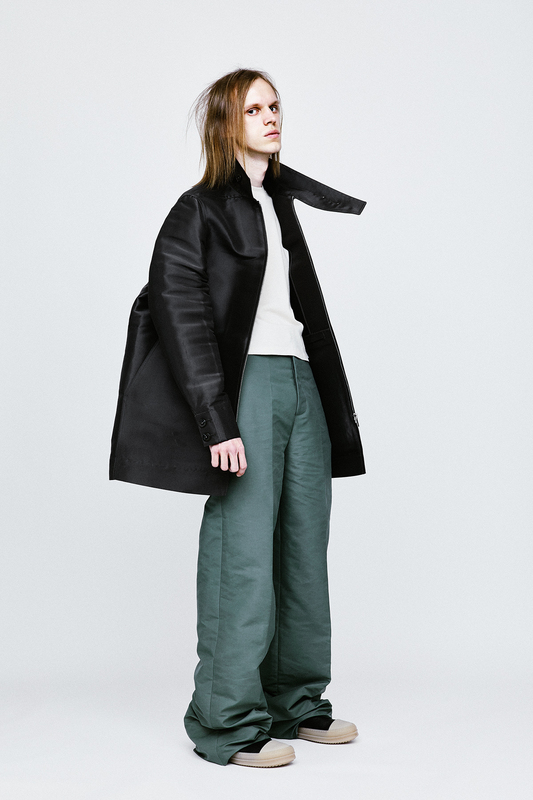 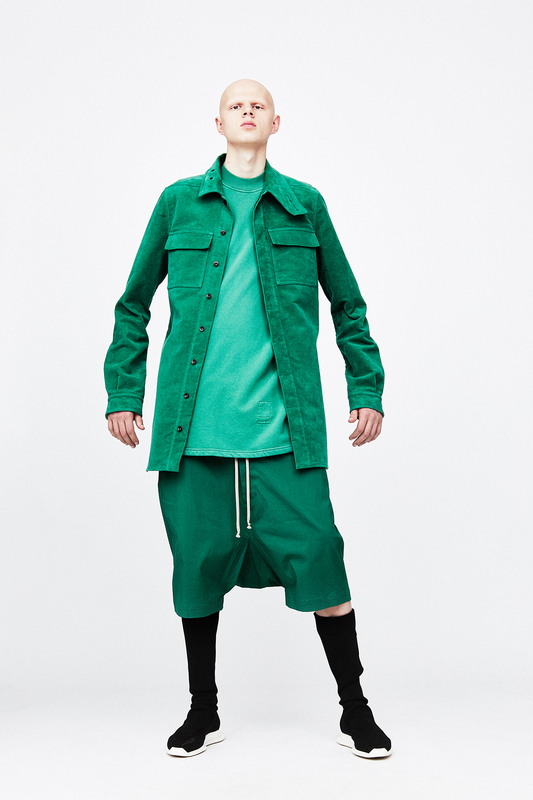 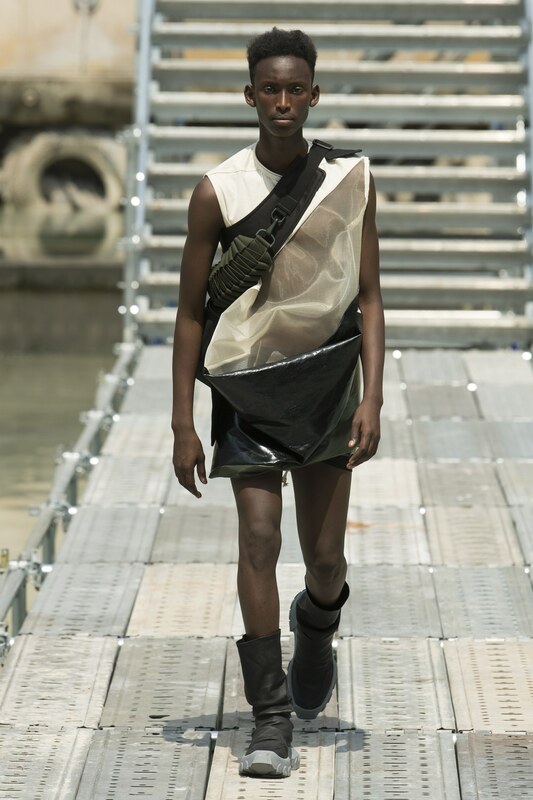 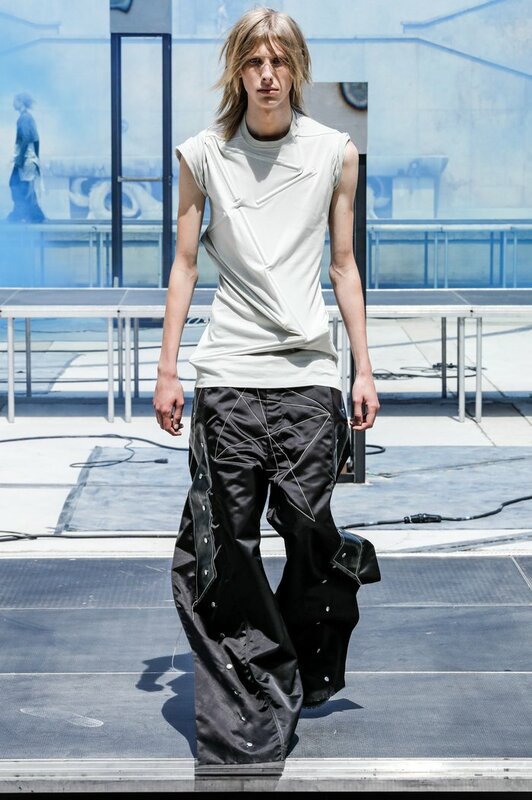 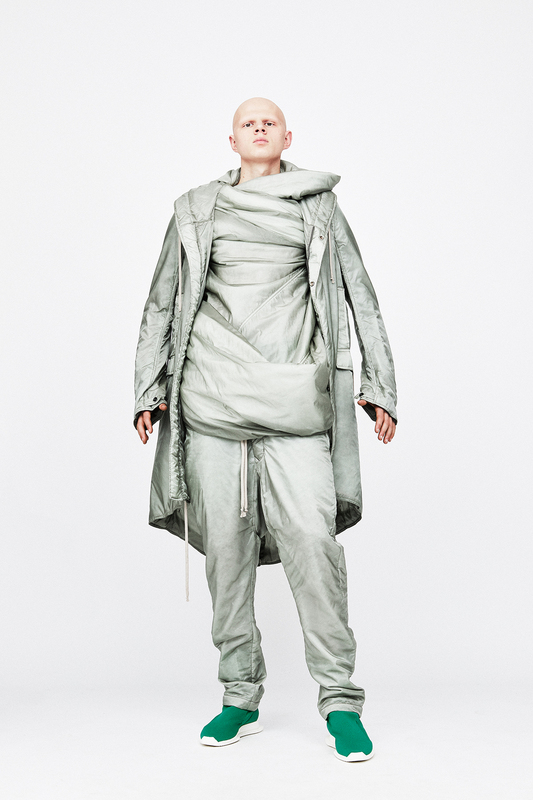 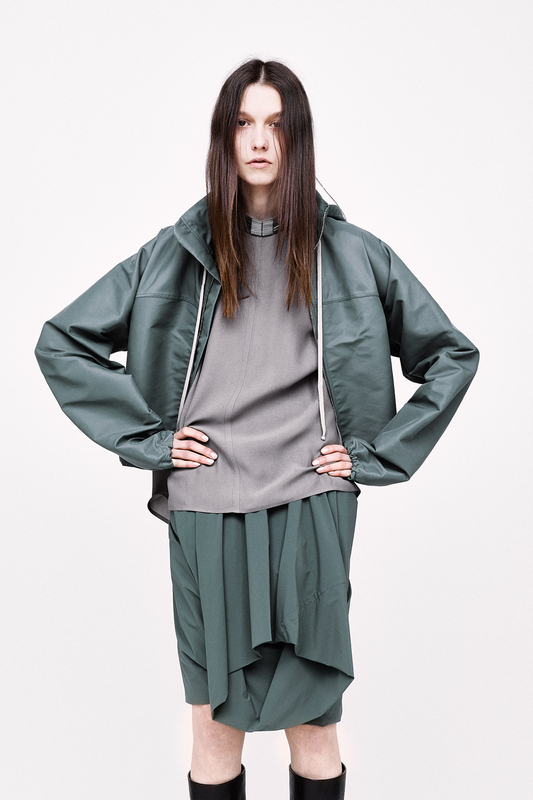 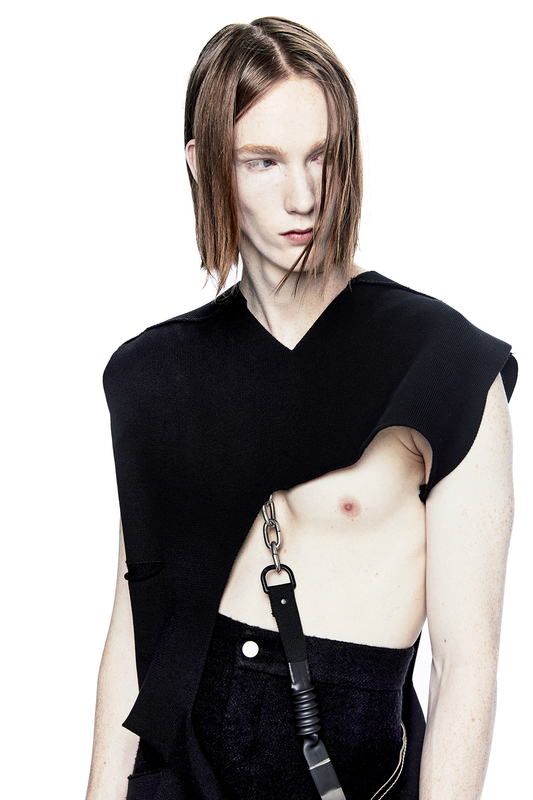 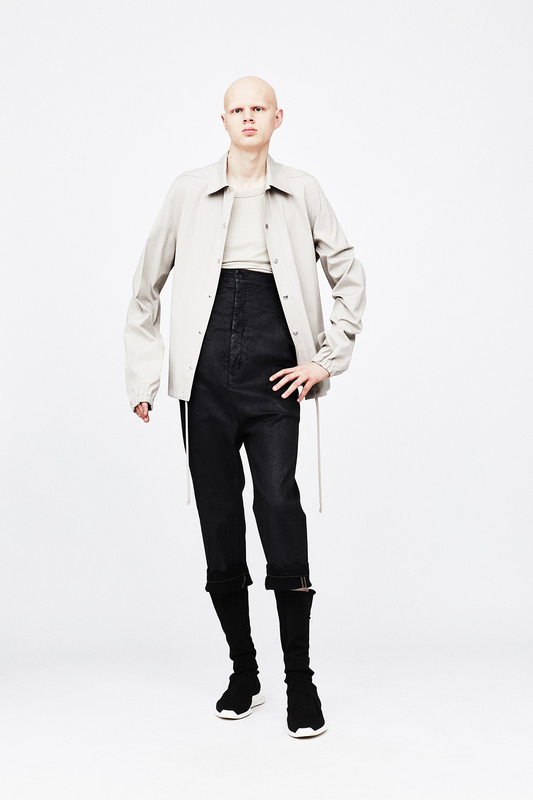 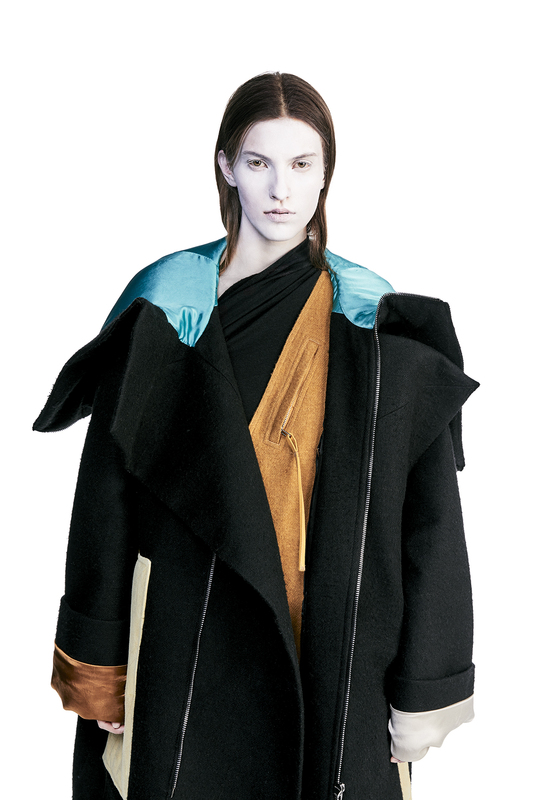 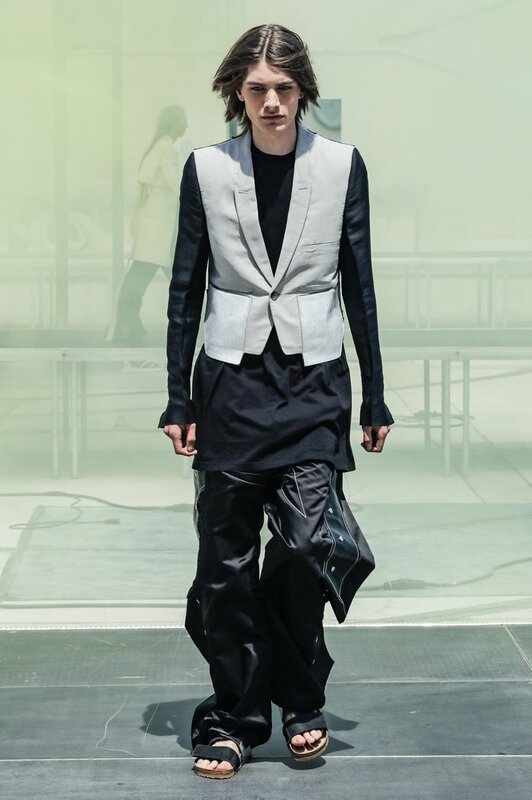 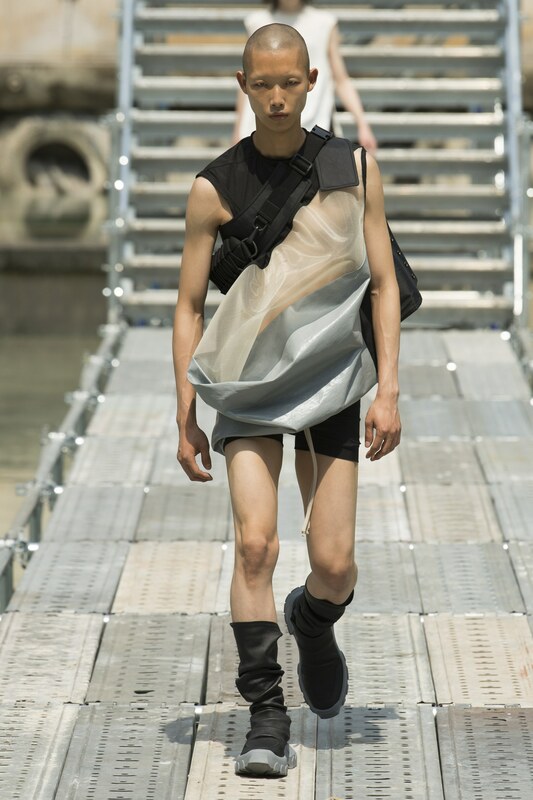 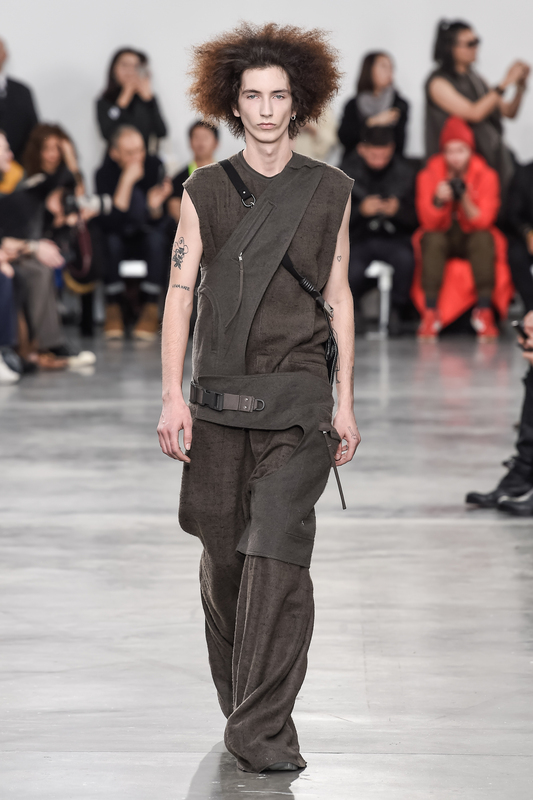 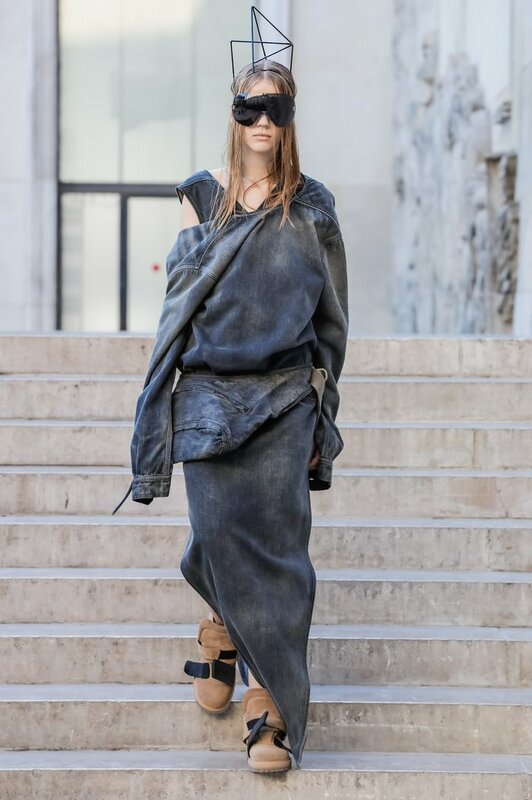 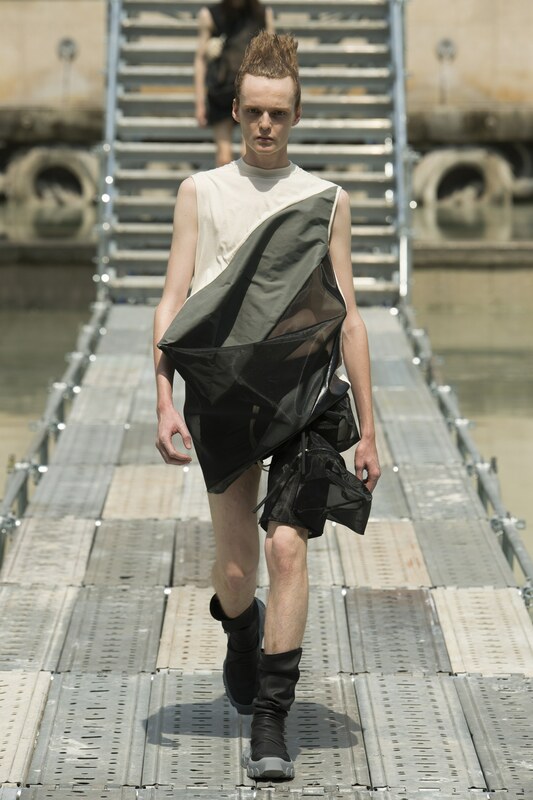 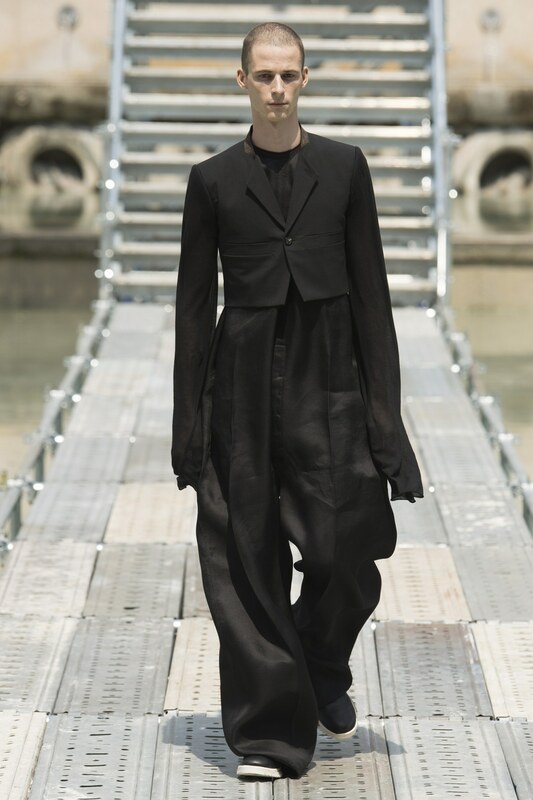 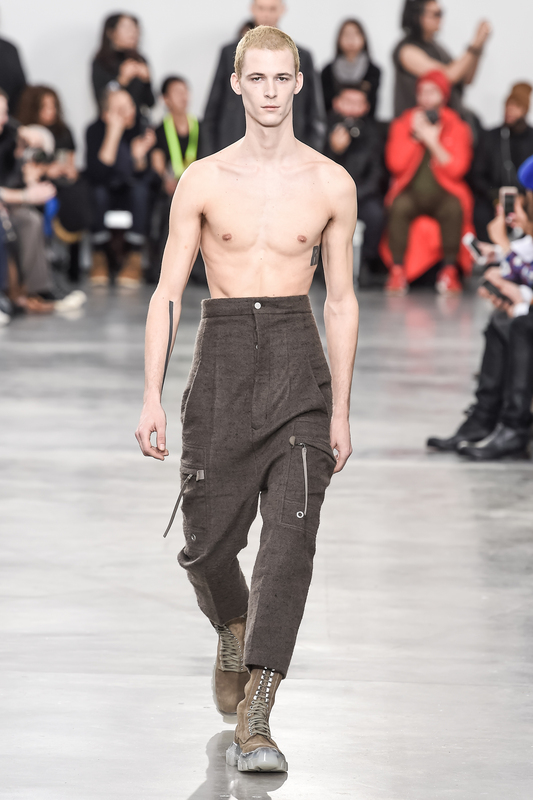 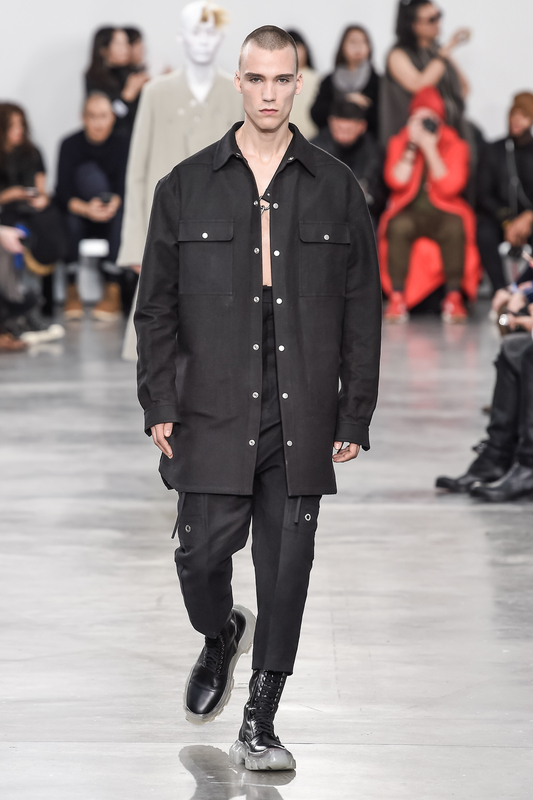 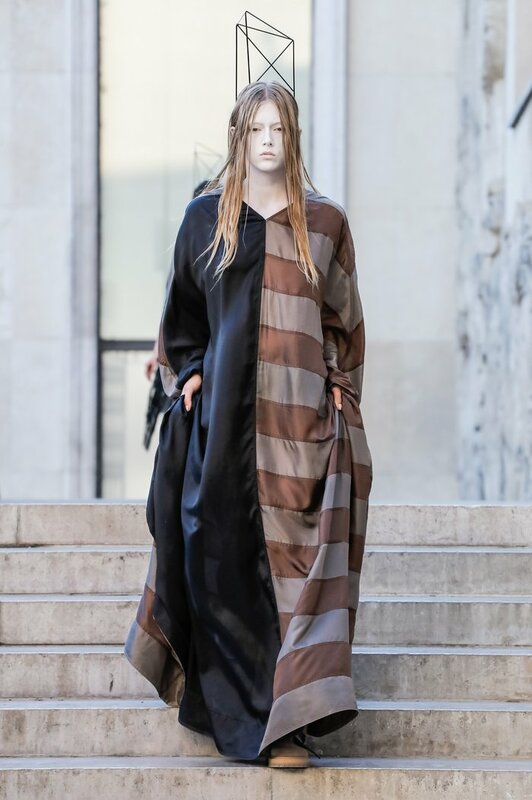 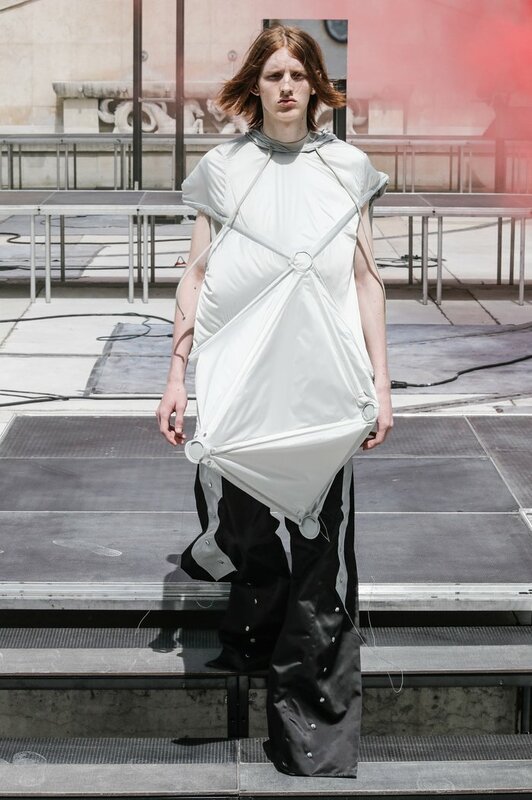 Rick Owens garments can be found in both mono-brand boutiques of the world capitals of fashion and in the most vanguard multi-brand boutiques, such as: Plus zero in Sofia, Leform and Tsum in Moscow, Pierrot le fou in Tbilisi.